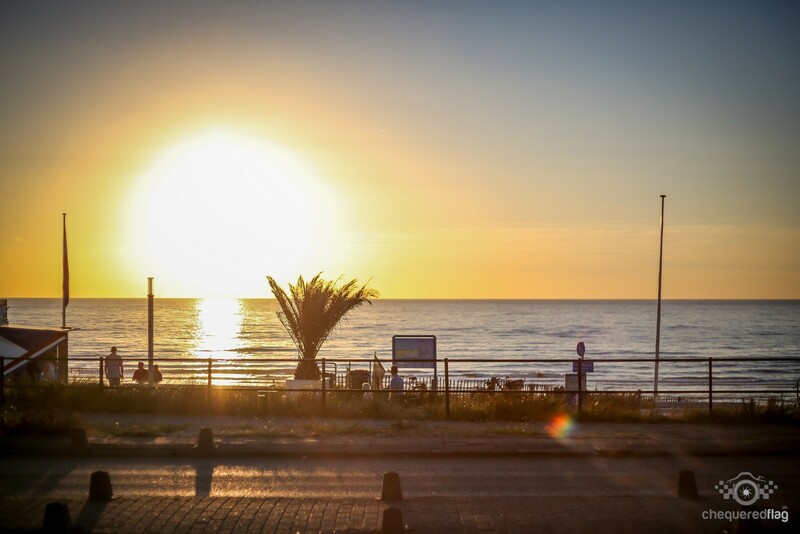 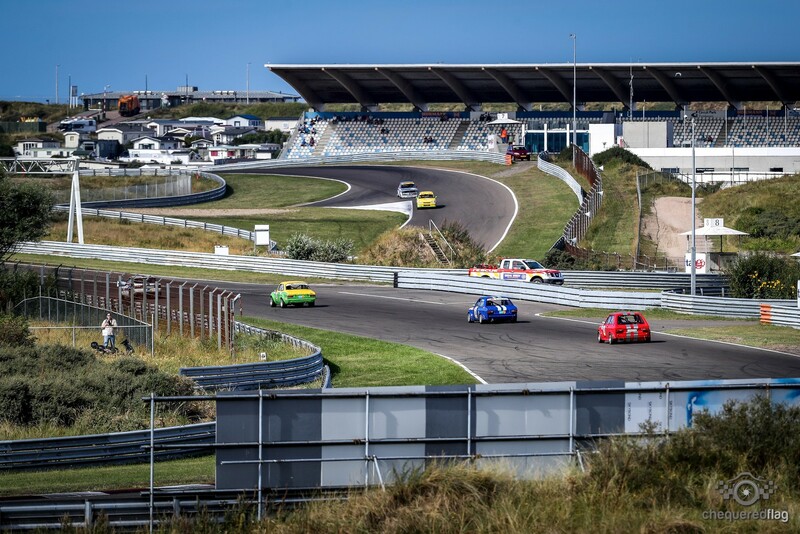 Noordzee Cup Zandvoort.. Welkom aan zee ! 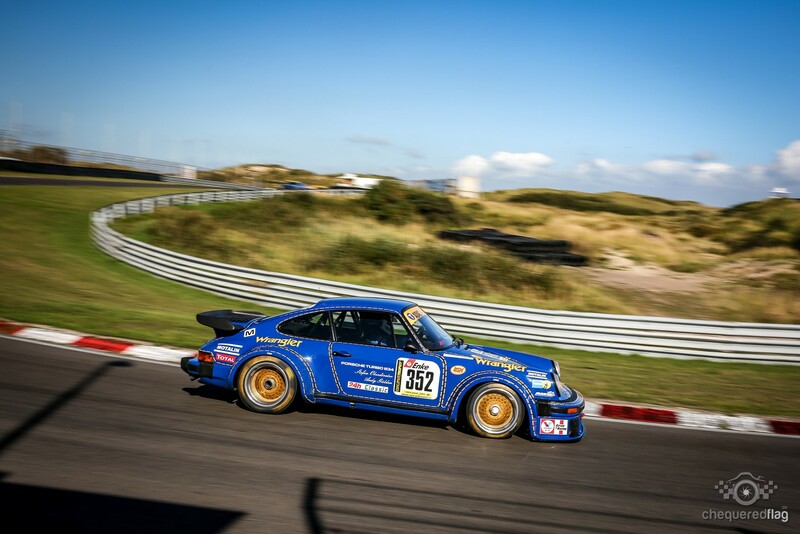 It was after a 12 year pause that the MSC Langenfeld had decided to come back to the Dutch Dunes. 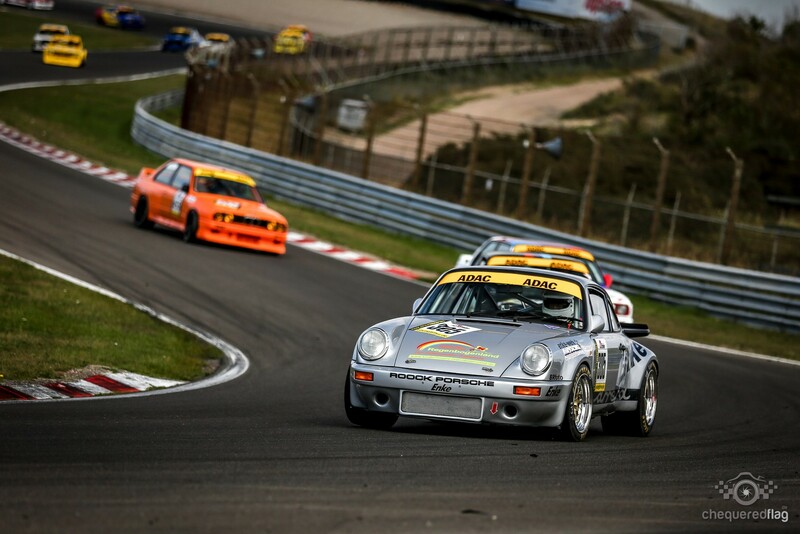 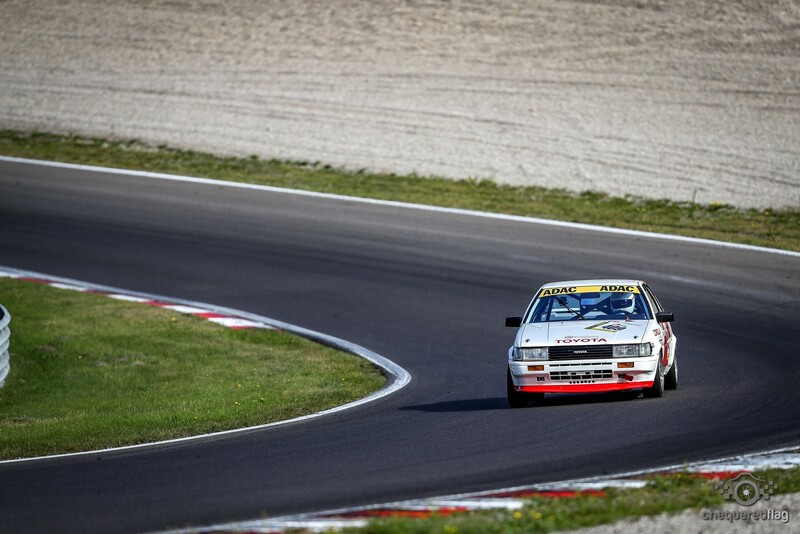 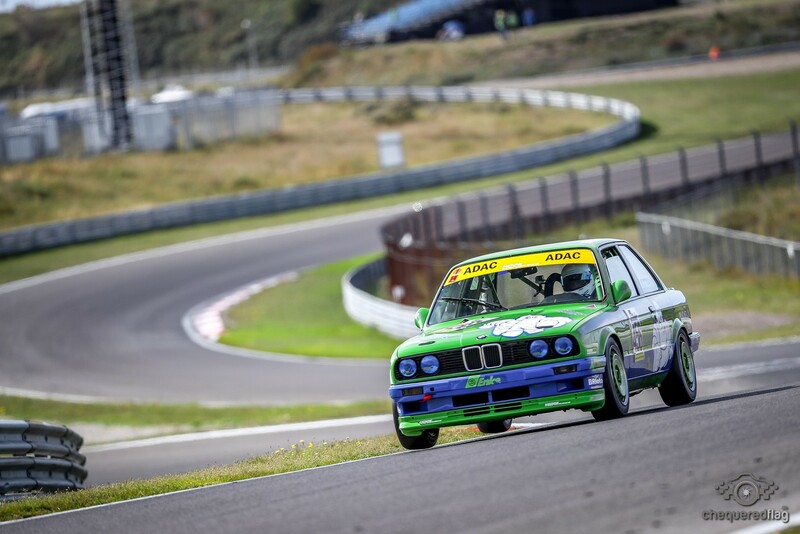 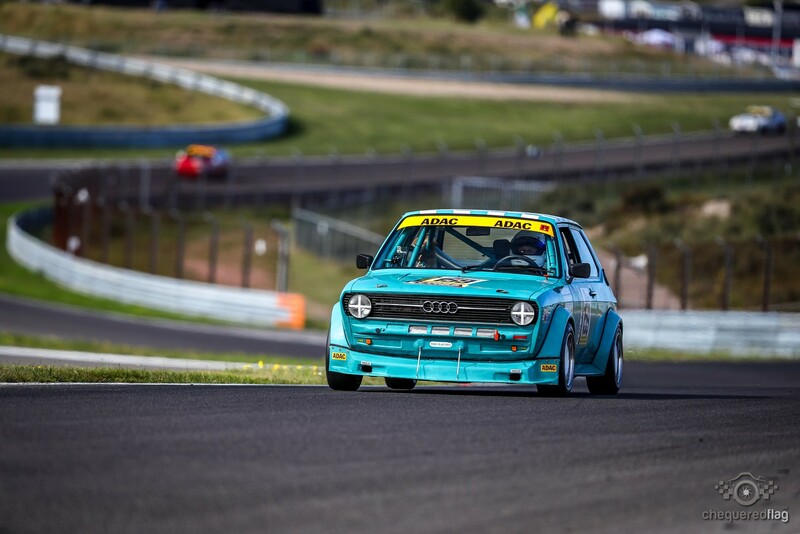 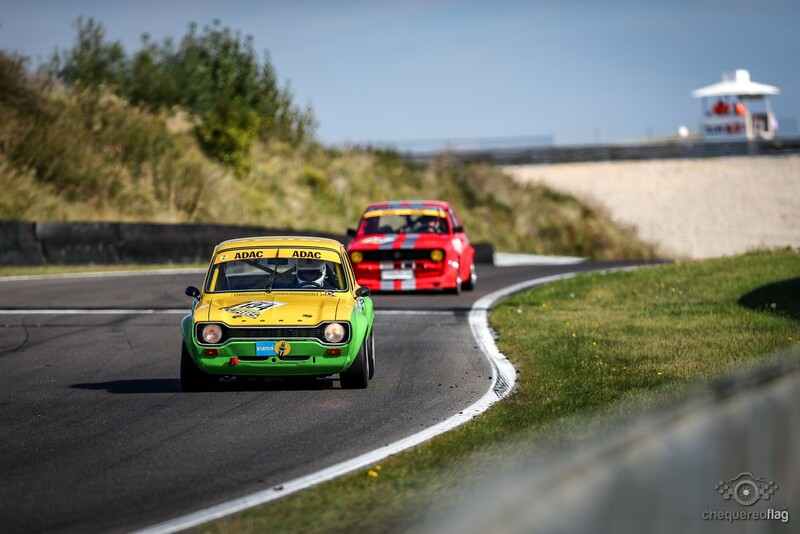 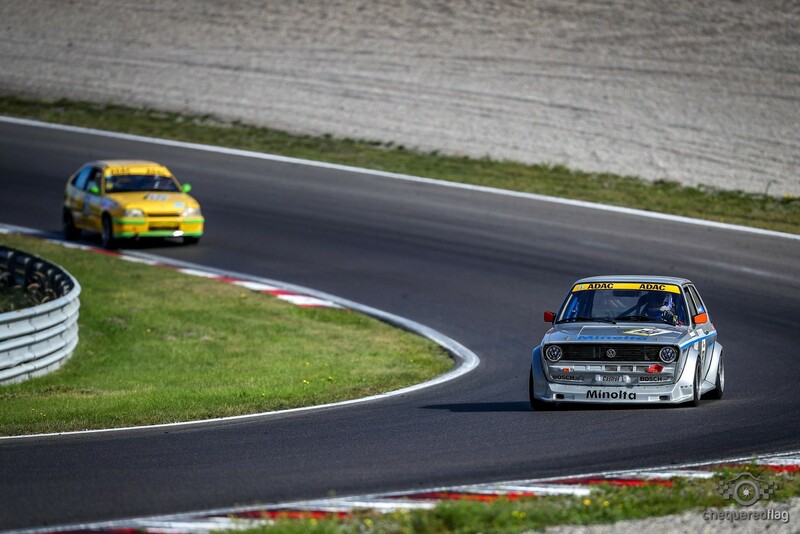 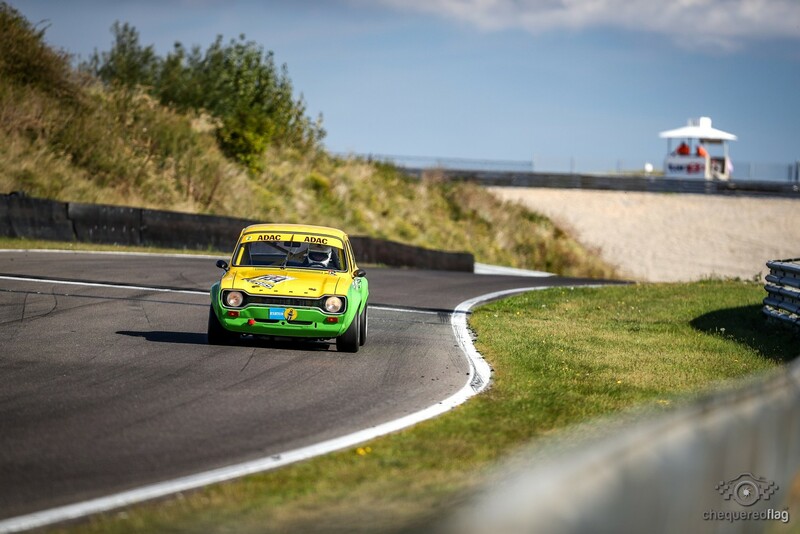 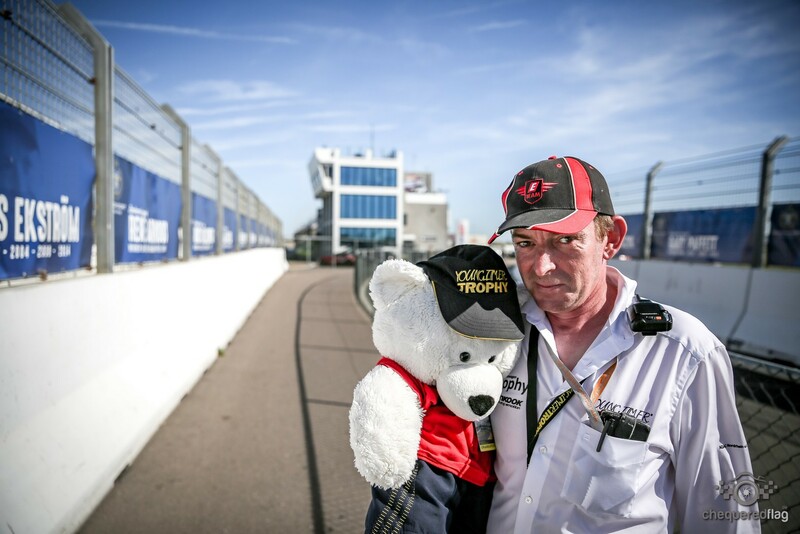 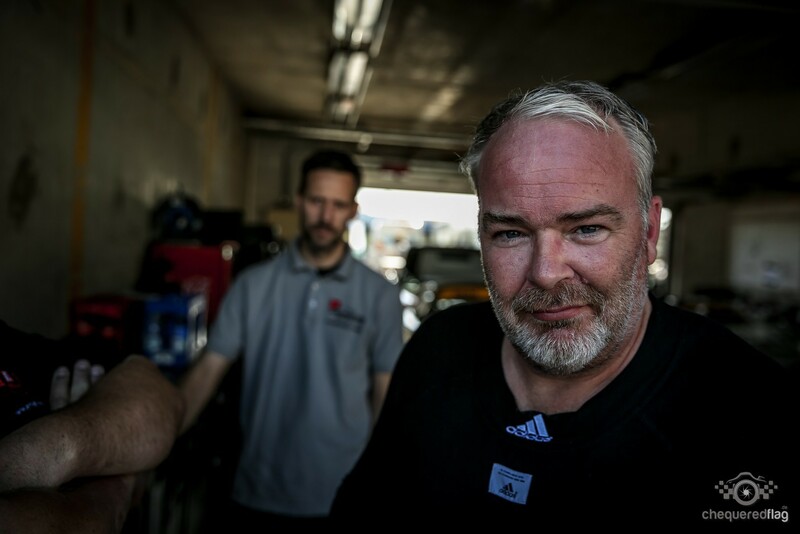 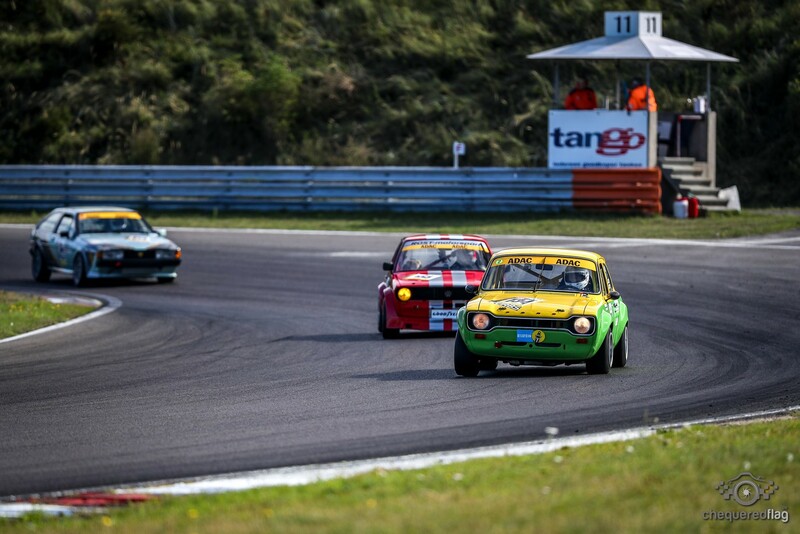 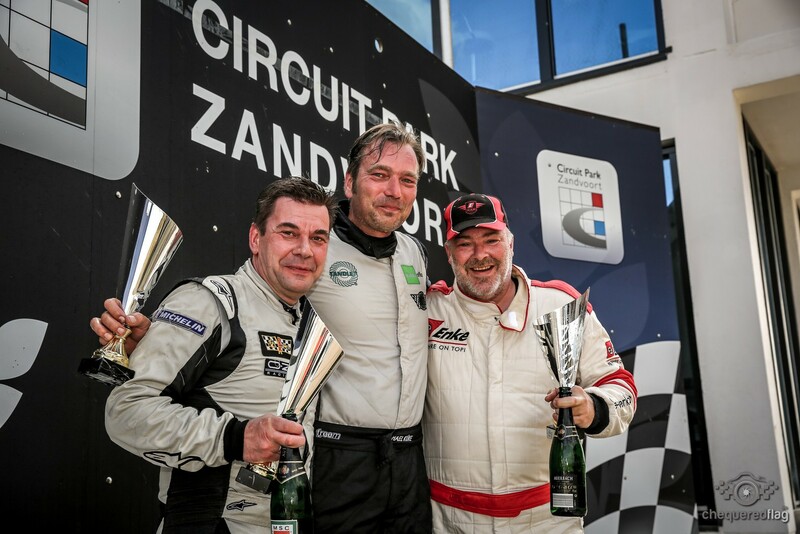 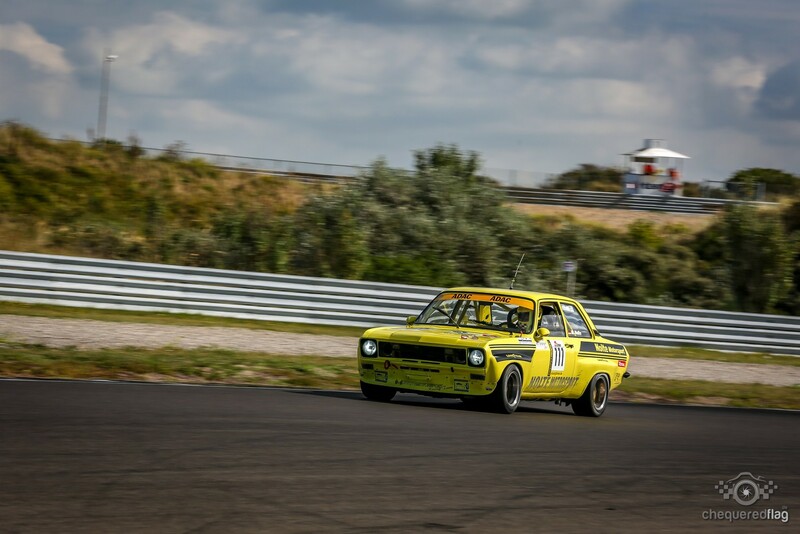 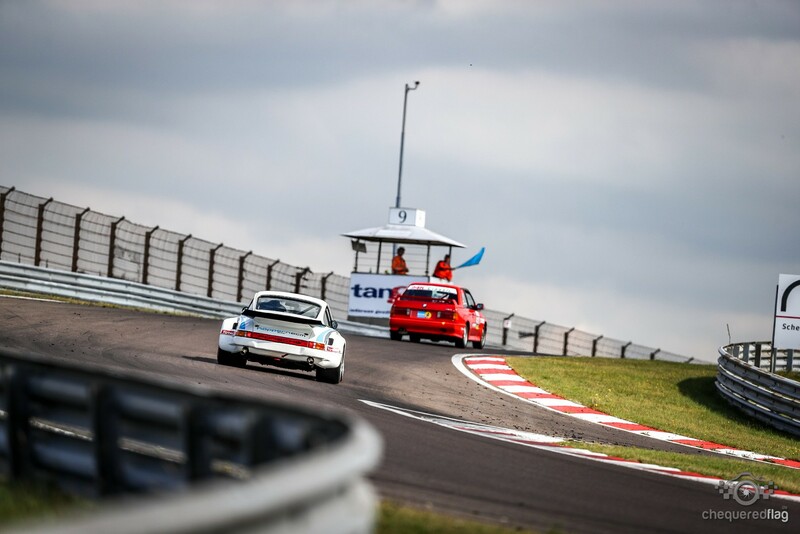 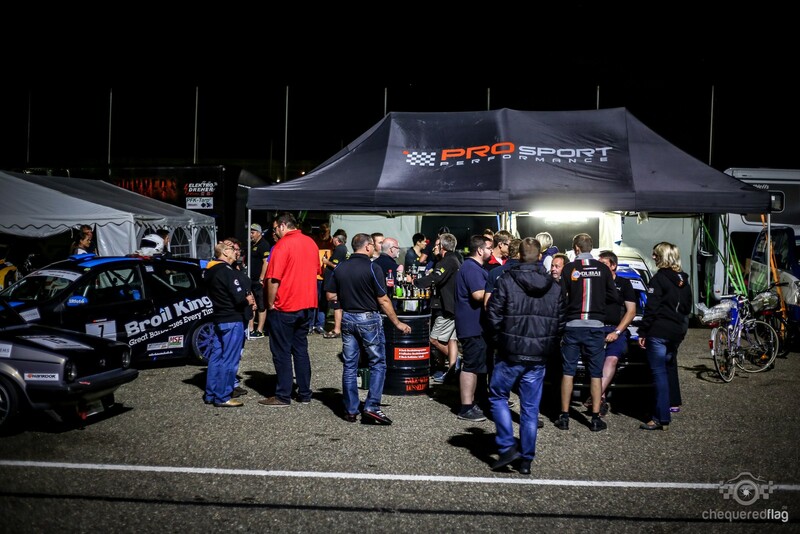 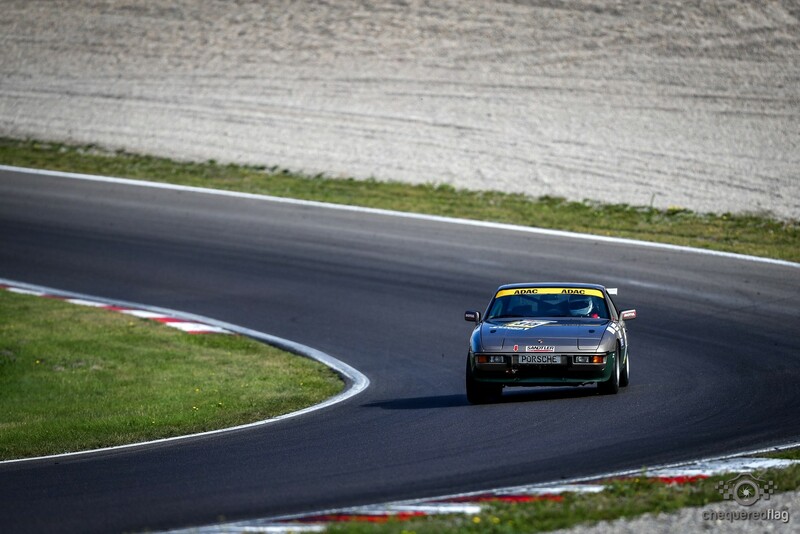 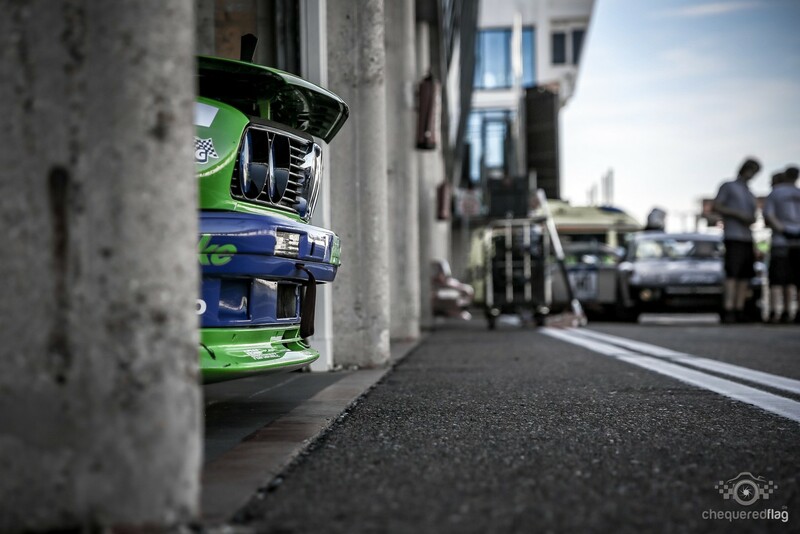 As they had been doing the ADAC GT Masters and more Kart oriented stuff they required a little bit of help that the usual crew from the international Race of the Youngtimer Trophy gladly provided. 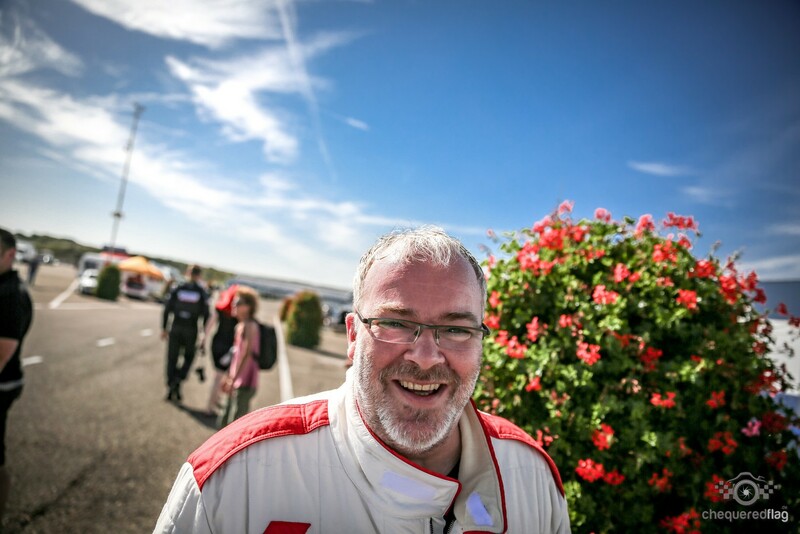 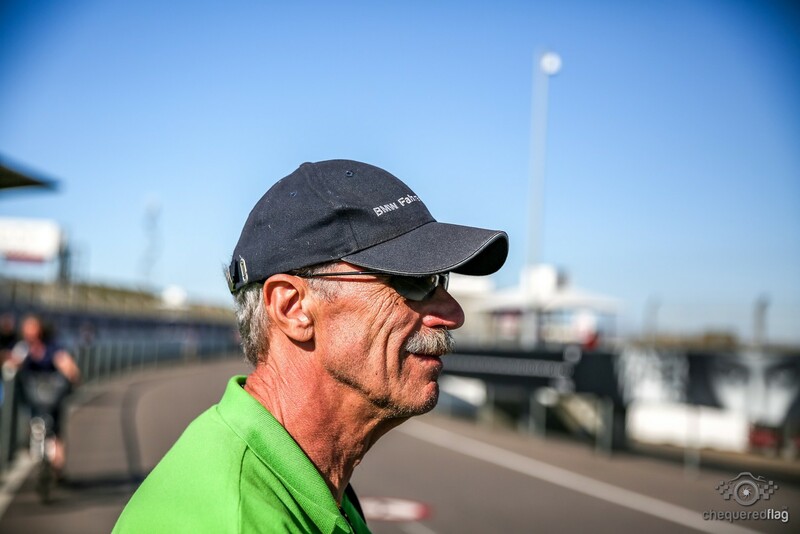 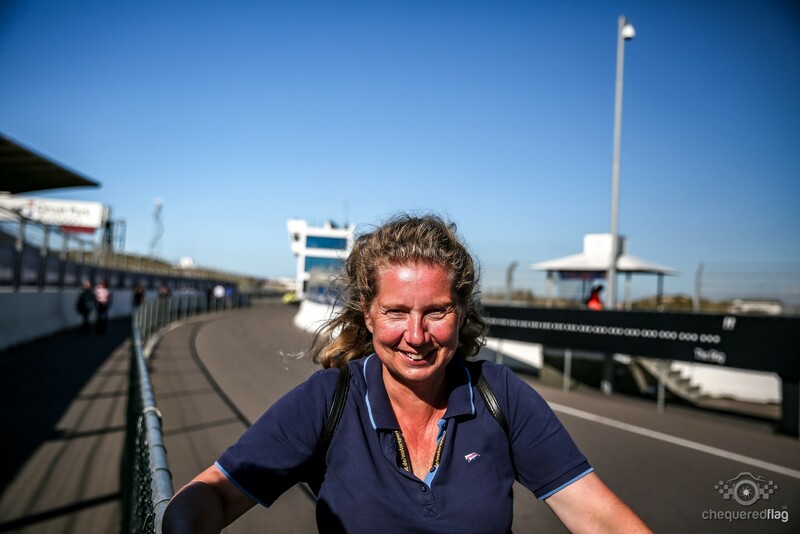 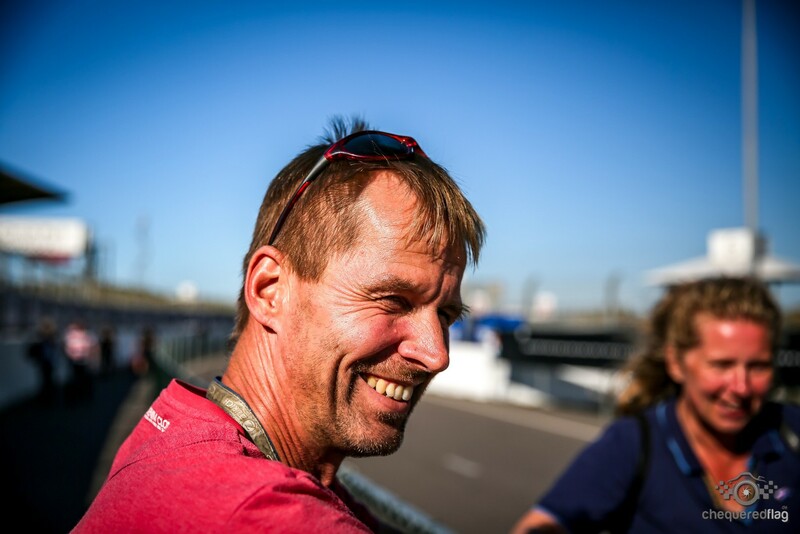 As Assistant Race Director I was there primarily to do the international briefings, to help out driving the Pace car and of course to deliver the decisions from Race control to the Teams. 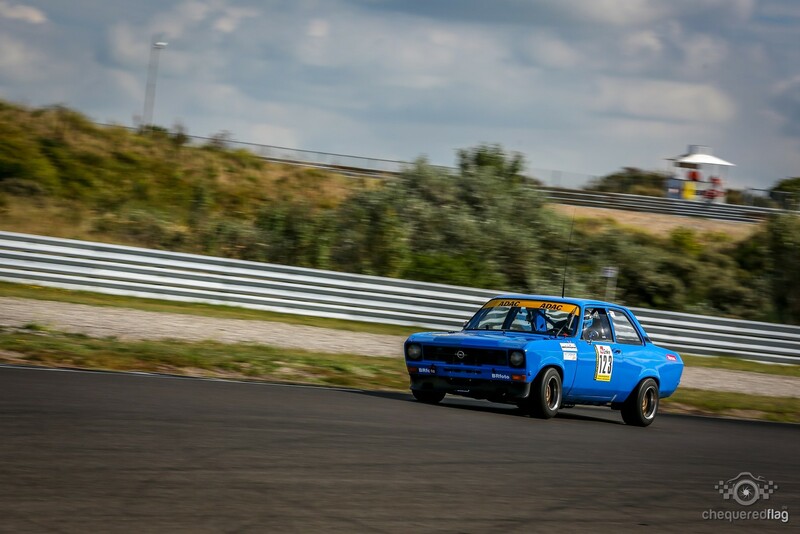 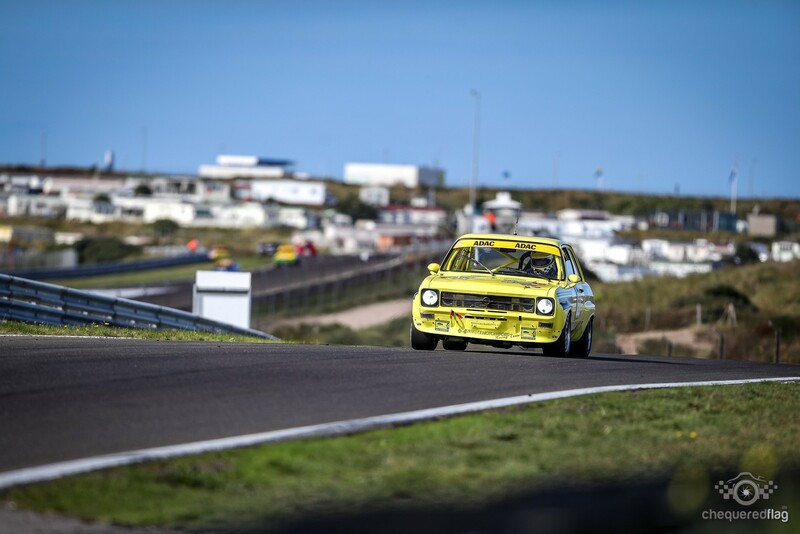 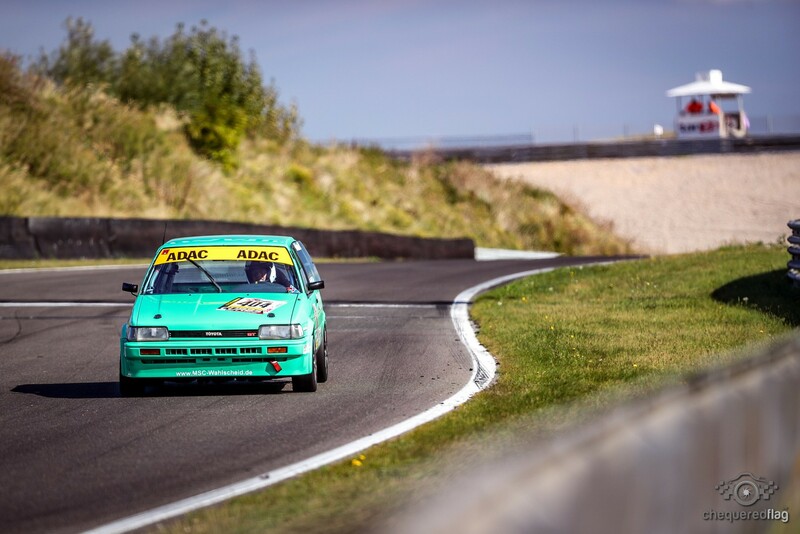 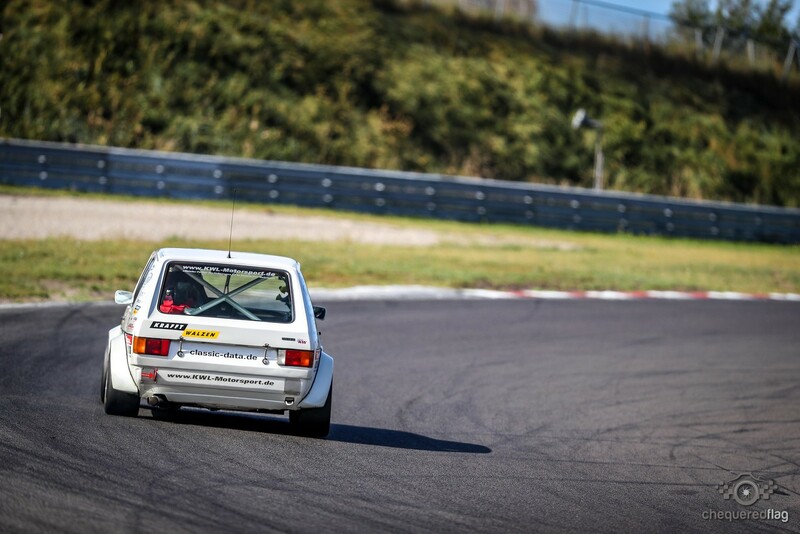 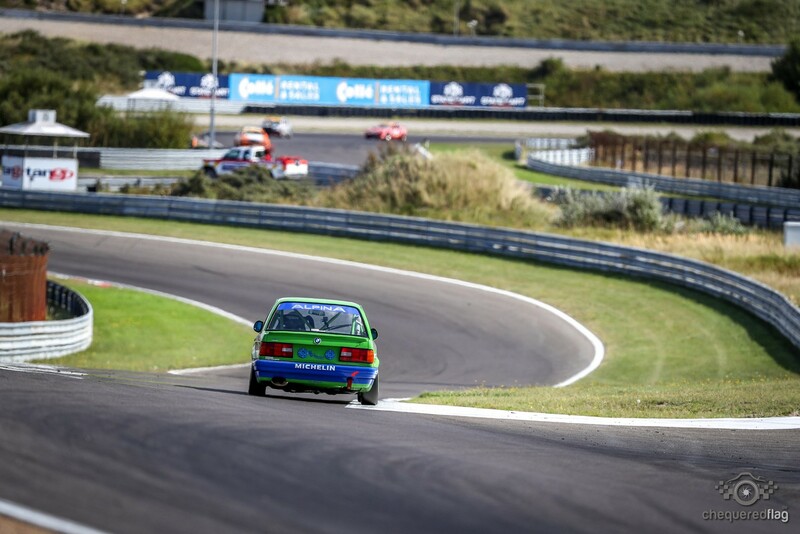 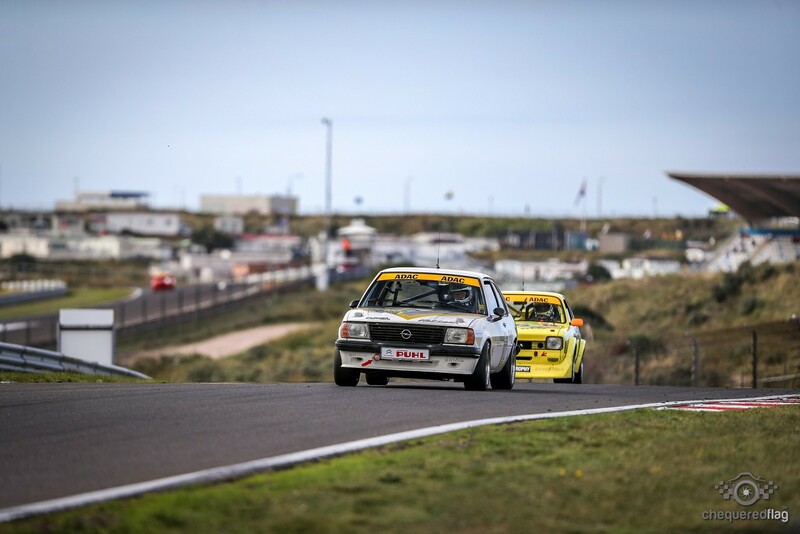 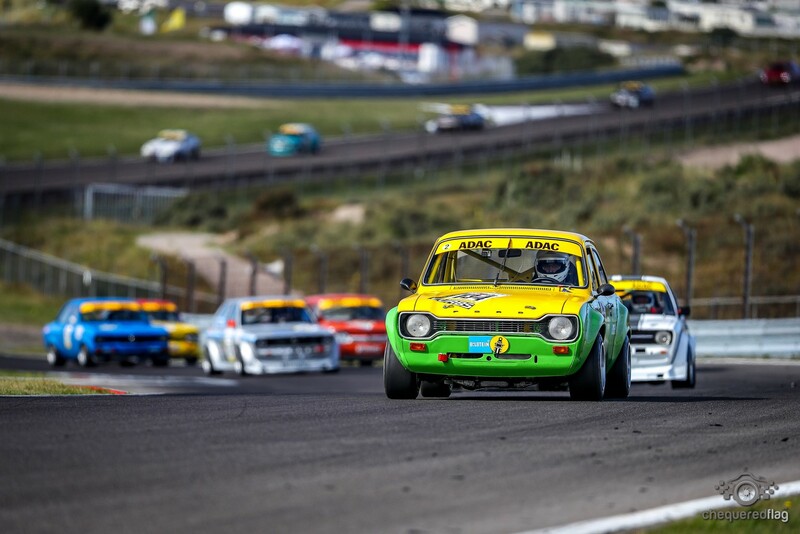 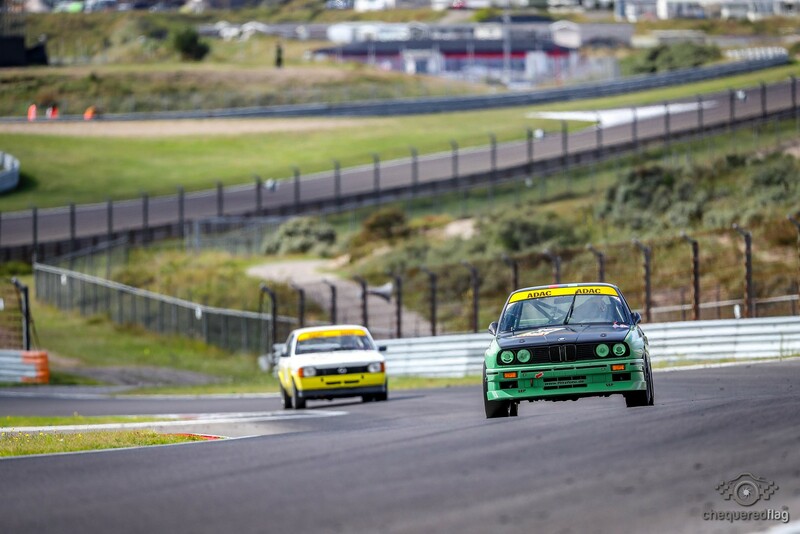 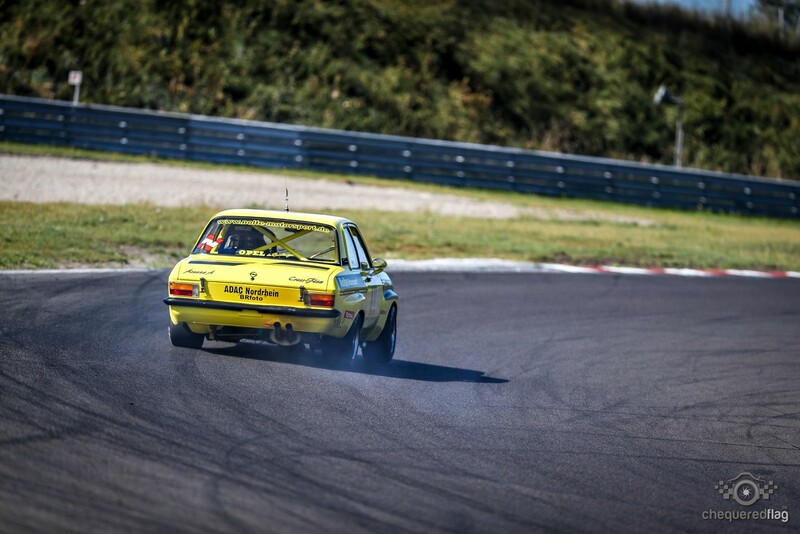 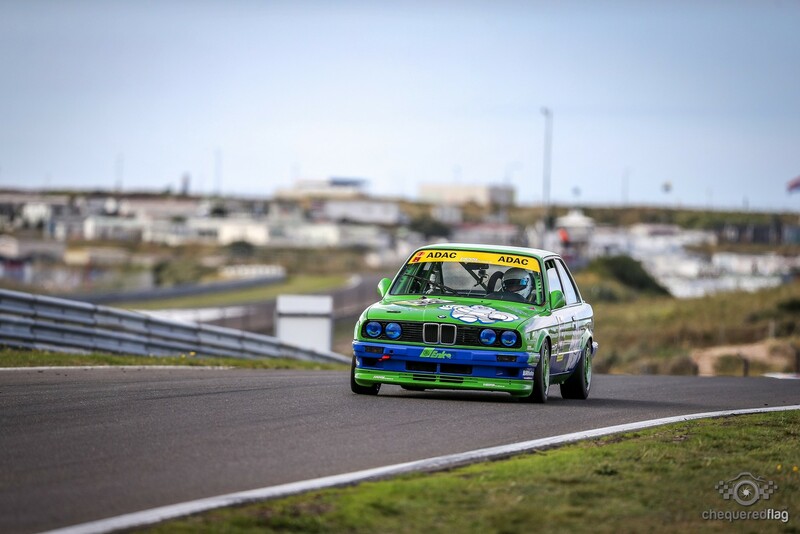 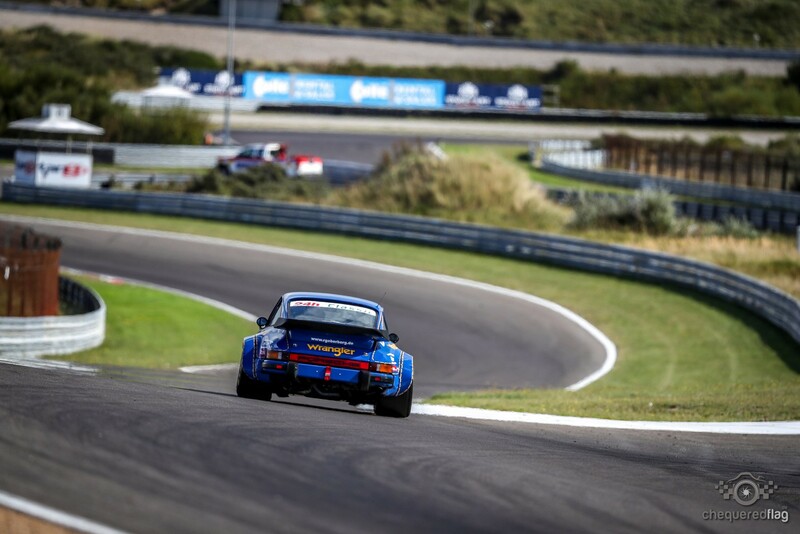 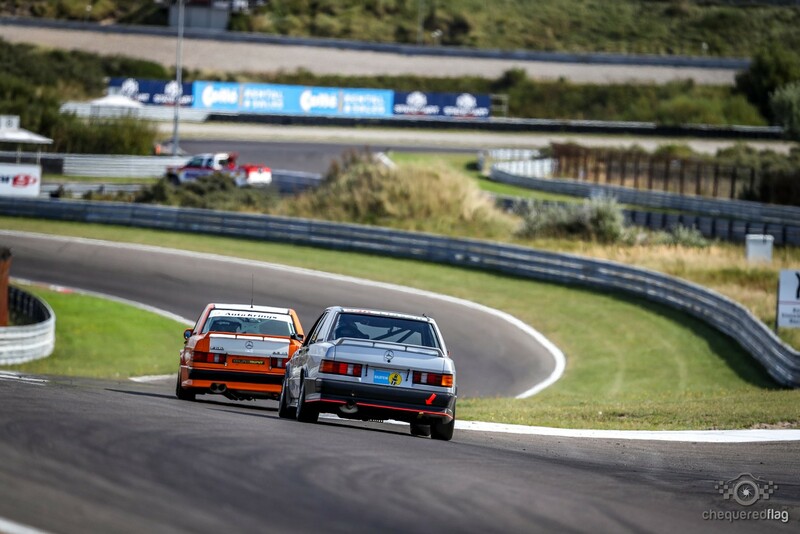 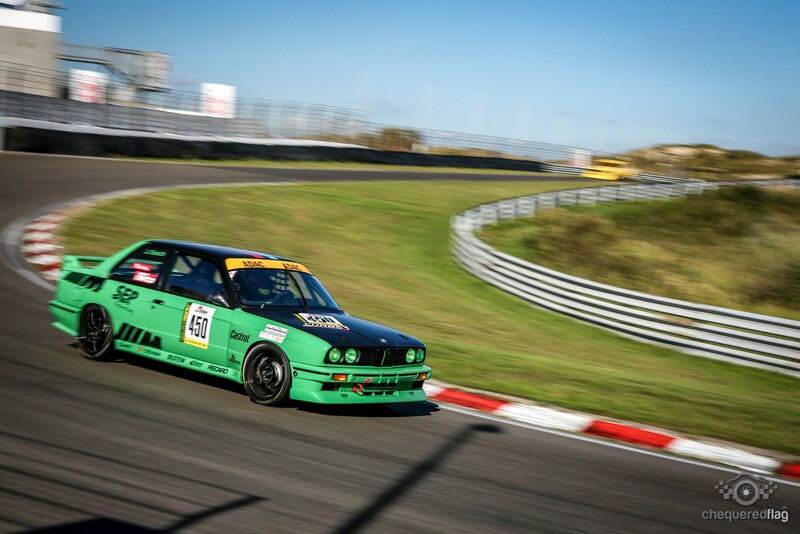 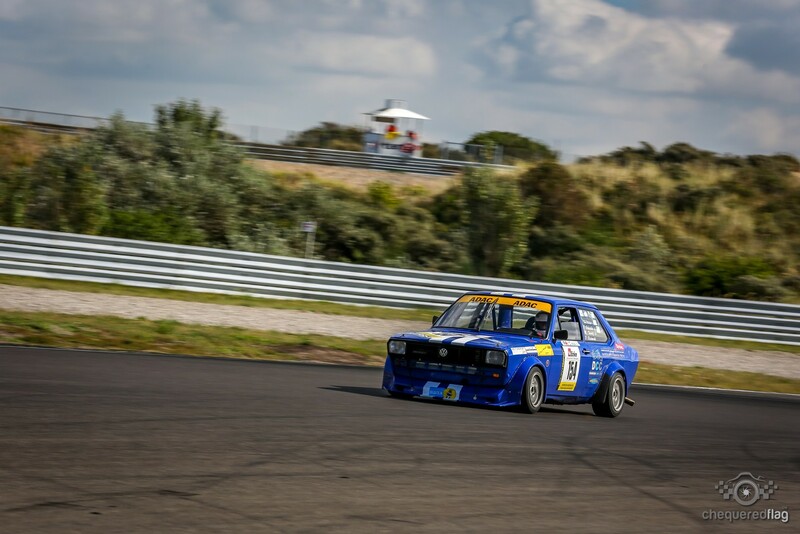 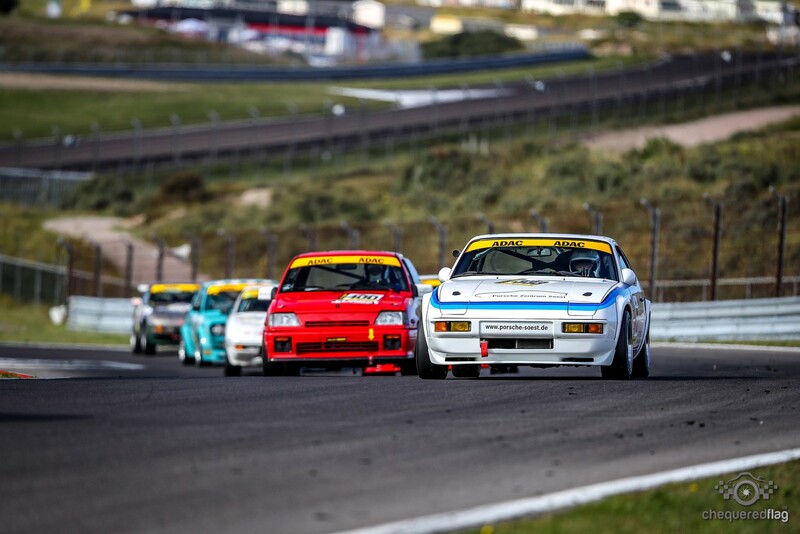 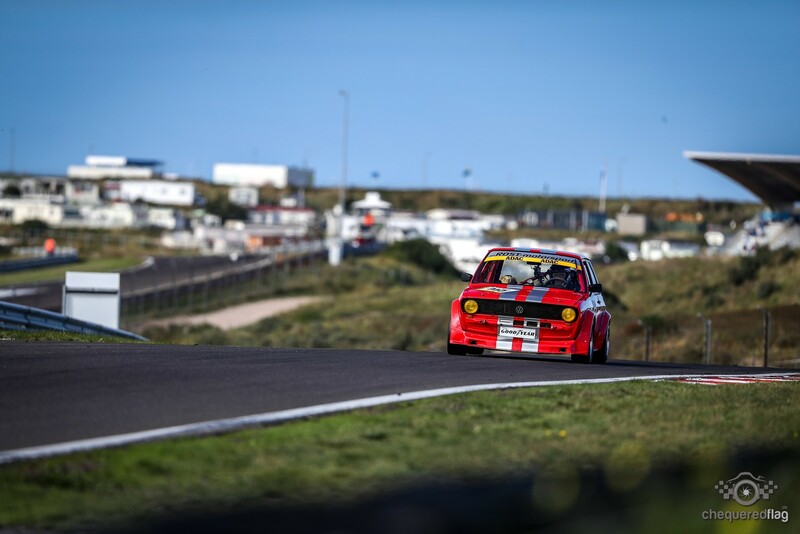 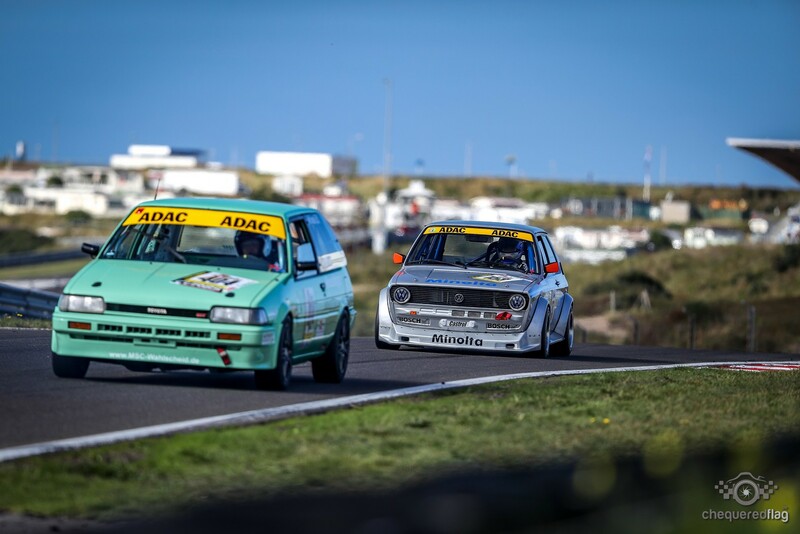 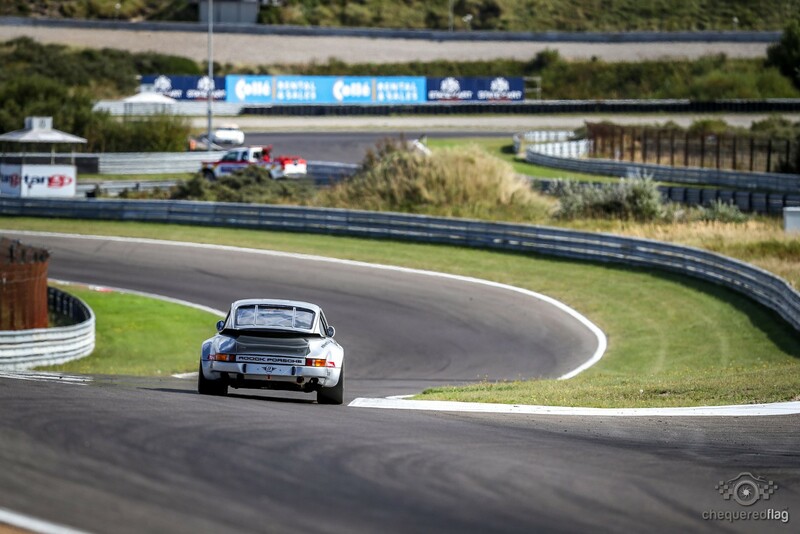 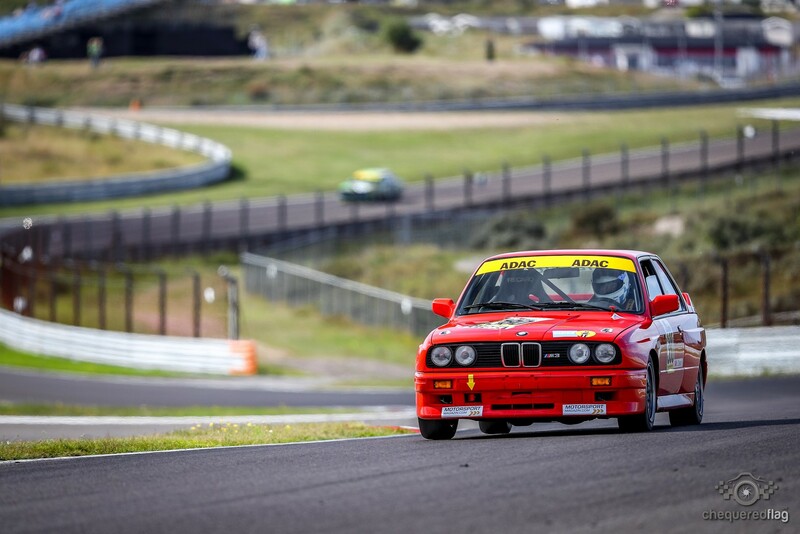 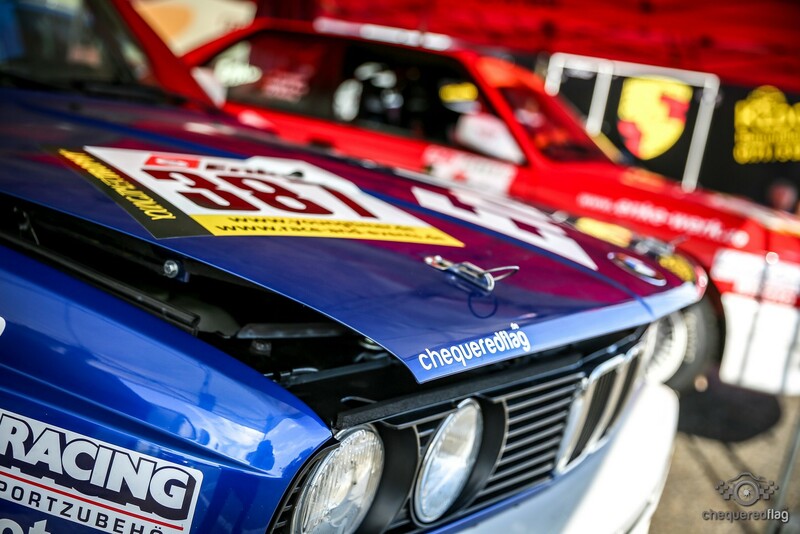 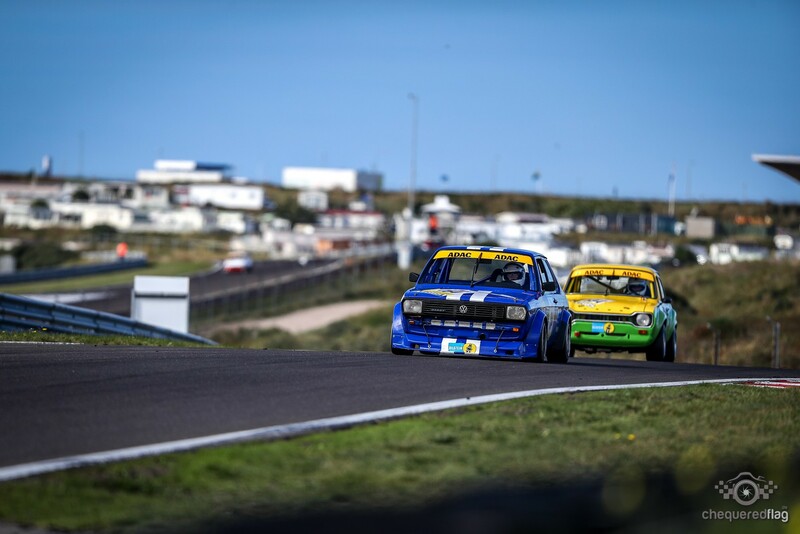 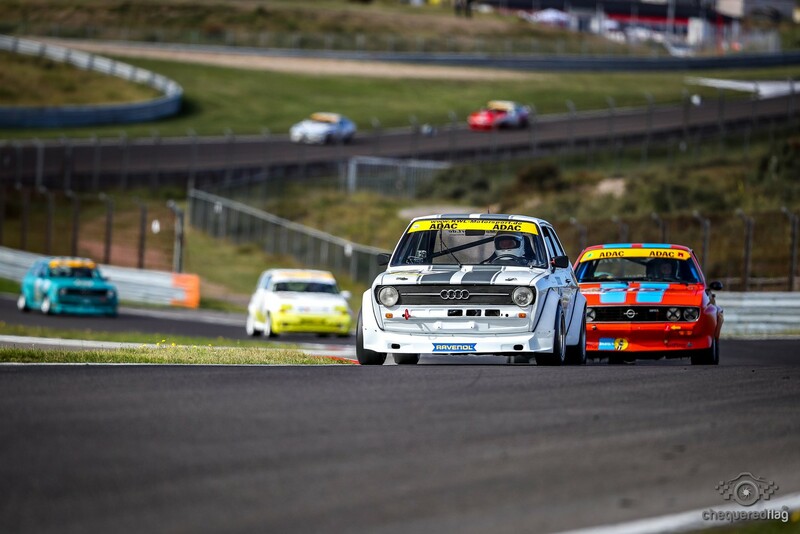 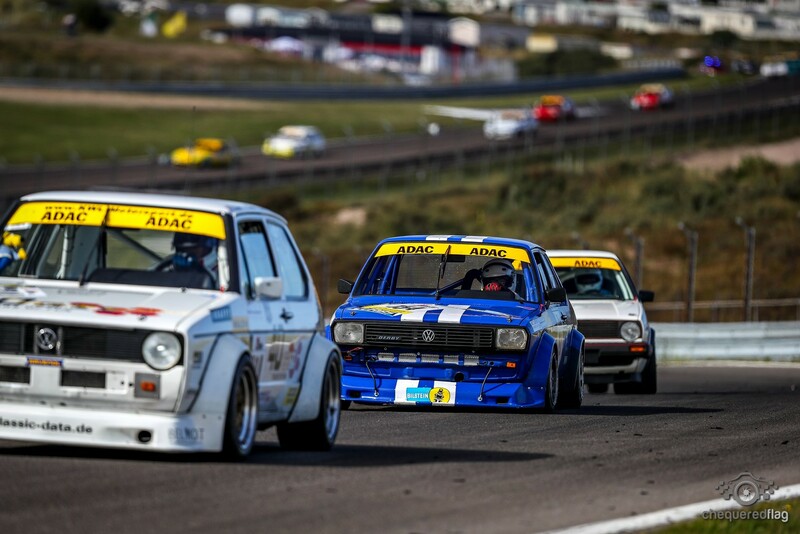 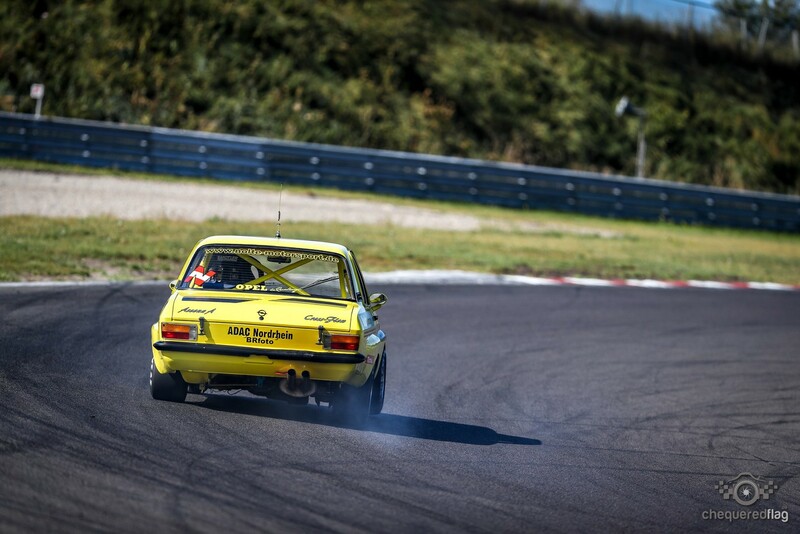 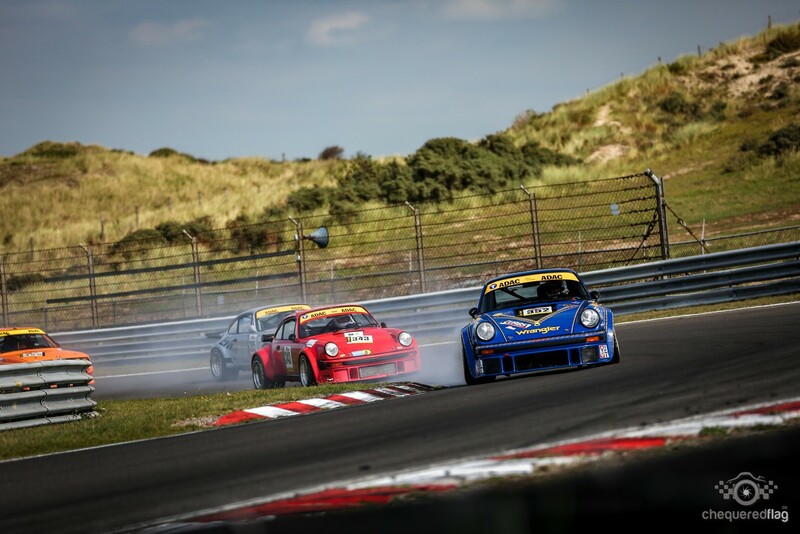 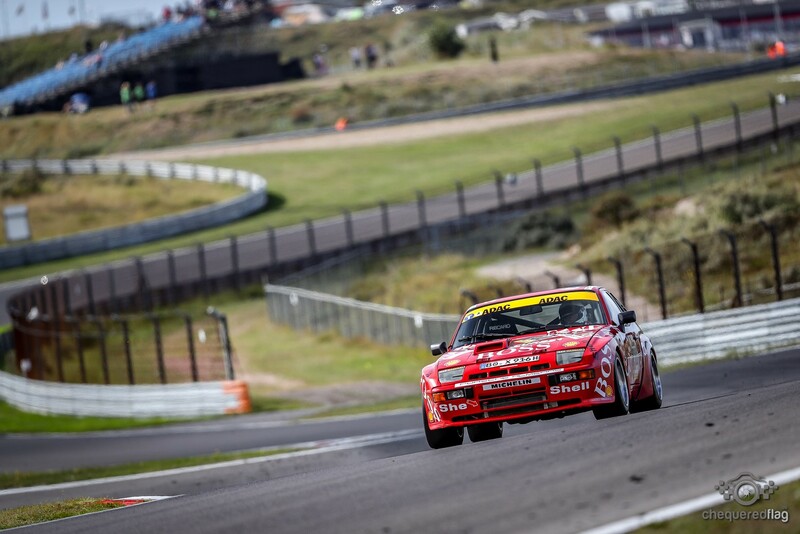 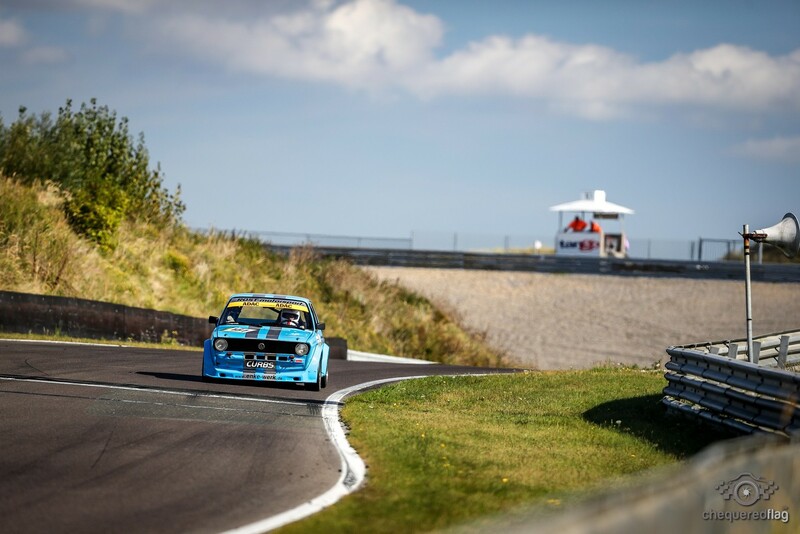 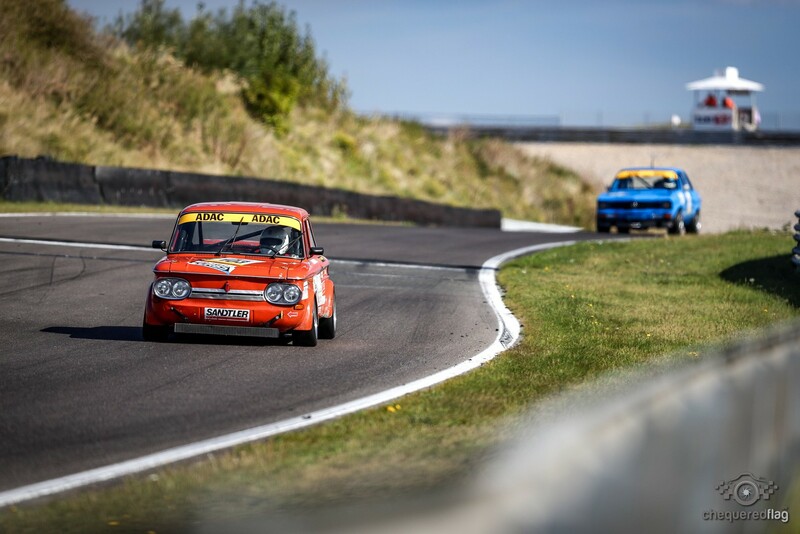 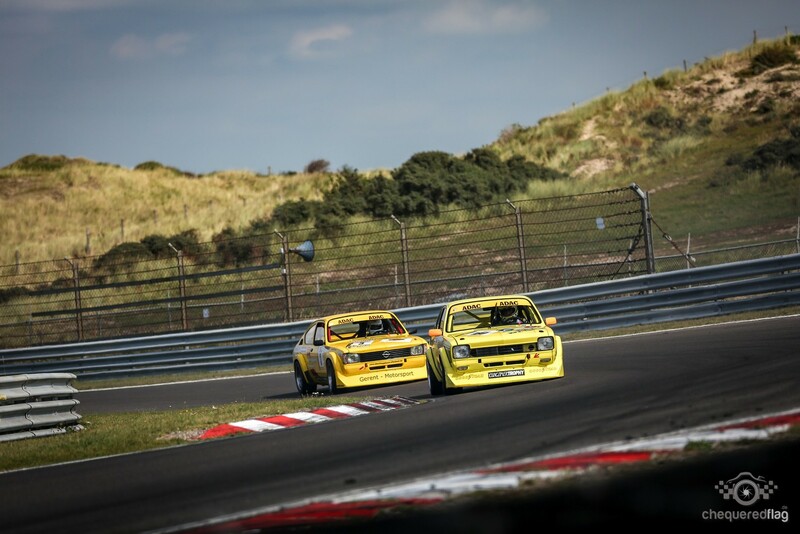 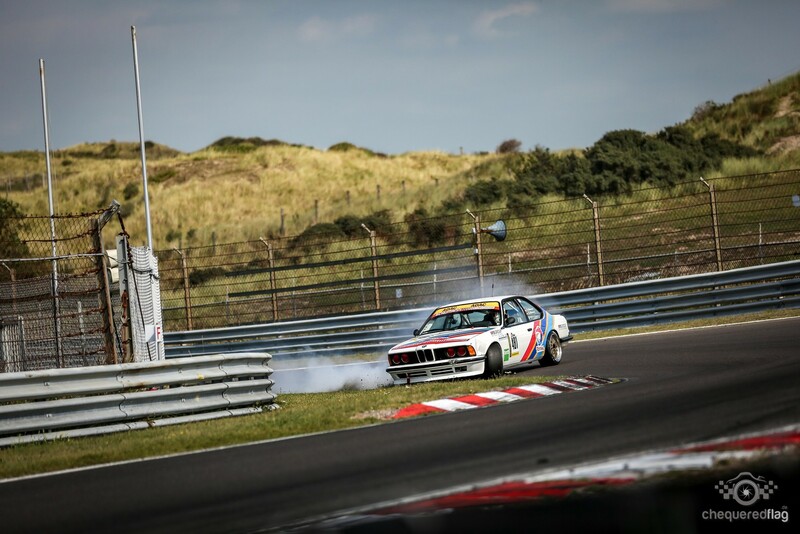 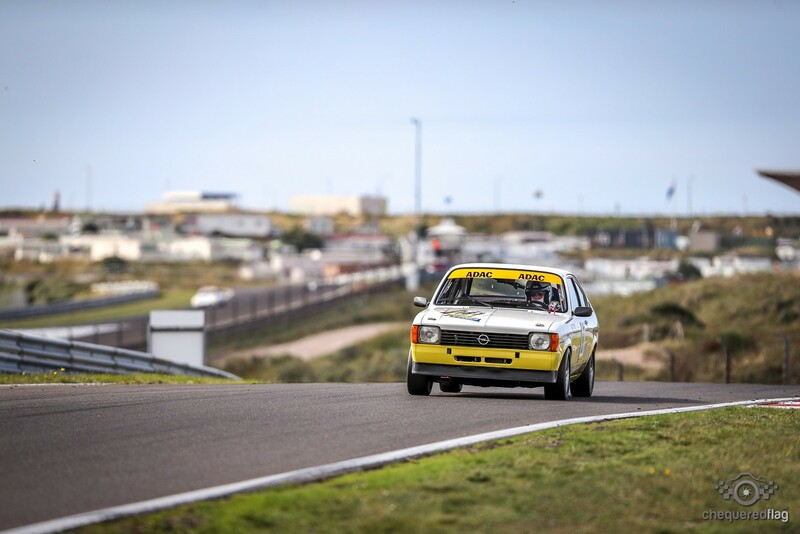 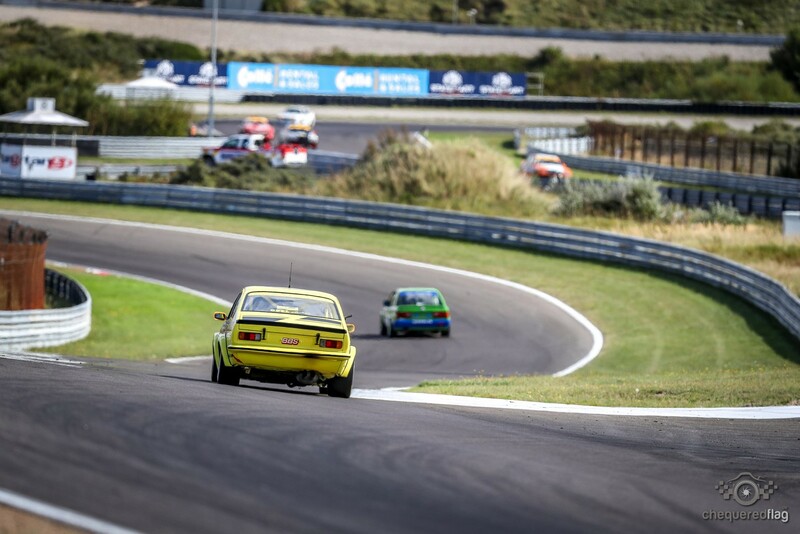 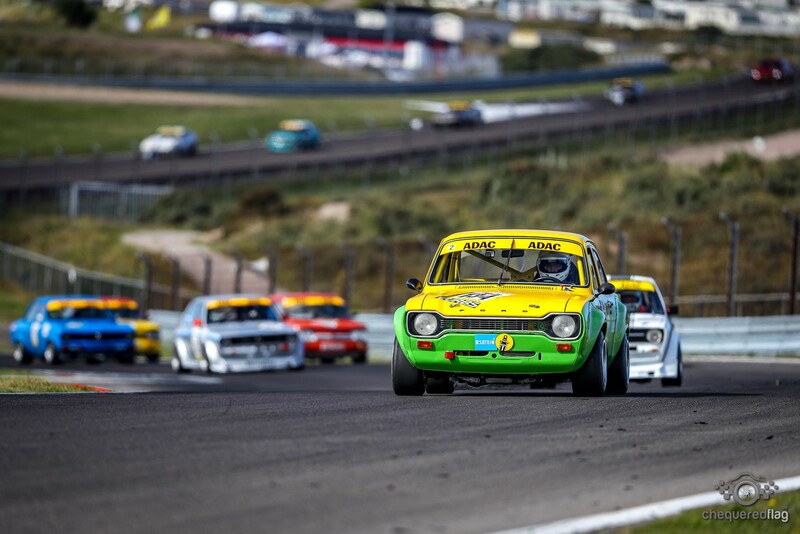 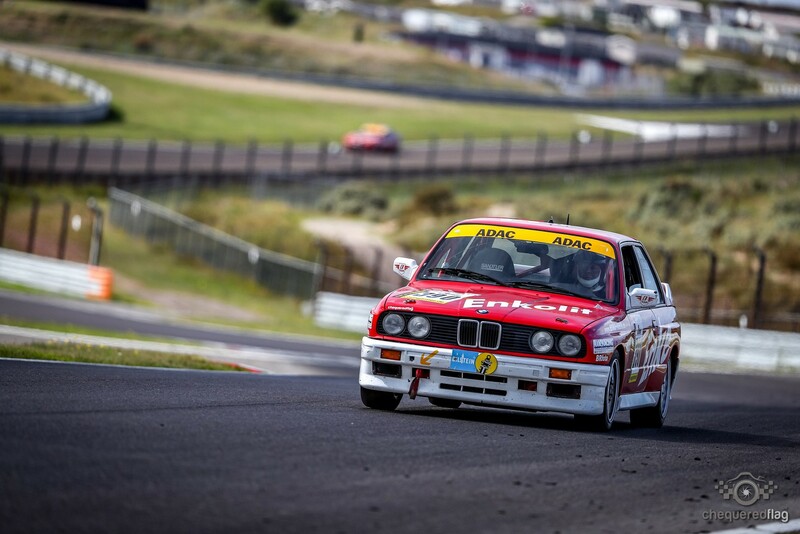 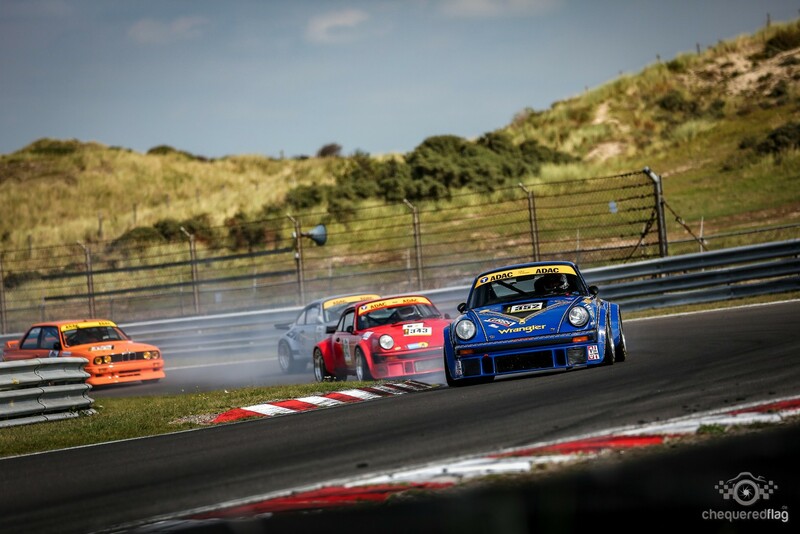 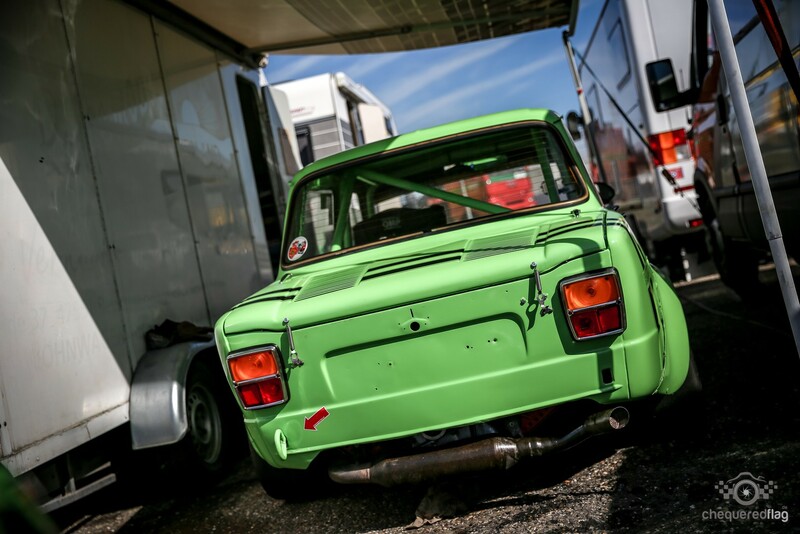 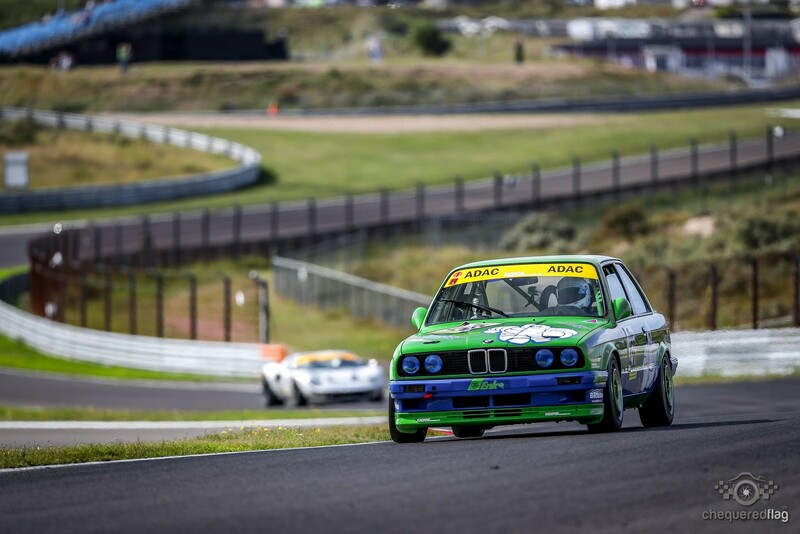 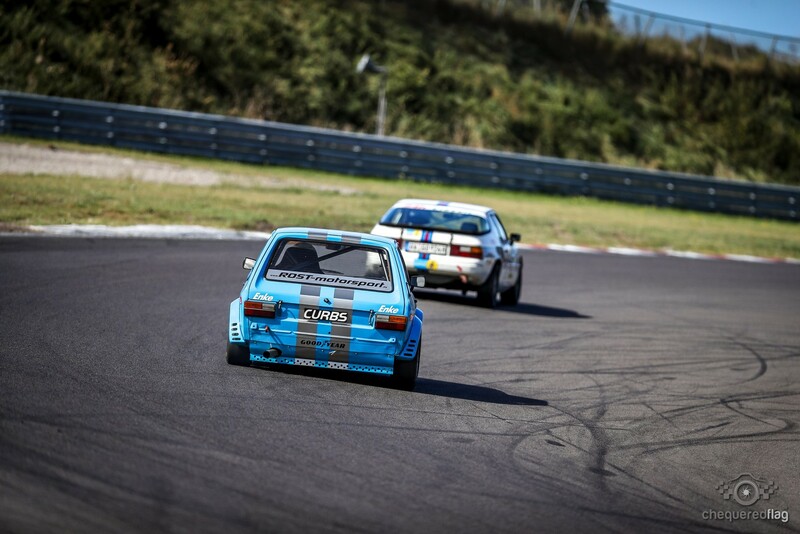 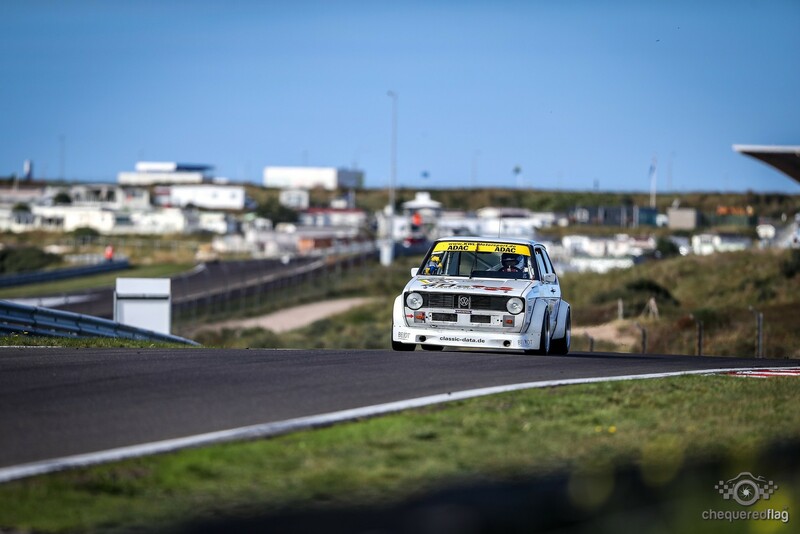 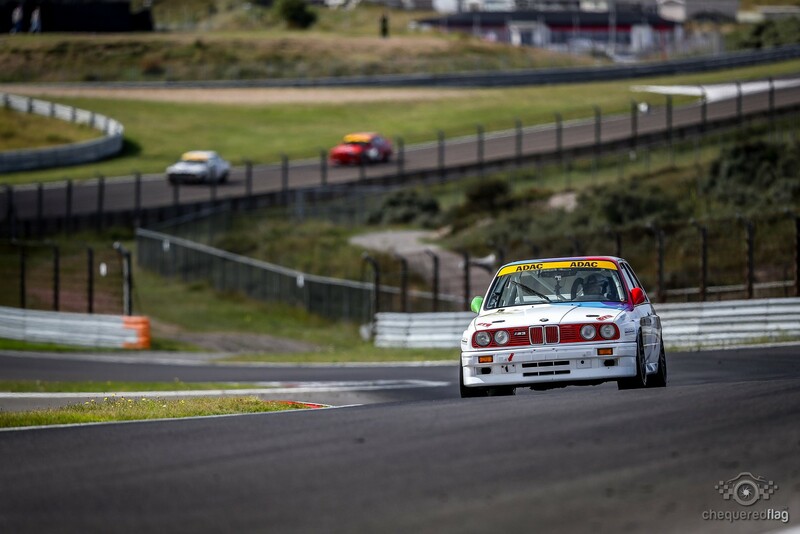 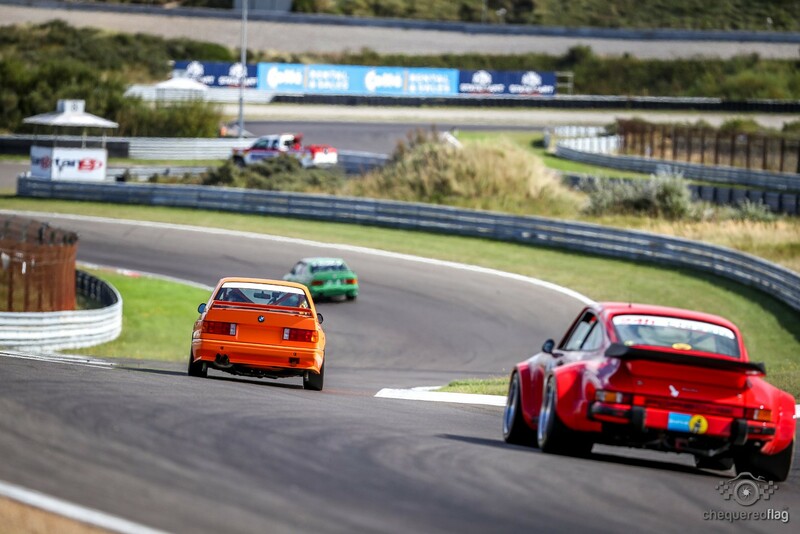 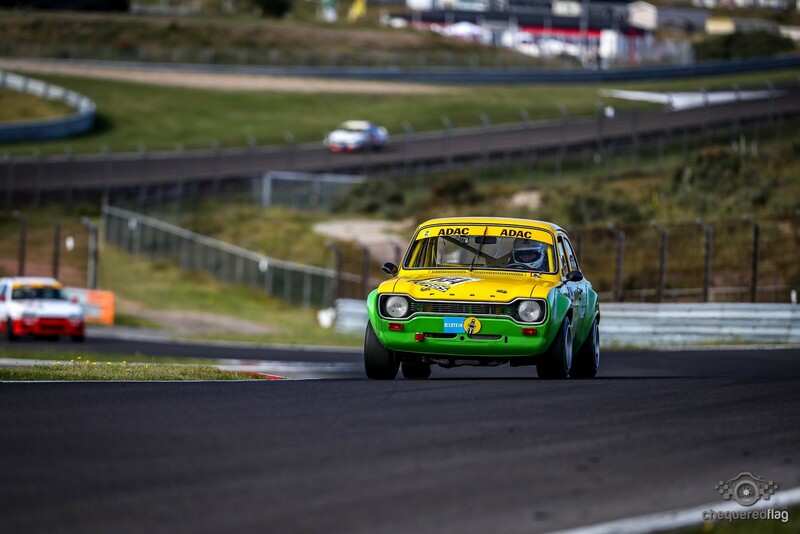 This was a particularly nasty business this weekend as the 92 dB(A) limitations of Zandvoort was a bit of a pain in the buttocks to get to for many Cars. 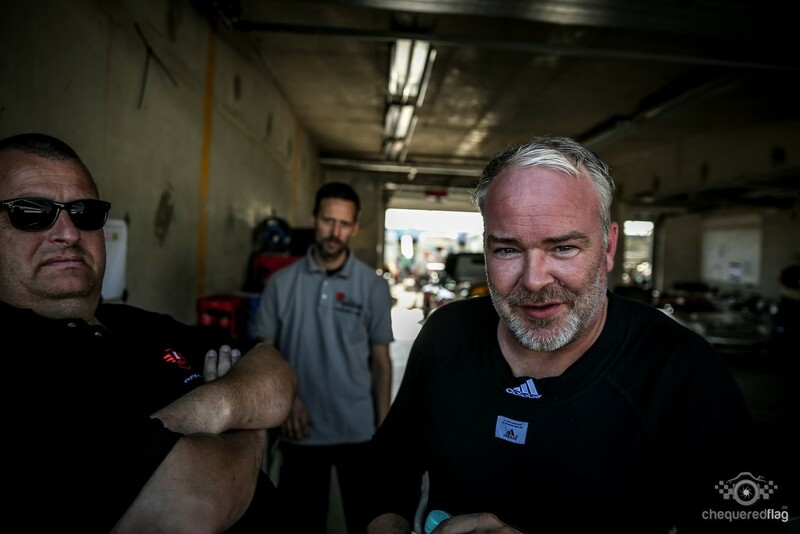 And of course the one explaining why you just got Black Flagged took the first shots of rage and anger. 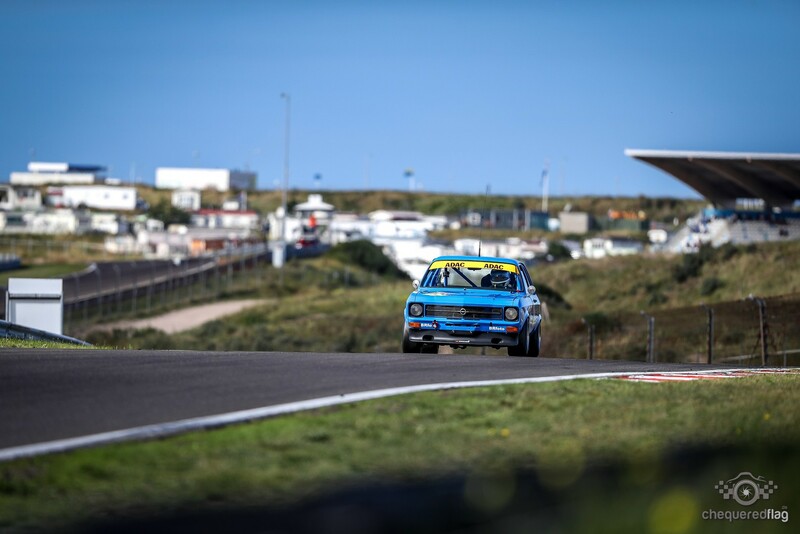 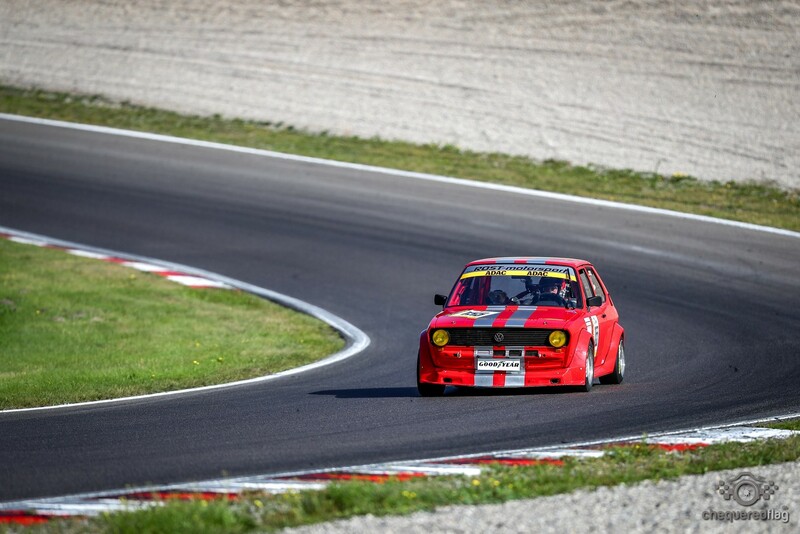 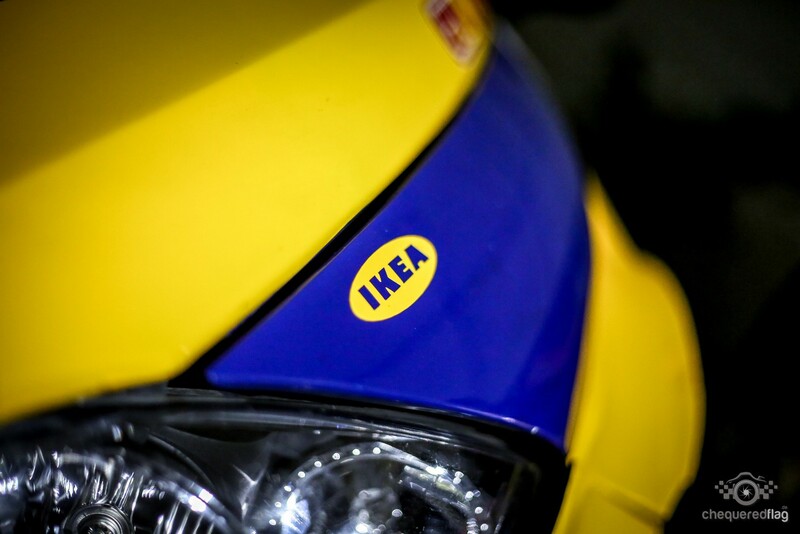 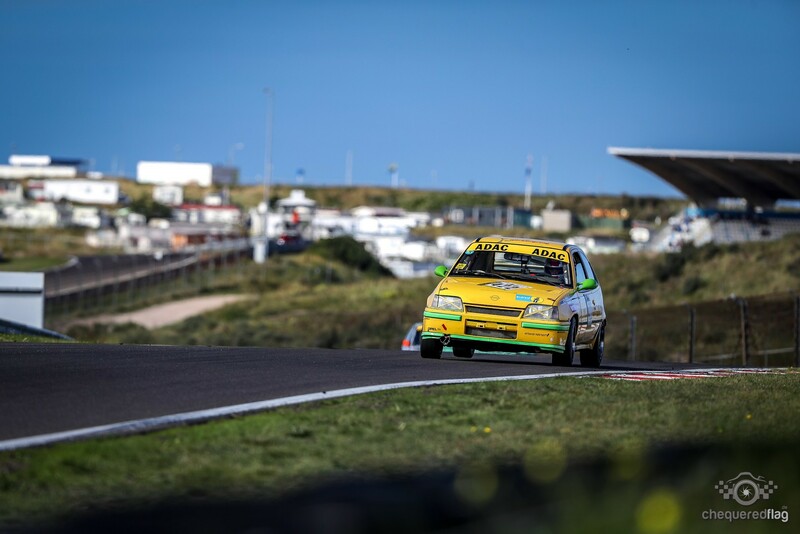 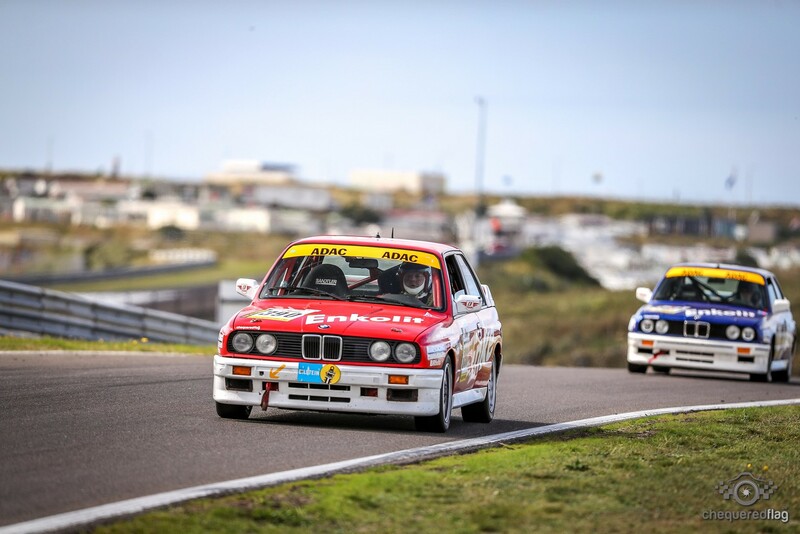 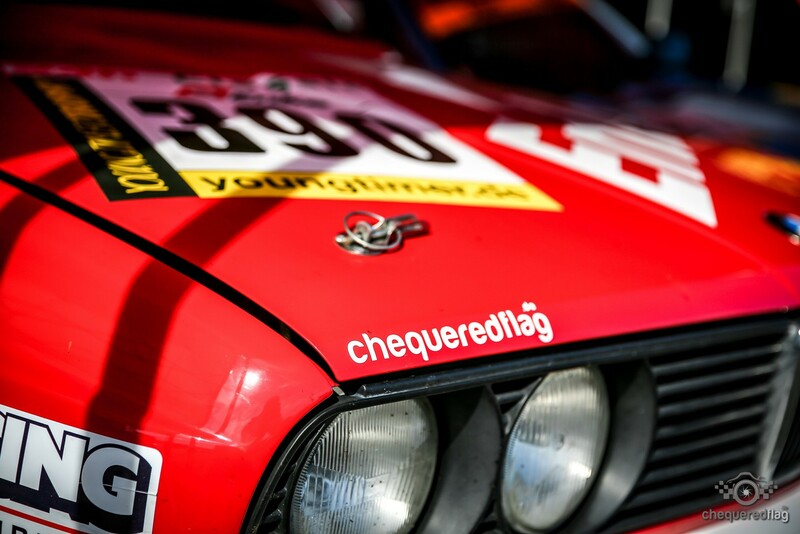 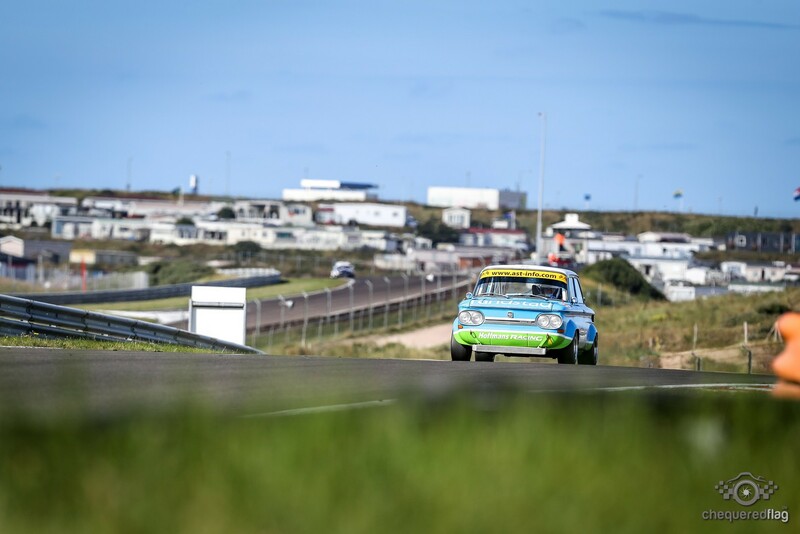 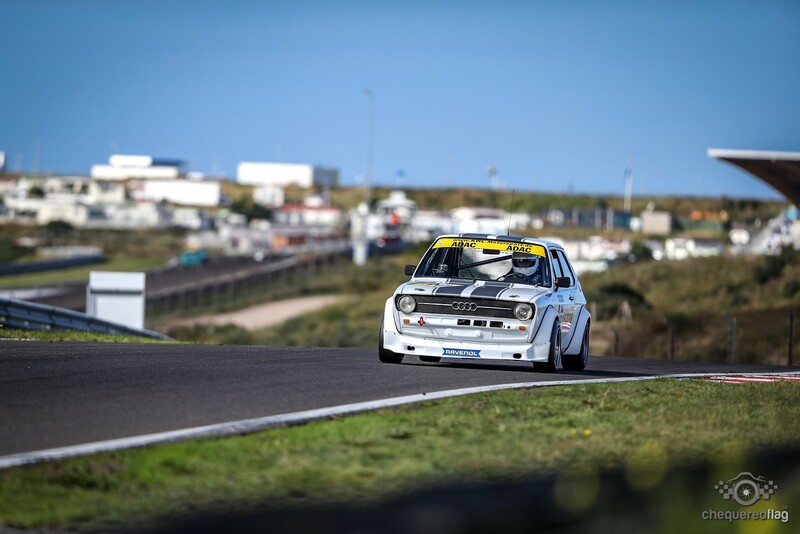 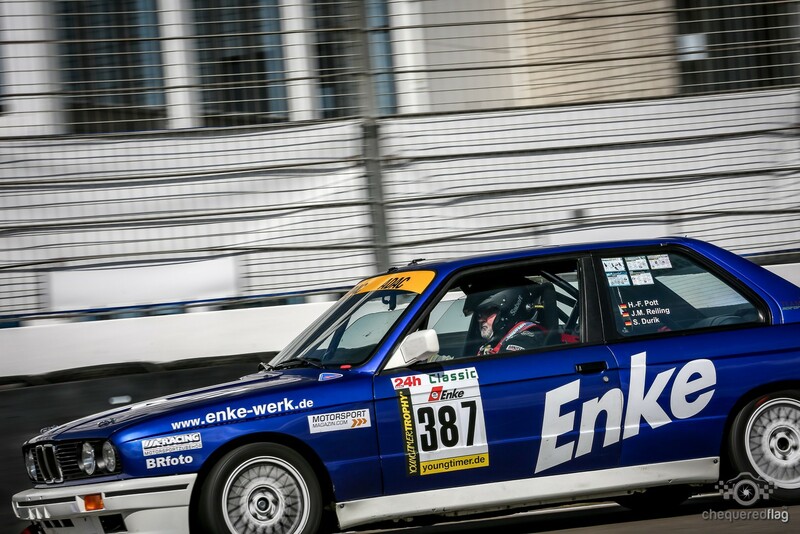 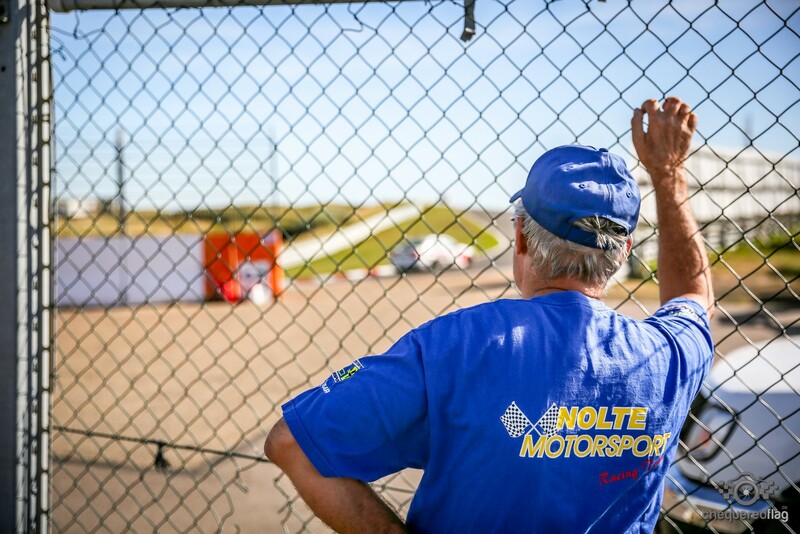 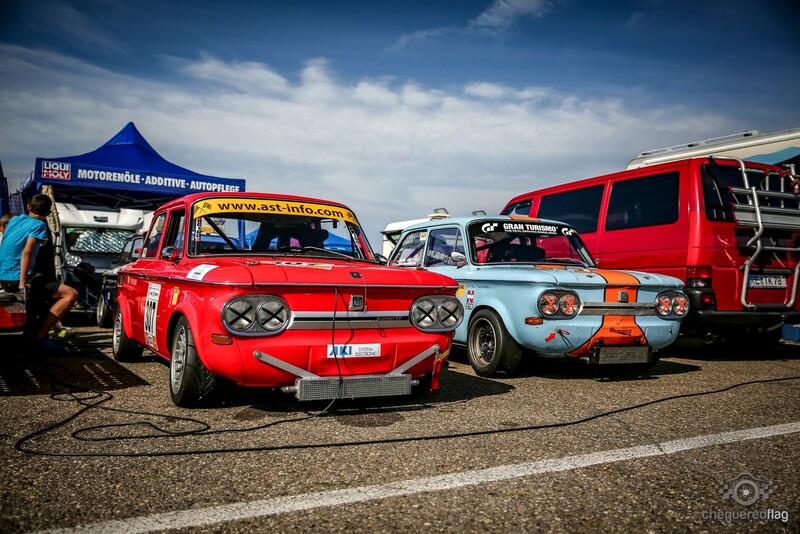 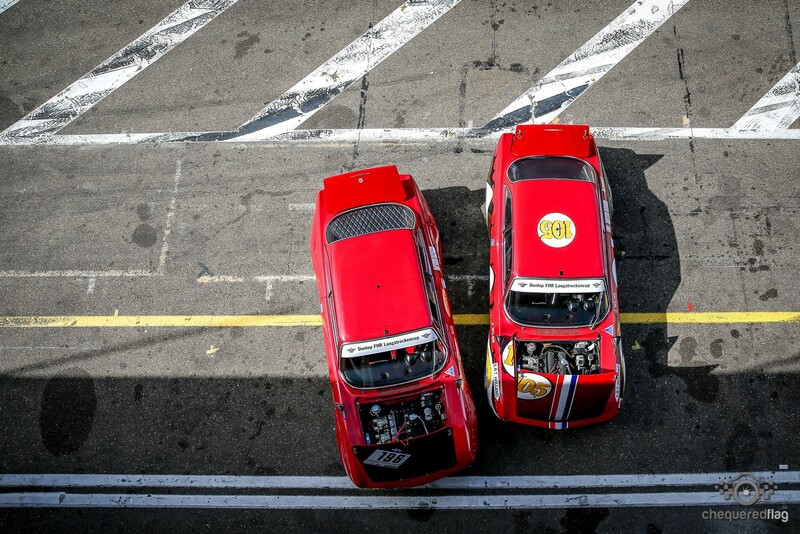 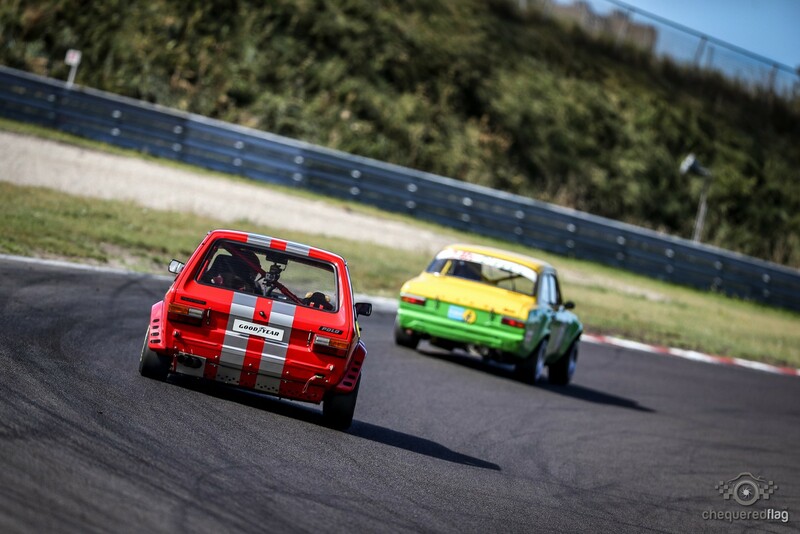 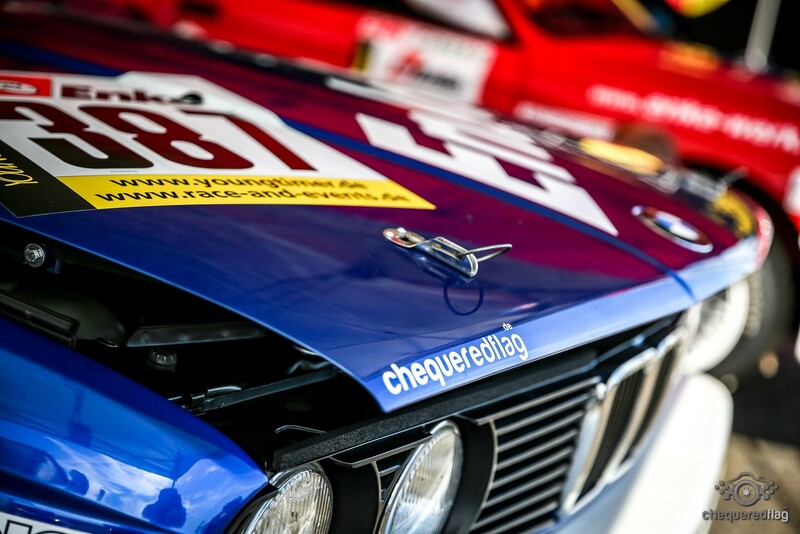 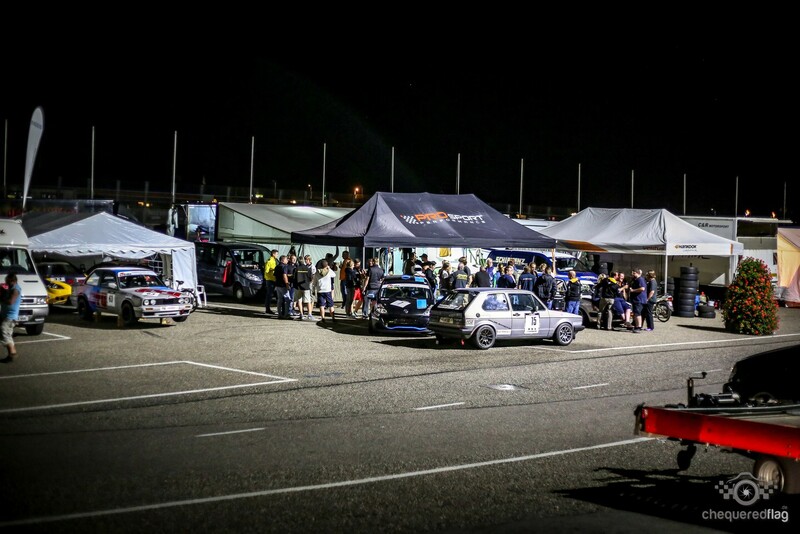 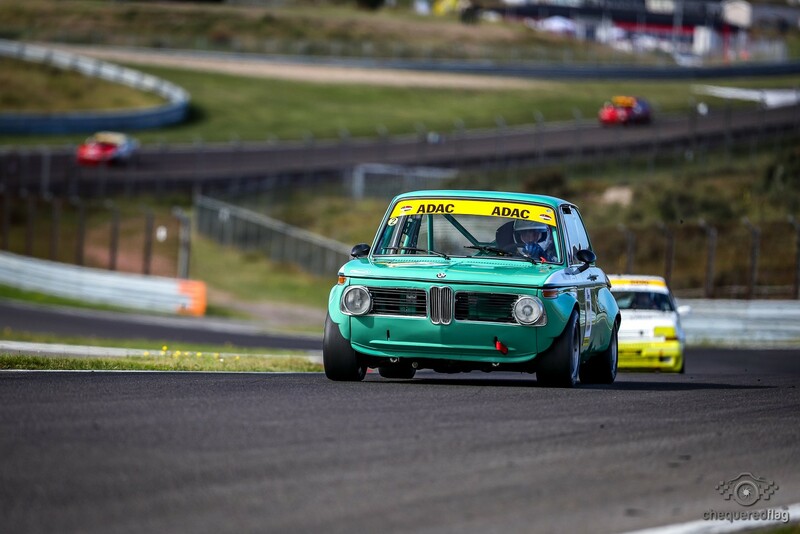 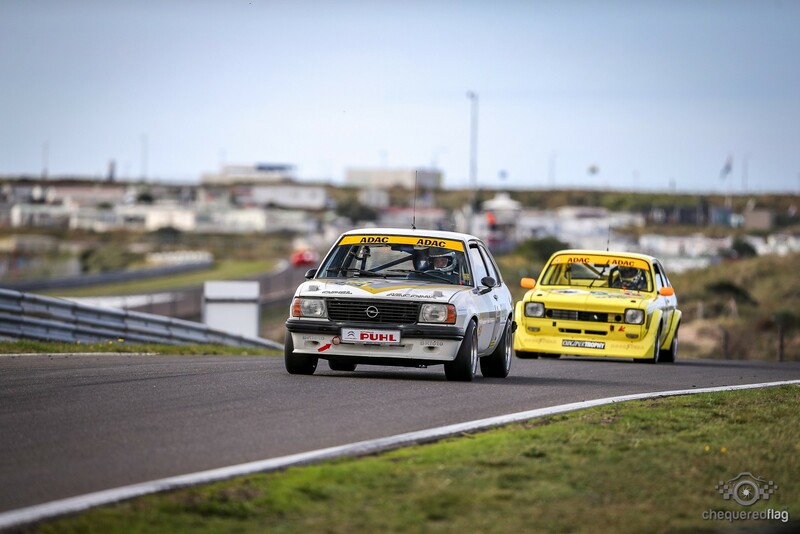 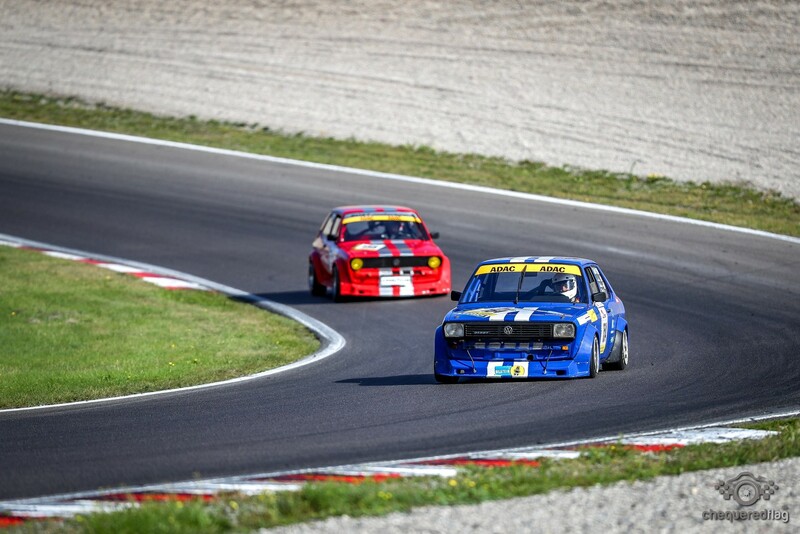 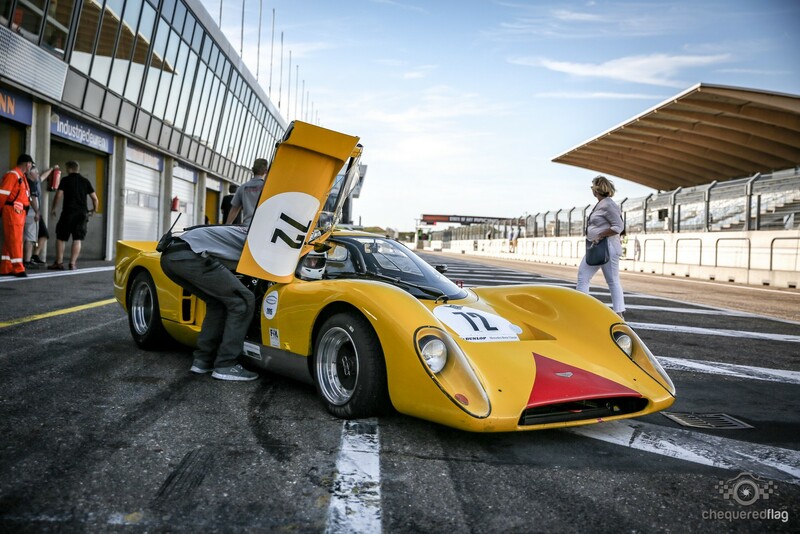 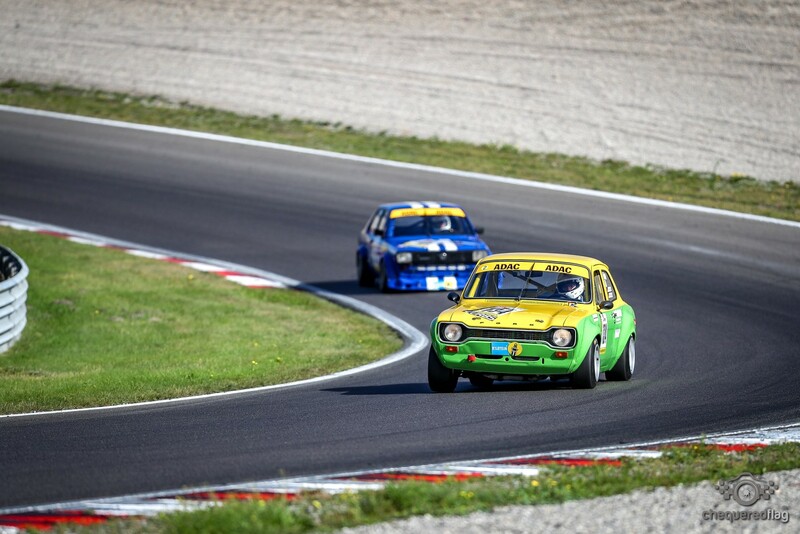 But together we found solutions for most cars and although some cars weren't allowed to start at all, the Races on Saturday and Sunday were packed. 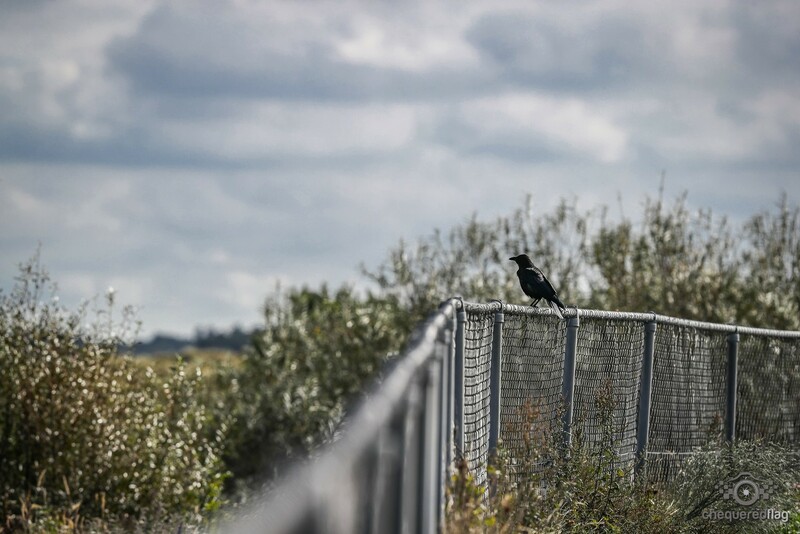 the 92 decibel limitation was written in every inscription site and letter in red bold Fonts, so everybody knew what was coming to them. 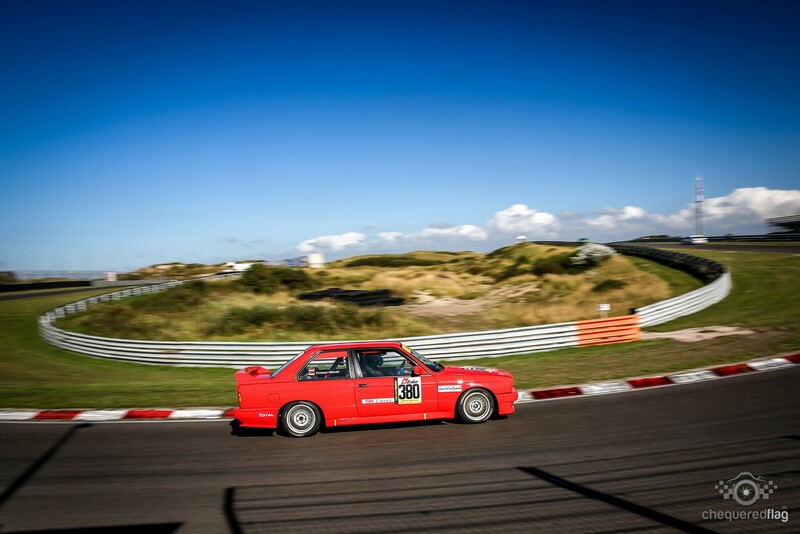 The weather was wonderful and a bright sun shone from Thursday till Saturday evening, but even after a wet sunday morning start i still got a bit of a sunburn in the 70 minutes i was free to take pictures. 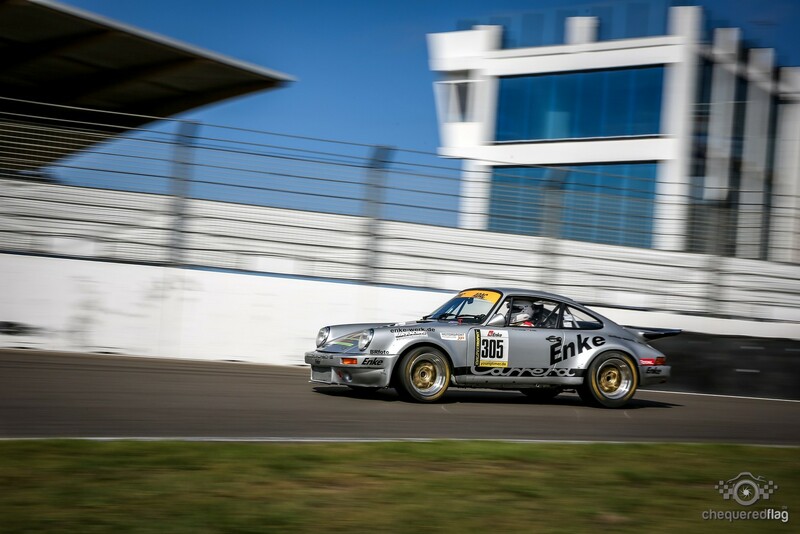 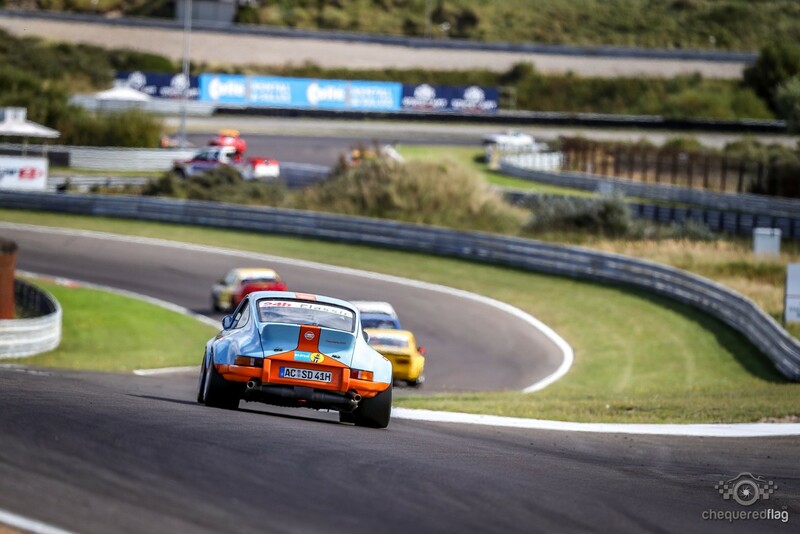 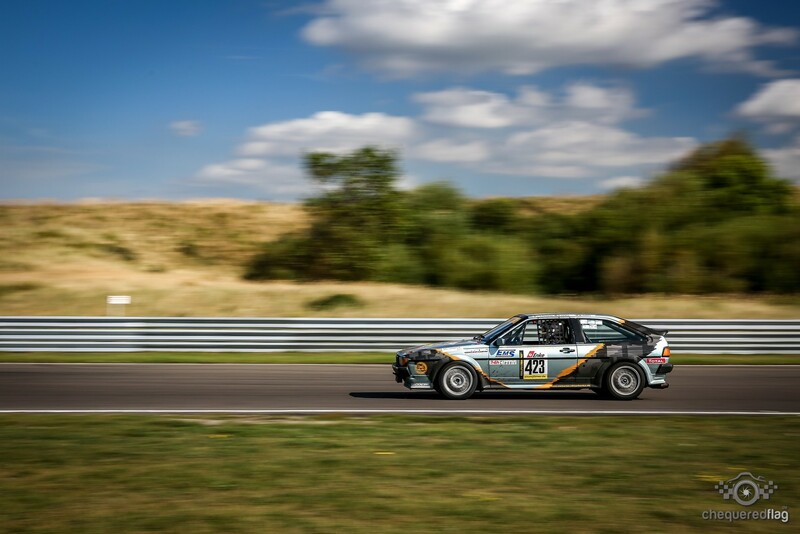 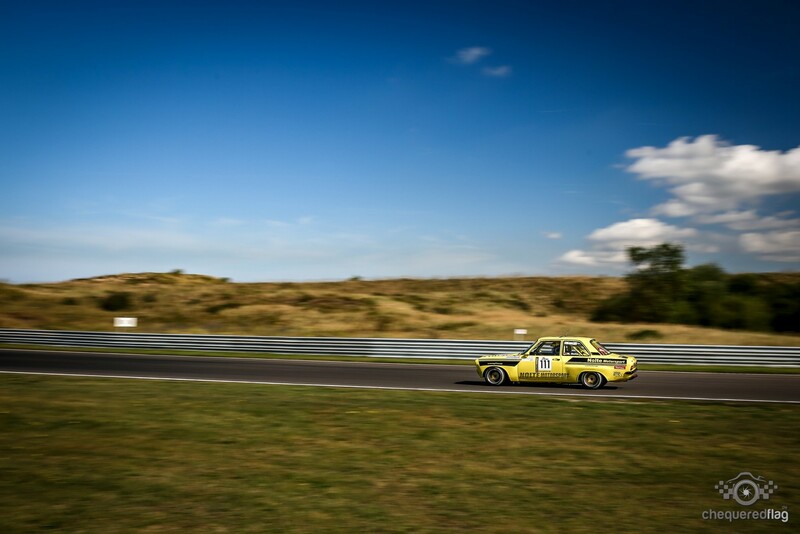 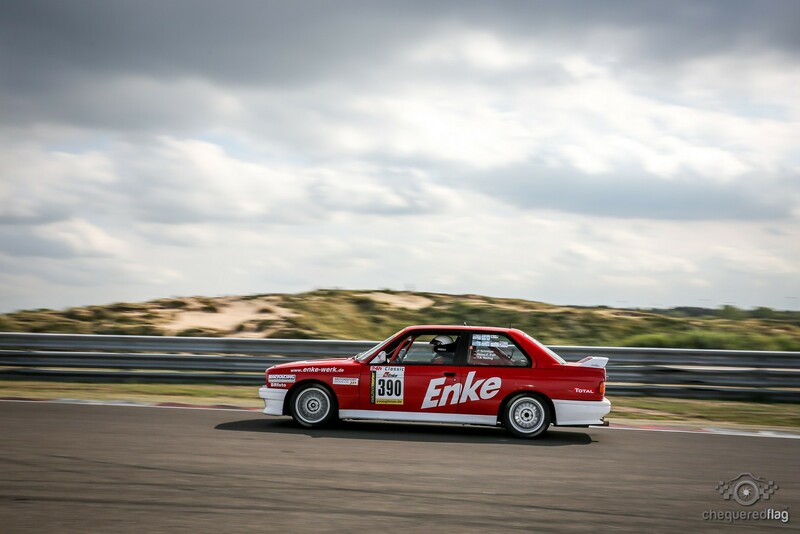 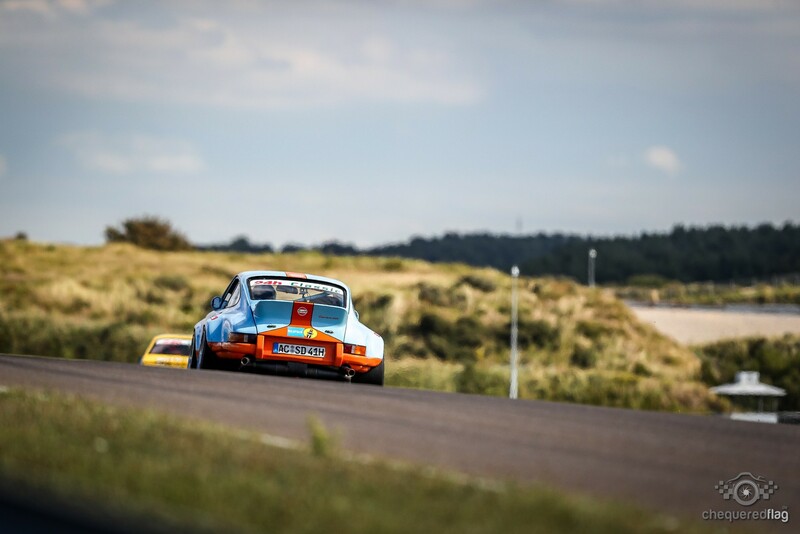 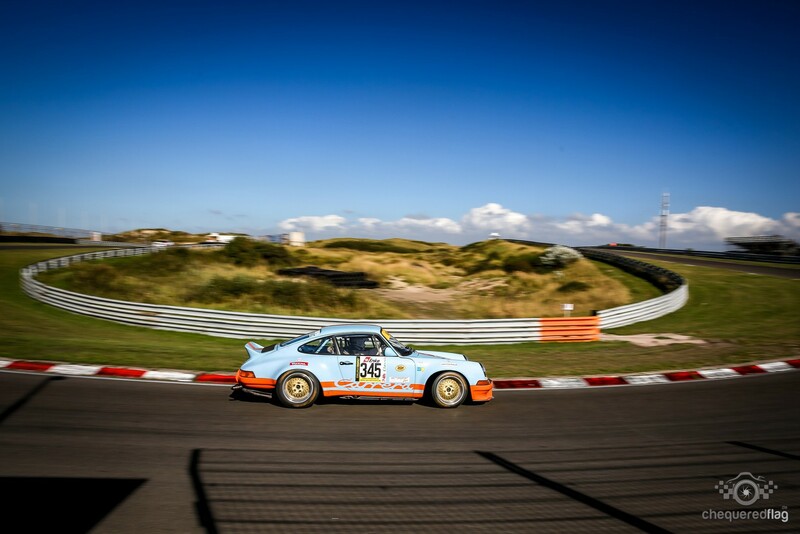 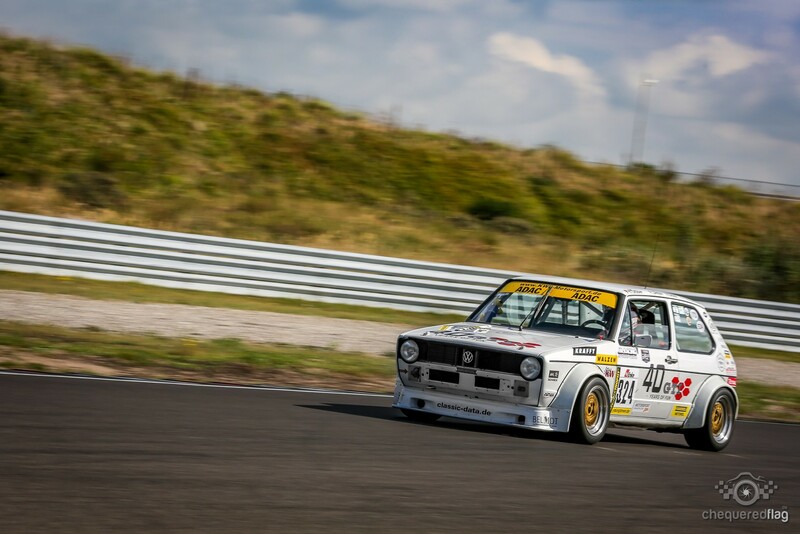 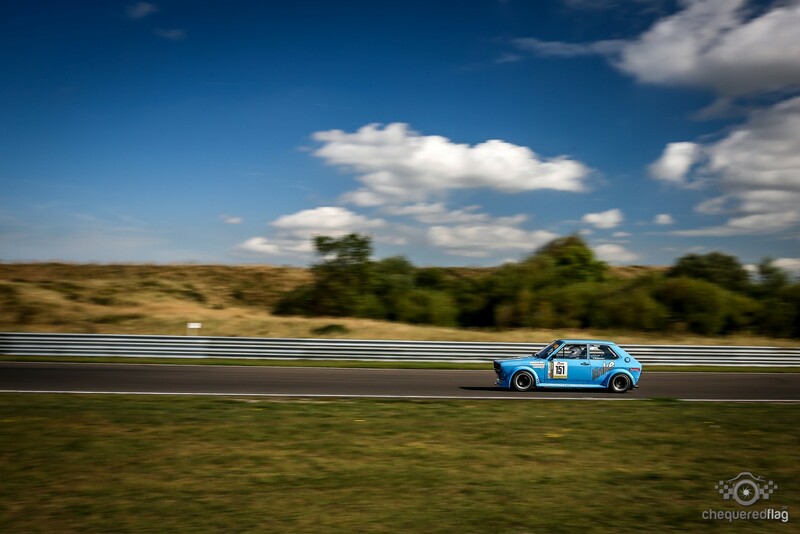 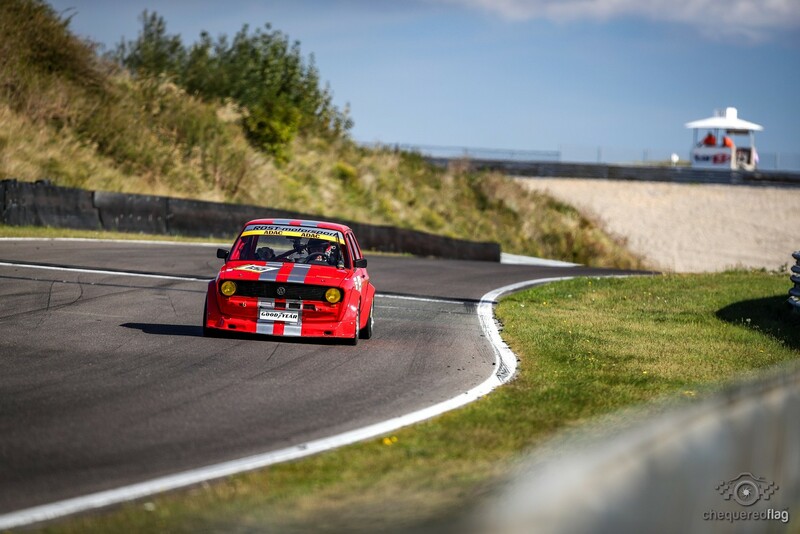 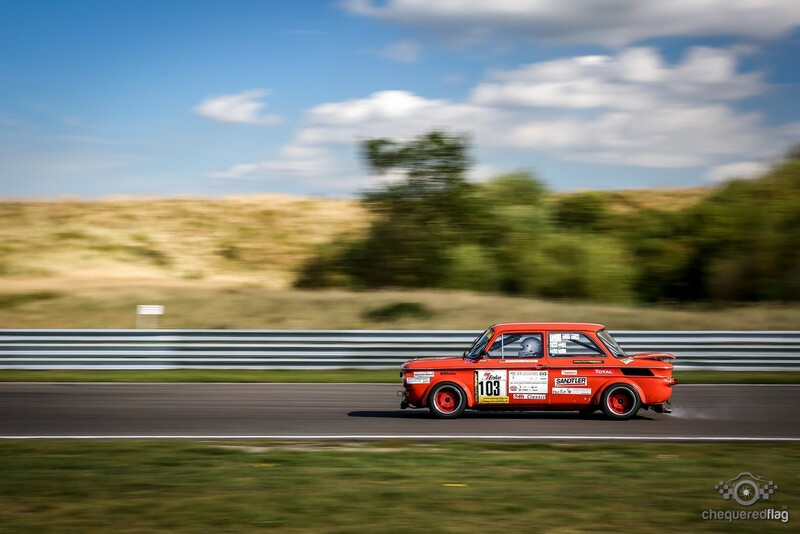 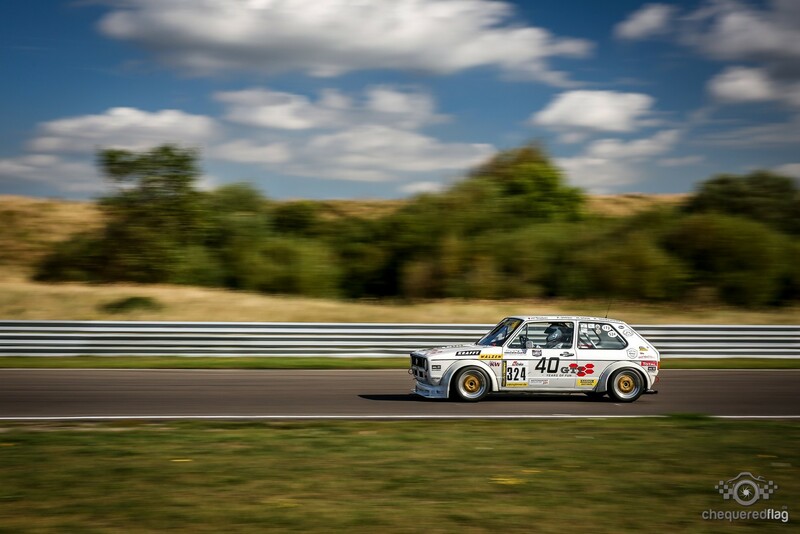 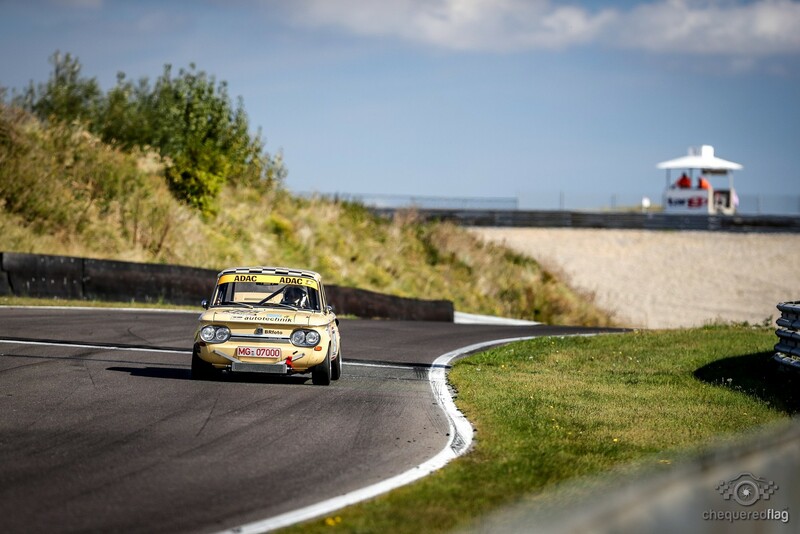 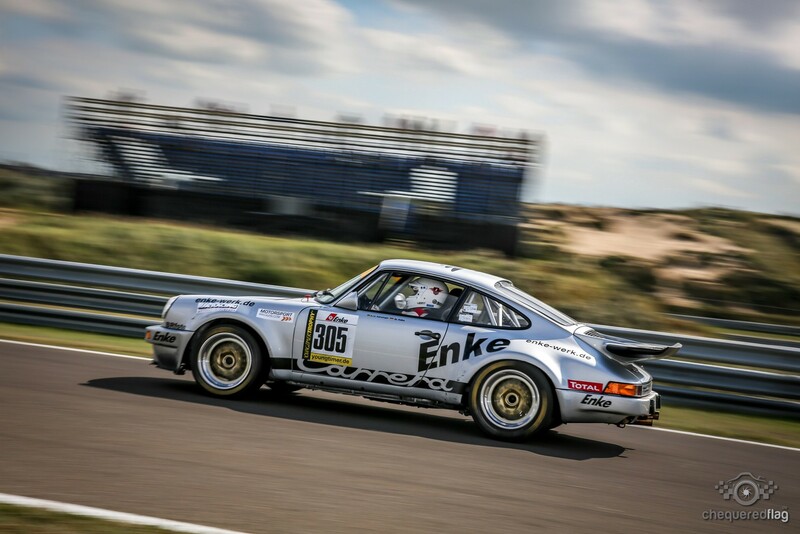 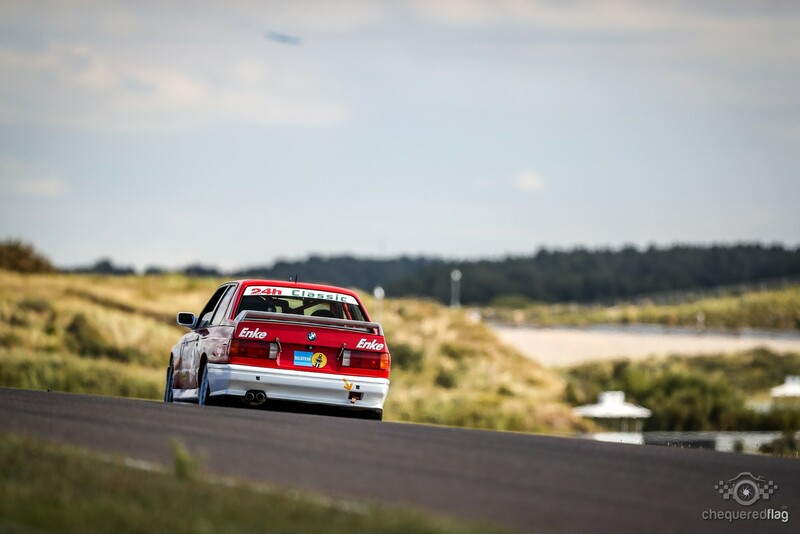 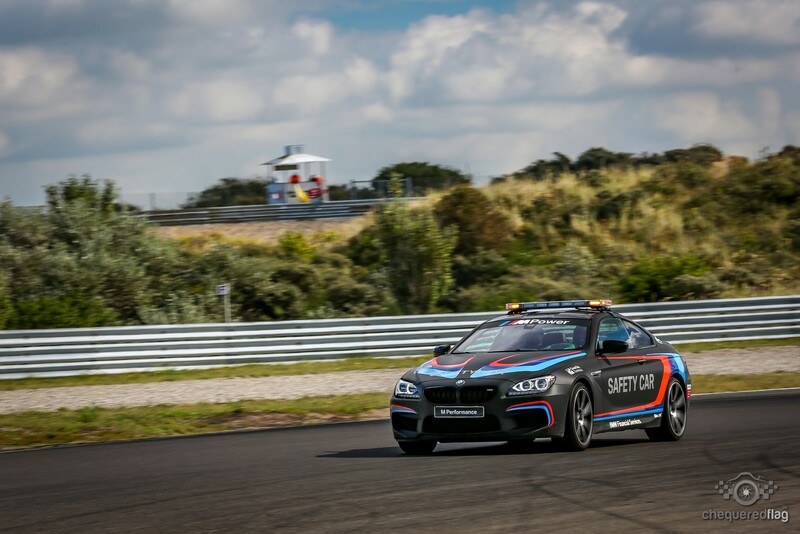 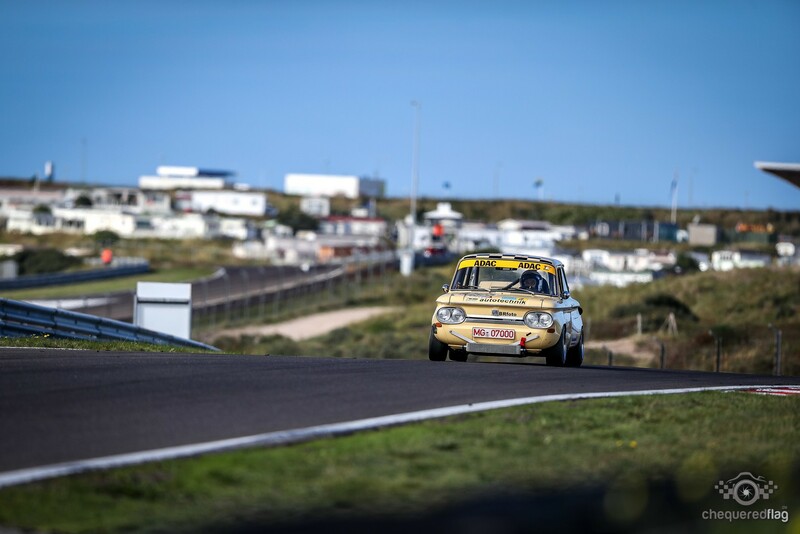 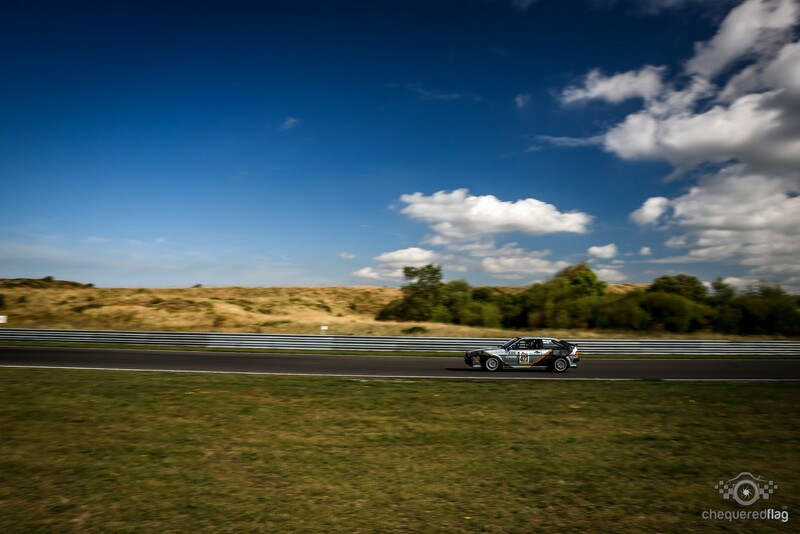 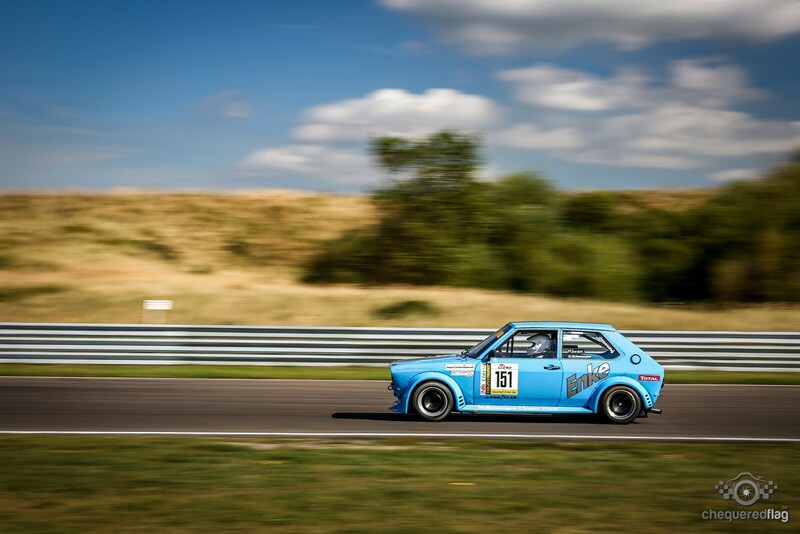 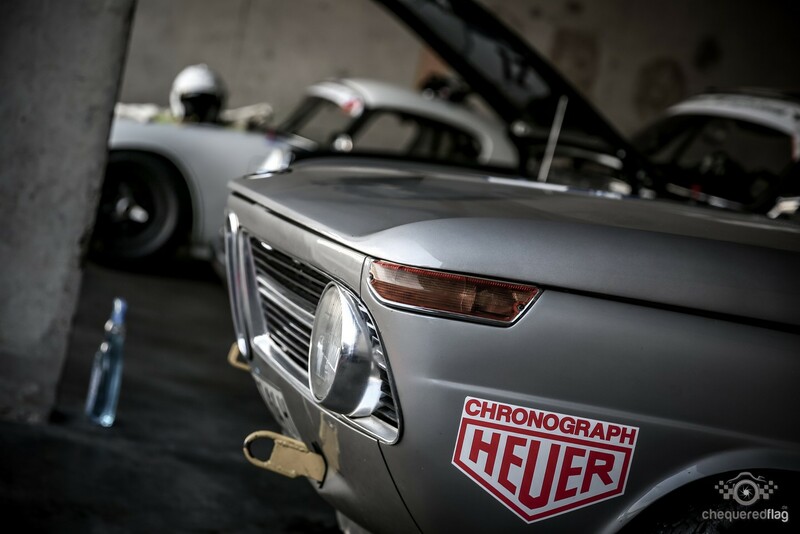 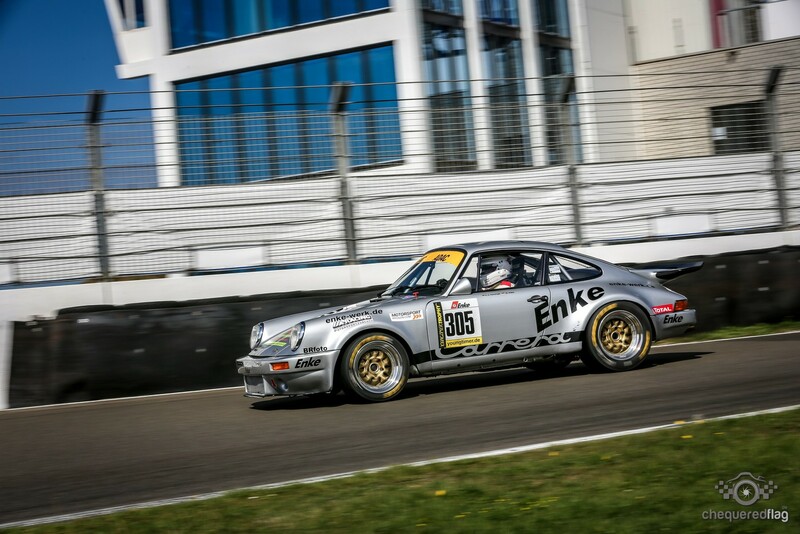 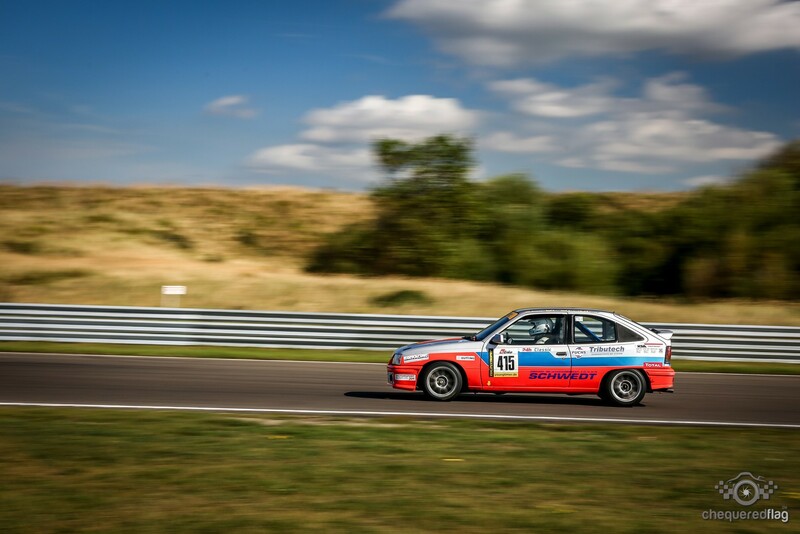 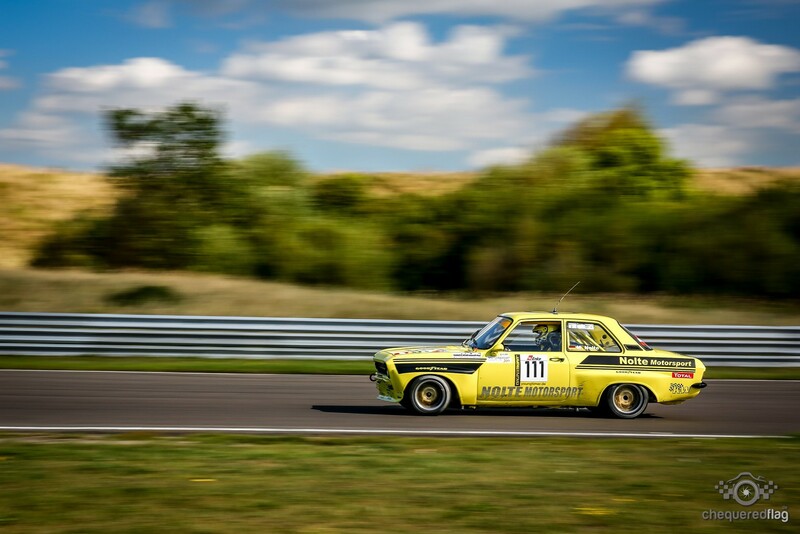 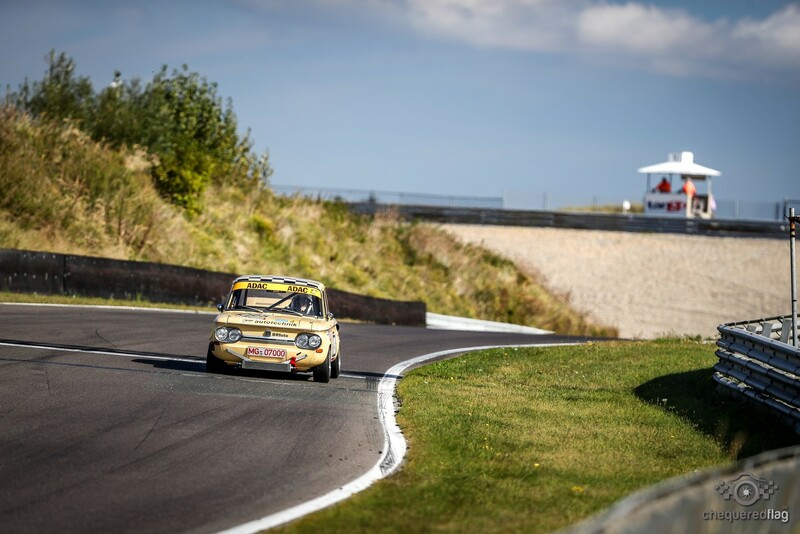 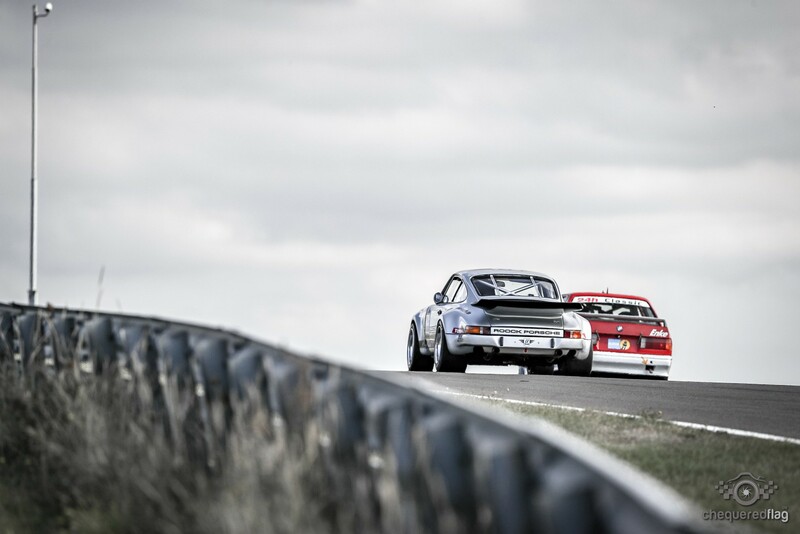 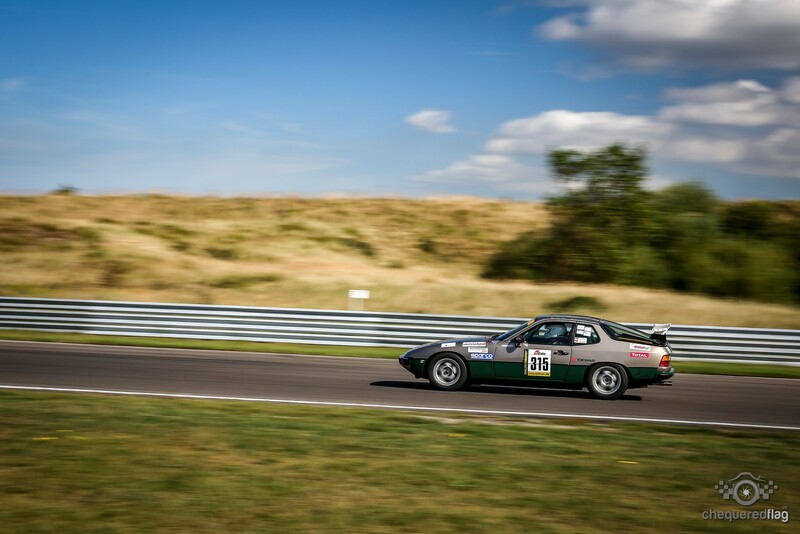 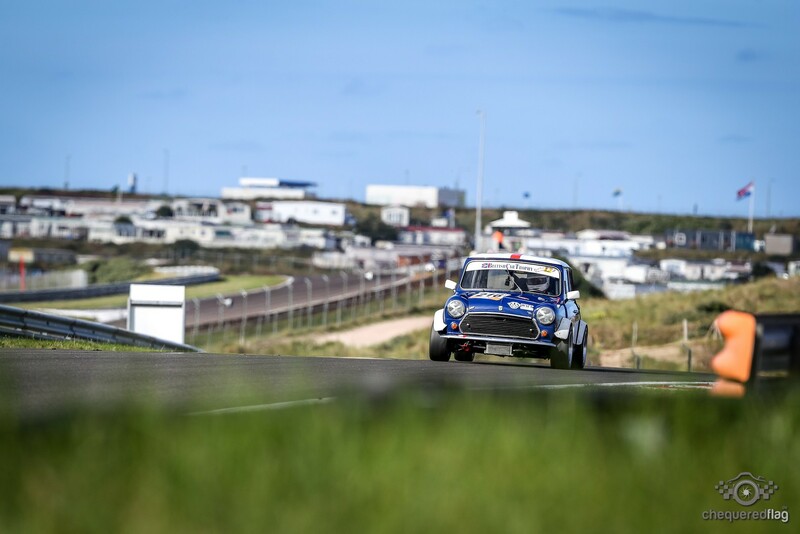 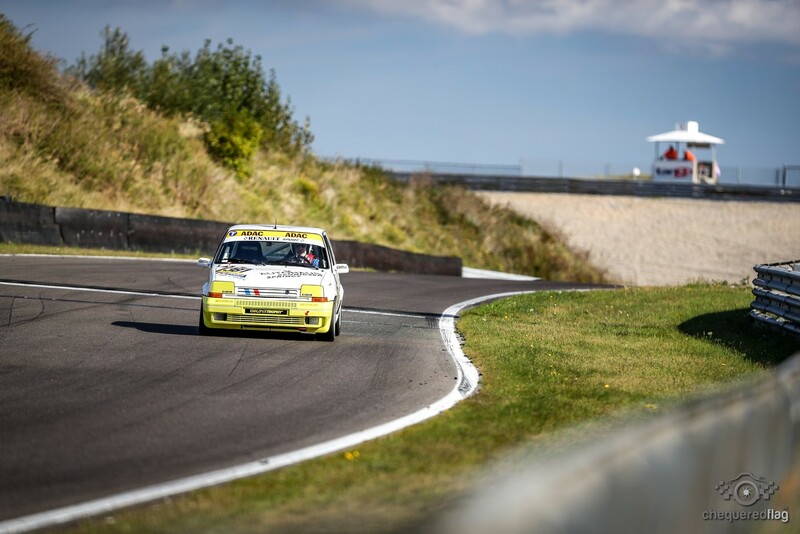 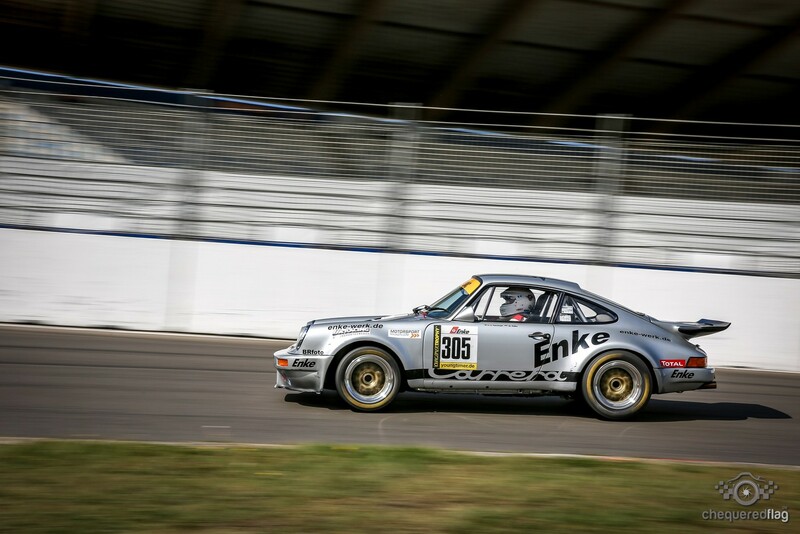 the HTGT Field was wonderful to follow, the Cup& tourenwagen trophy was dominated by the Seats ( Sascha Faath didn't show, probably knowing that a WTCC BMW is simply too loud ) and the Yongtimer and Zwerge i was fortunate enough to see live in the dunes. 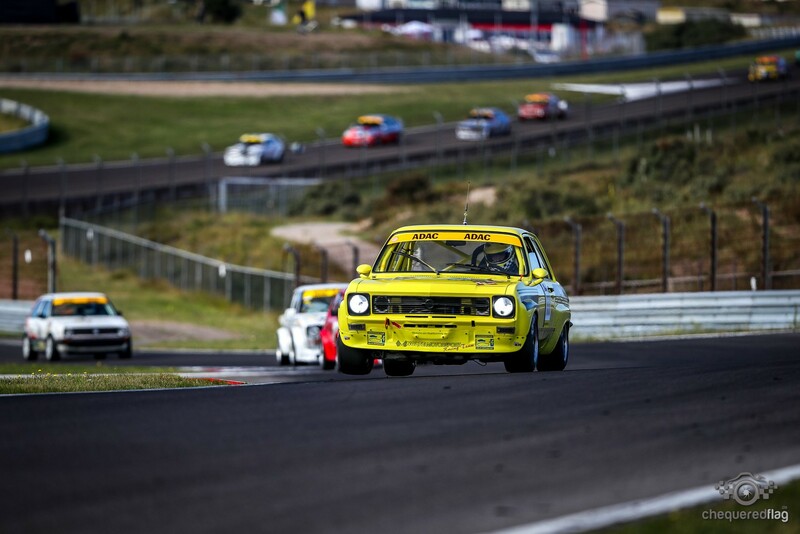 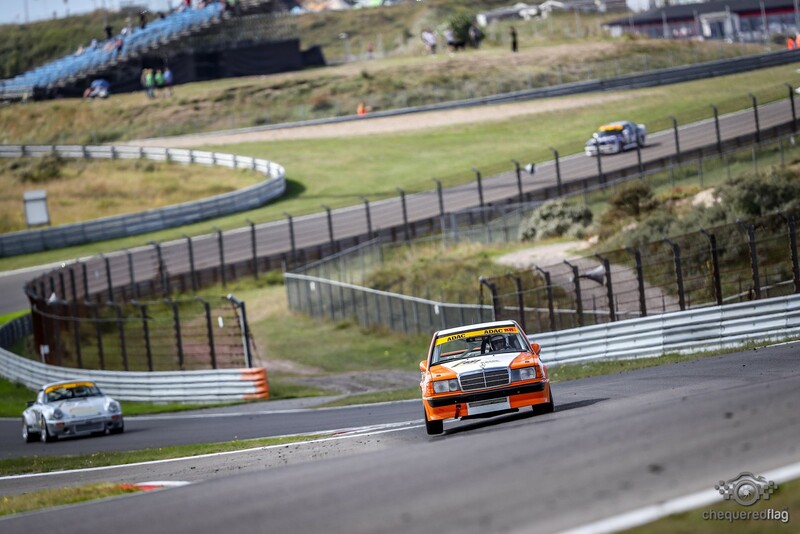 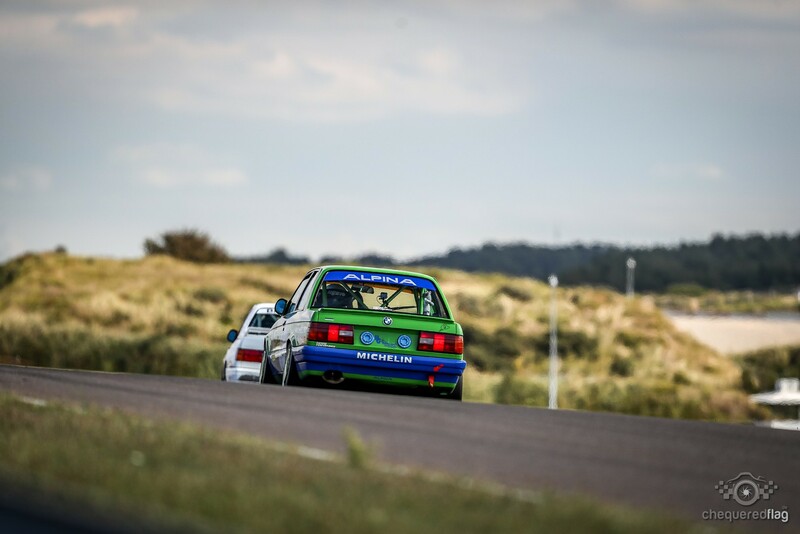 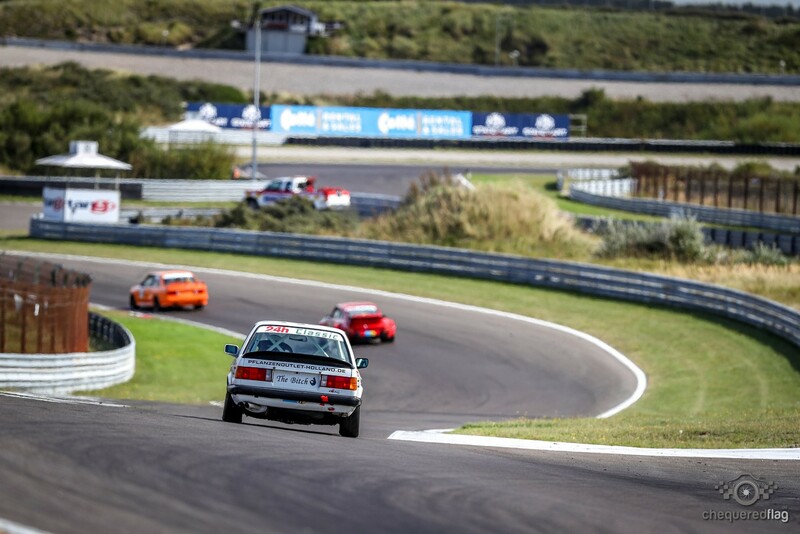 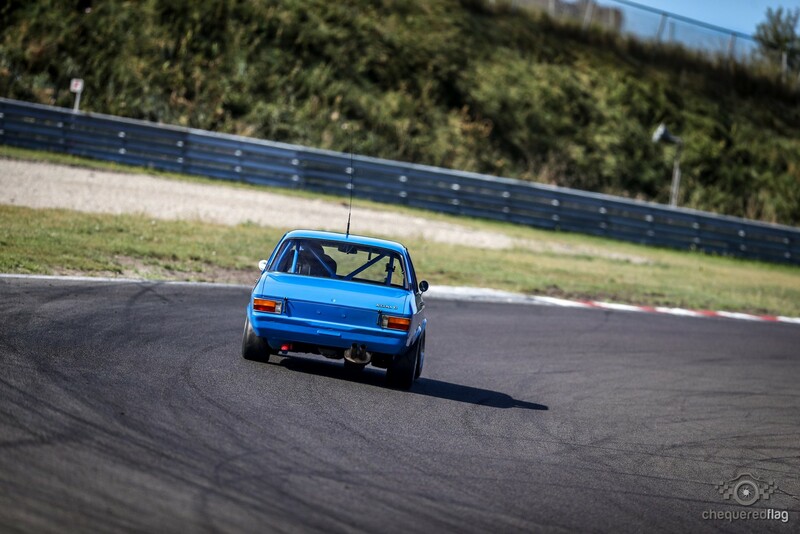 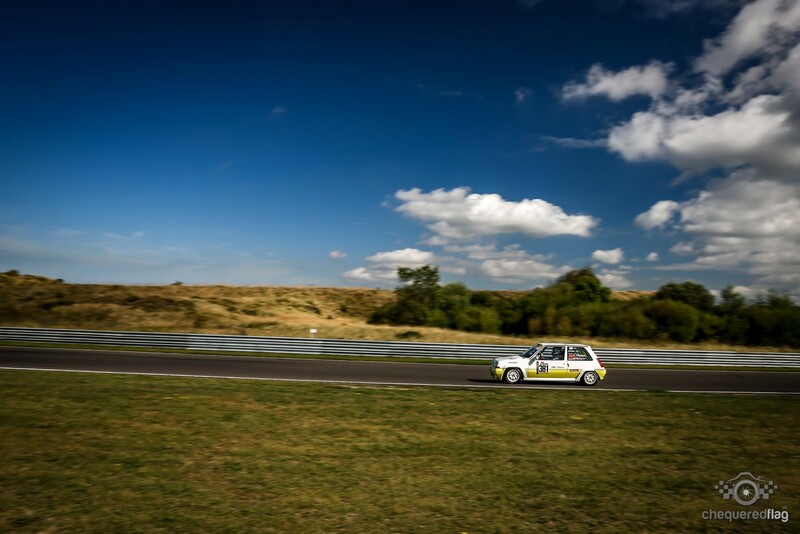 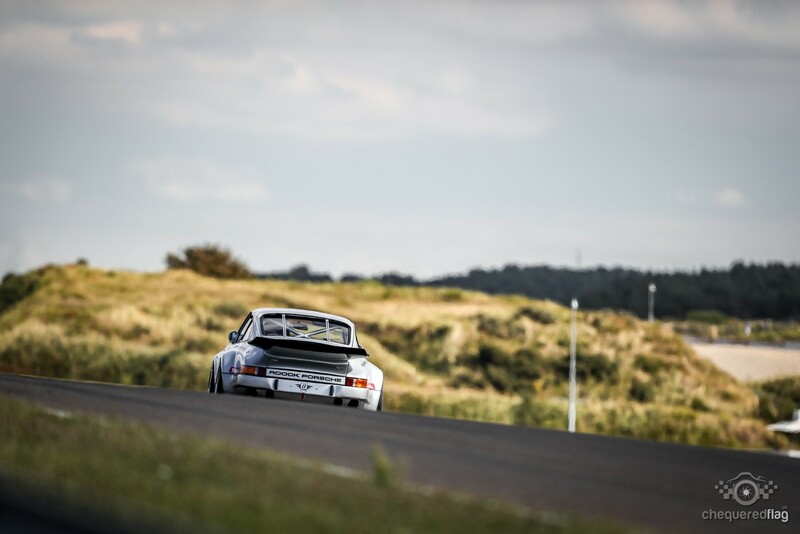 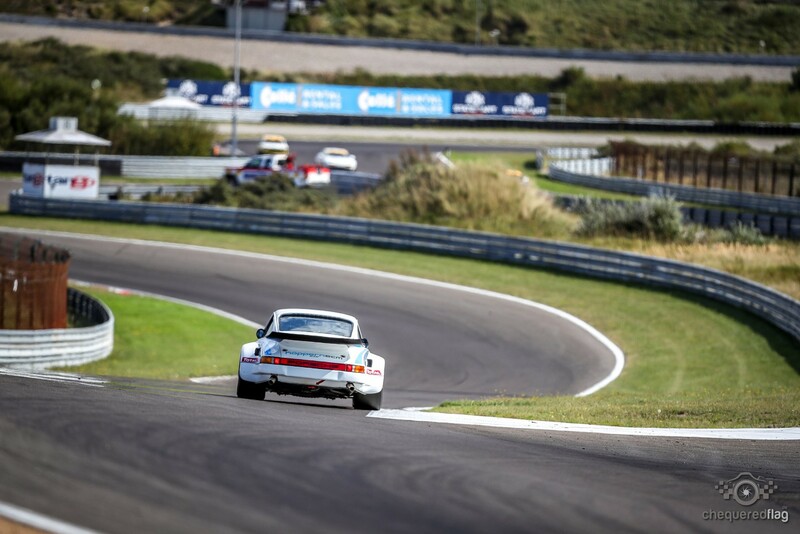 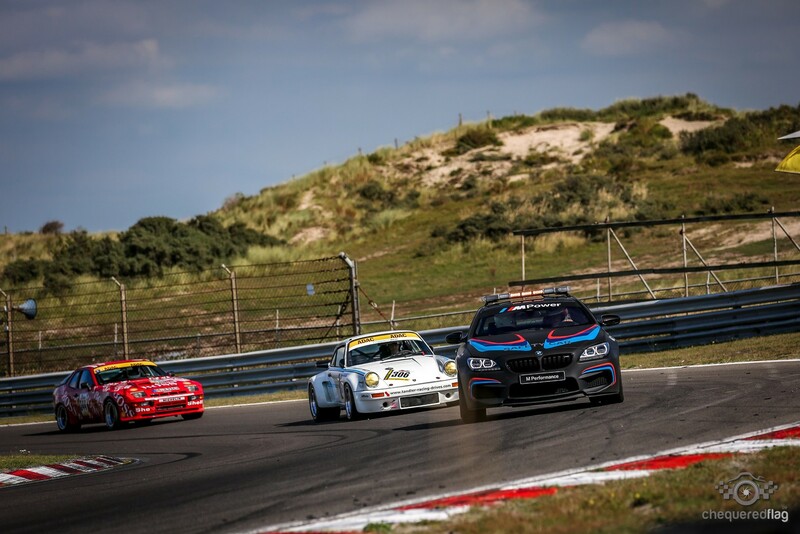 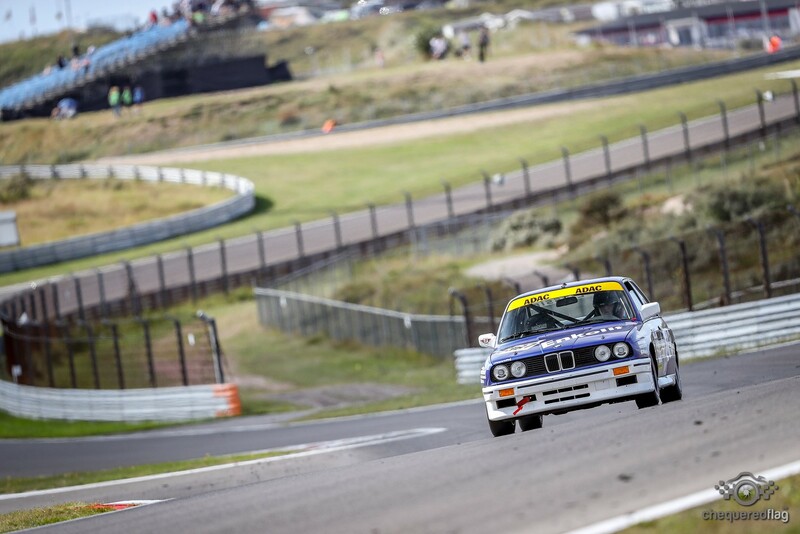 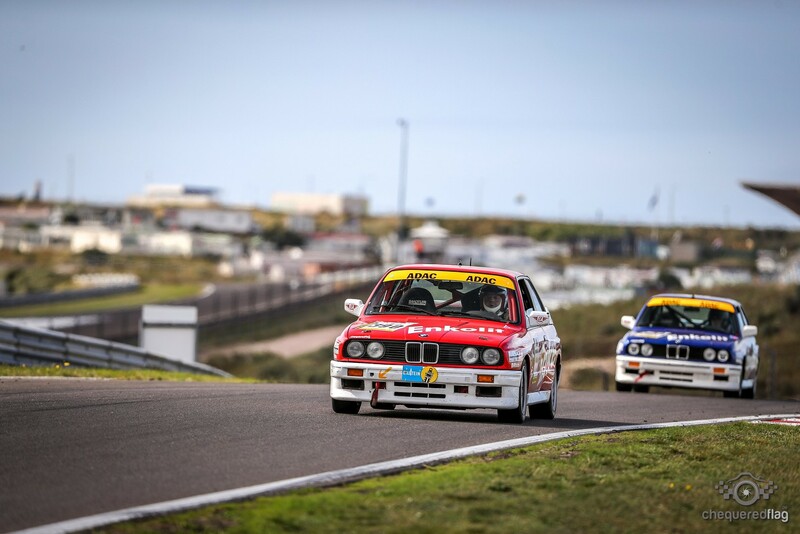 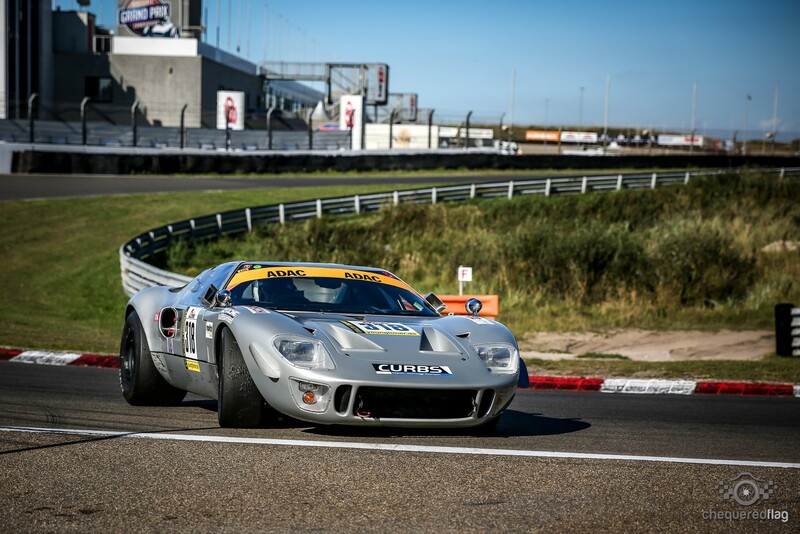 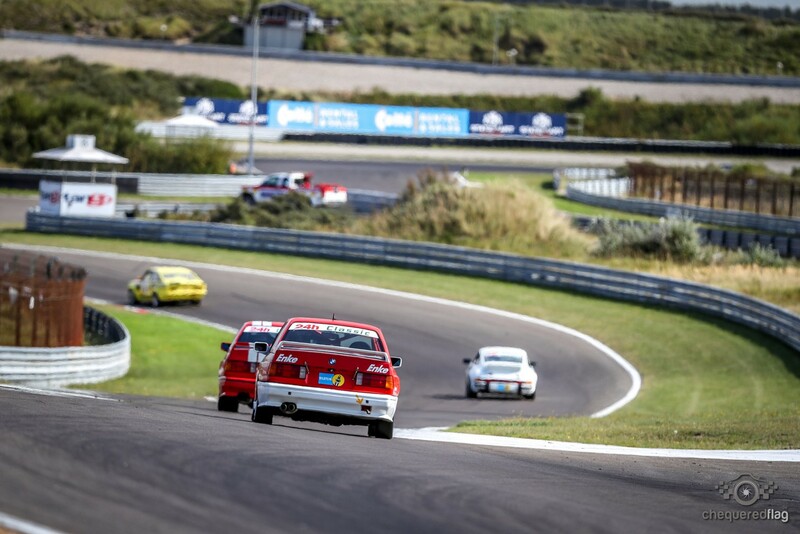 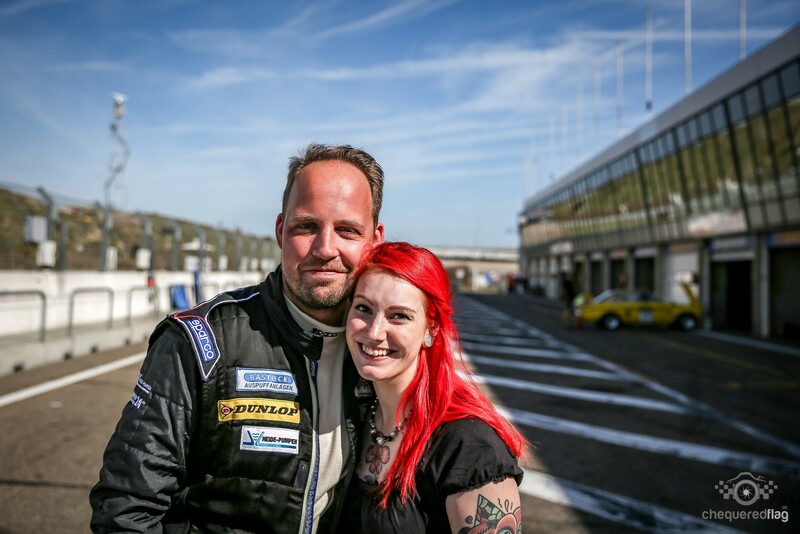 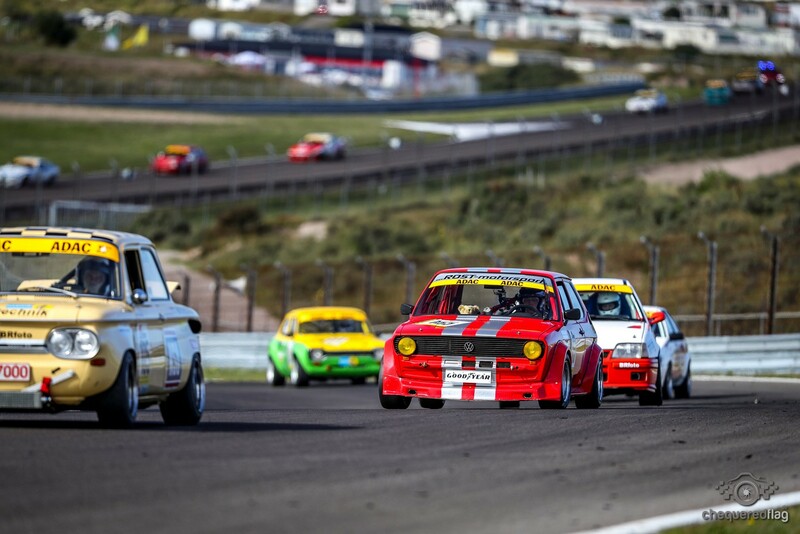 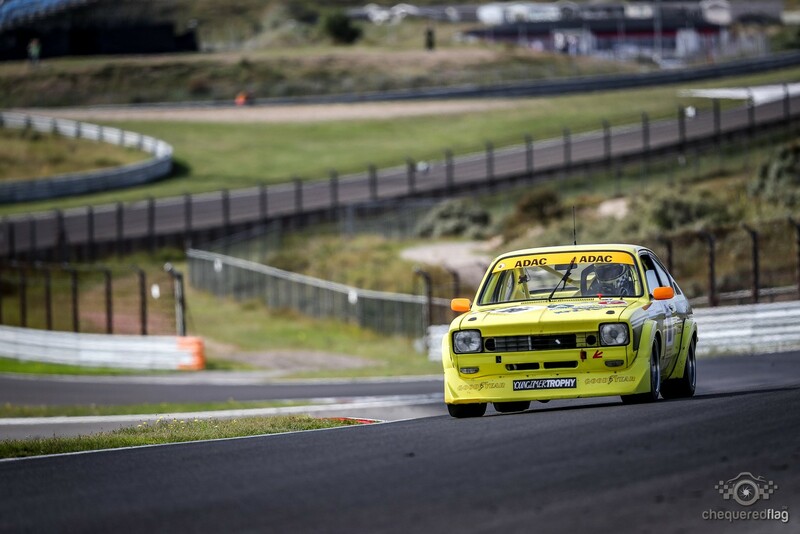 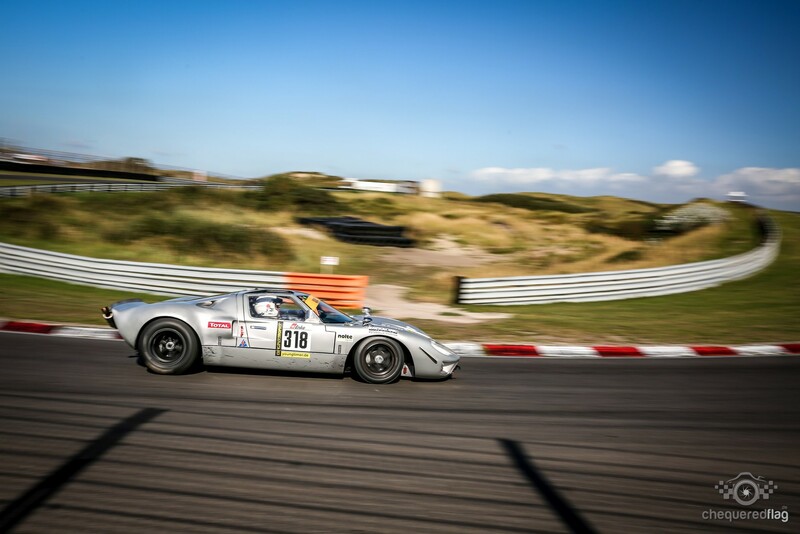 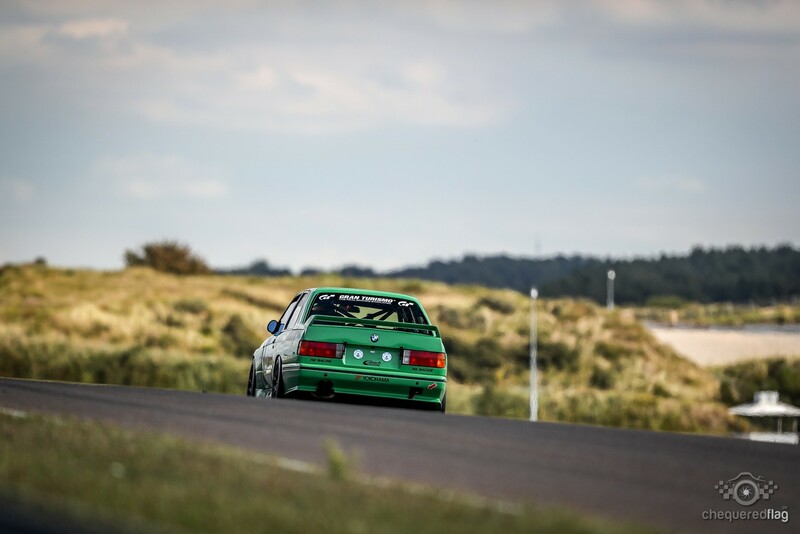 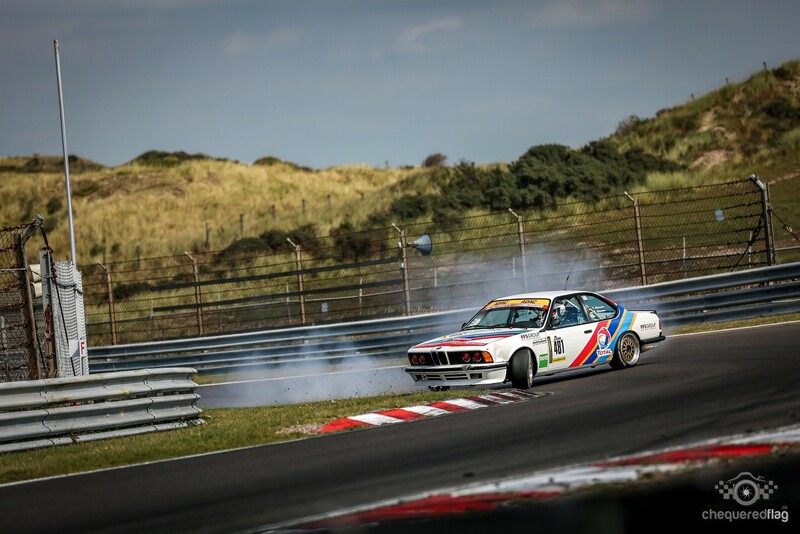 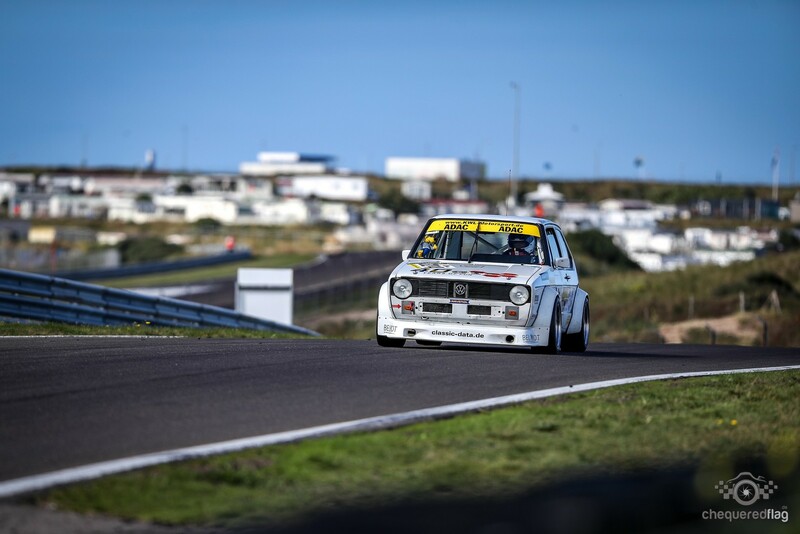 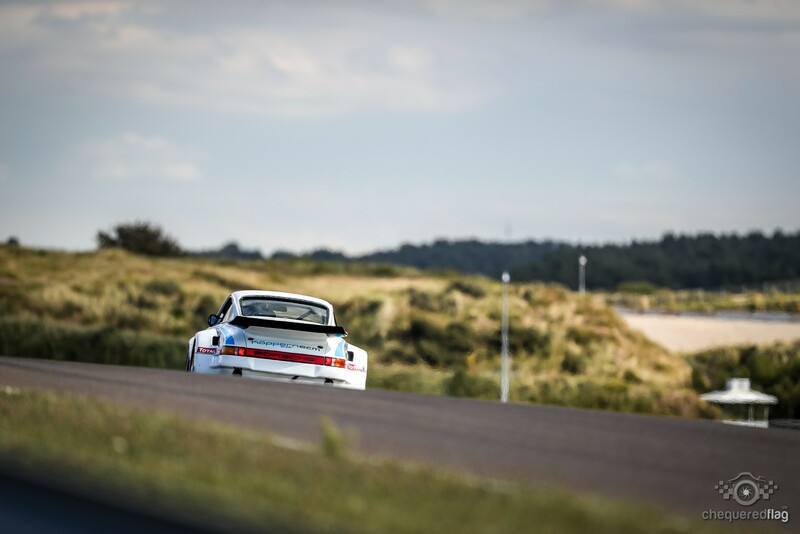 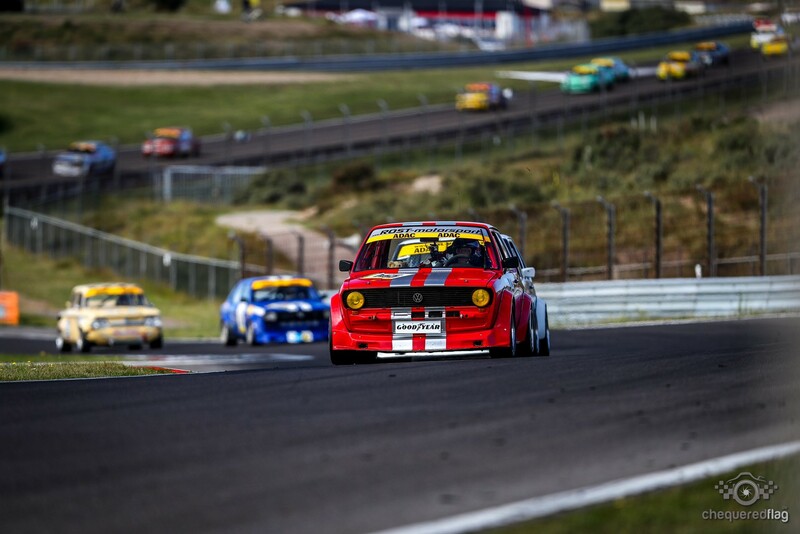 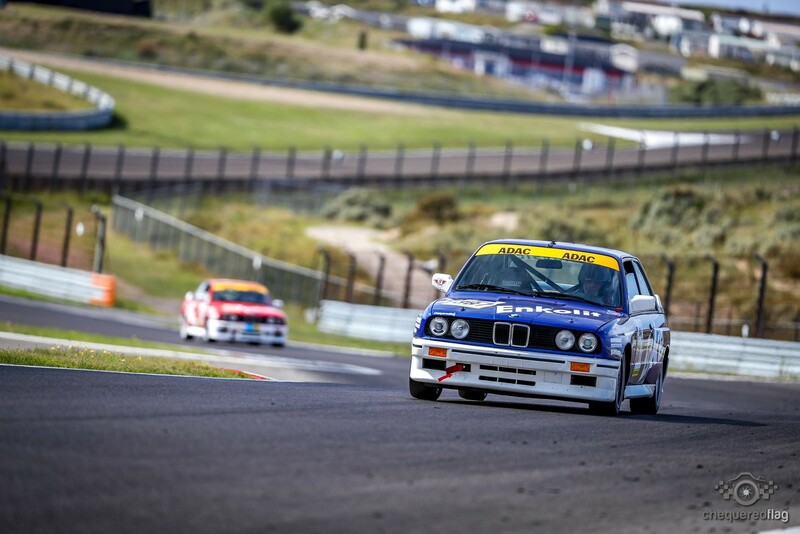 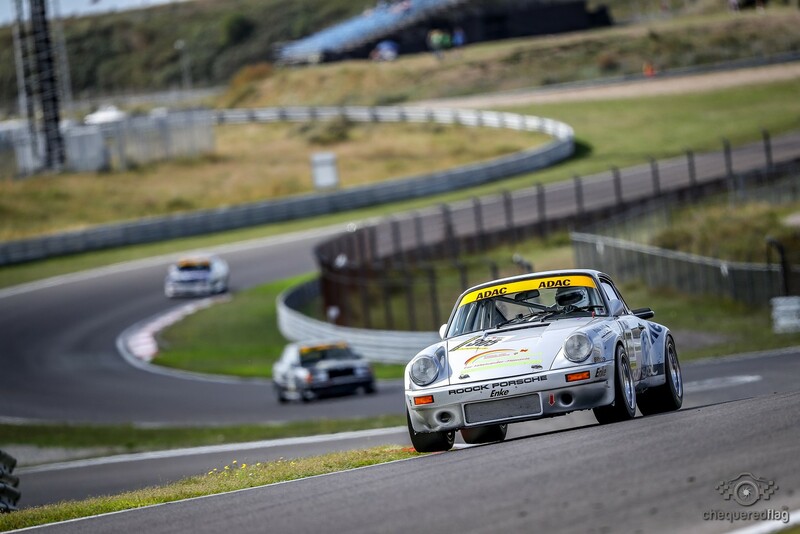 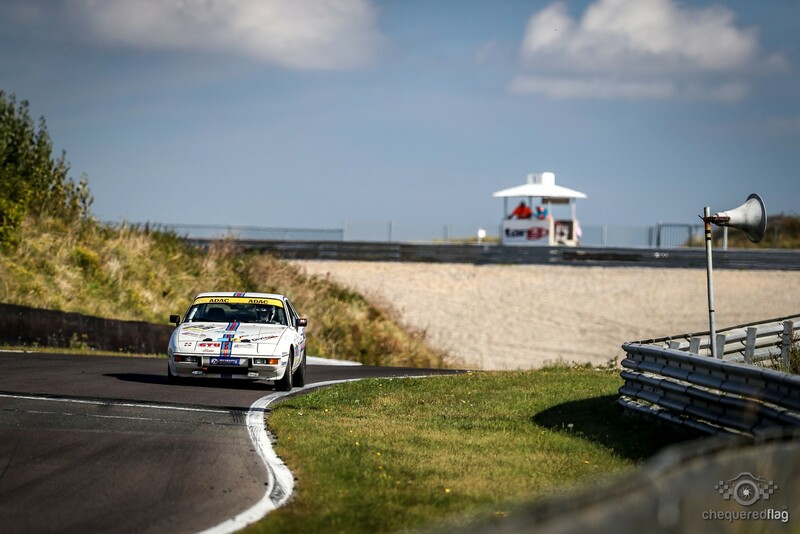 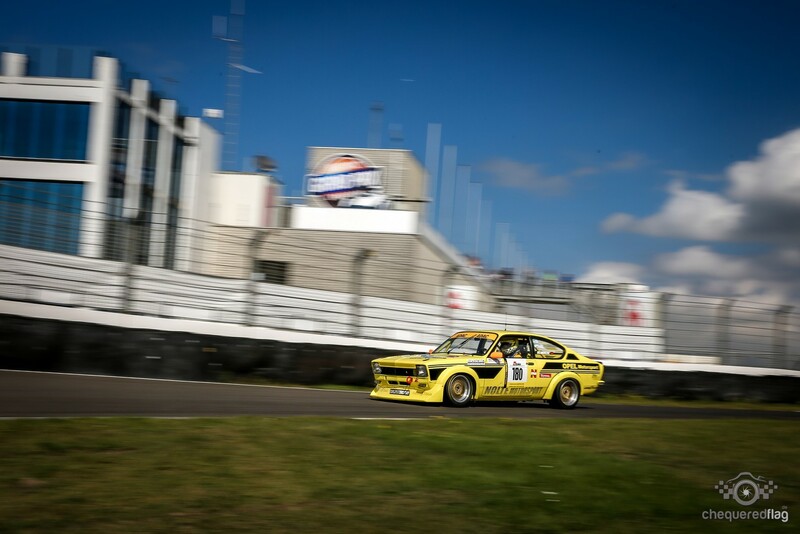 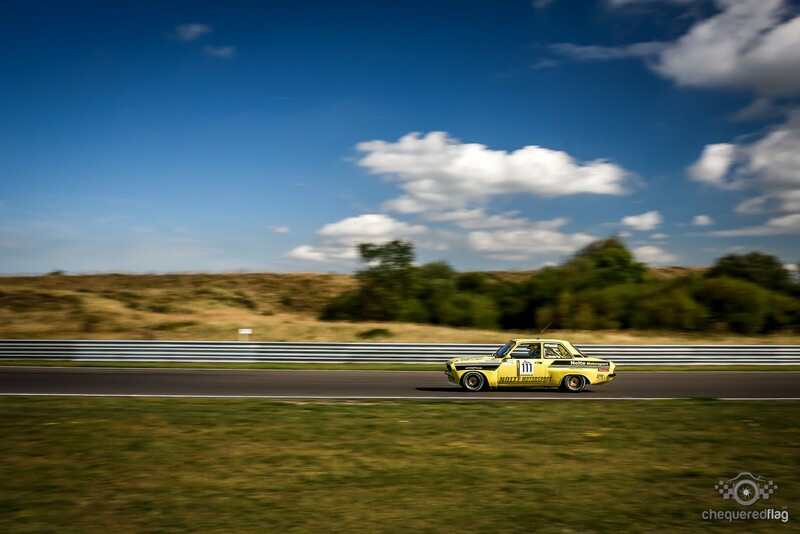 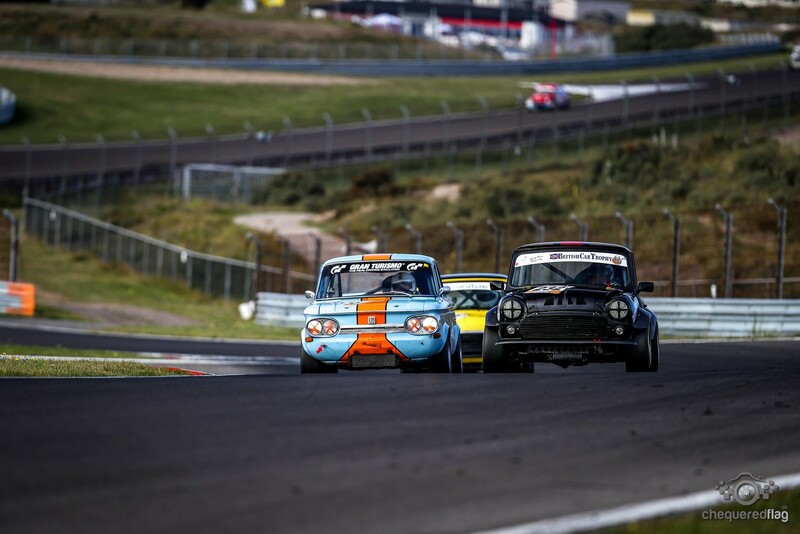 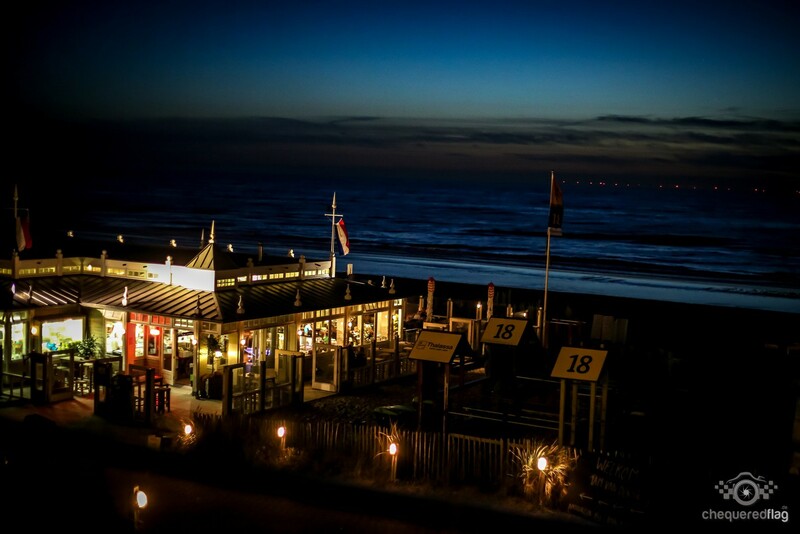 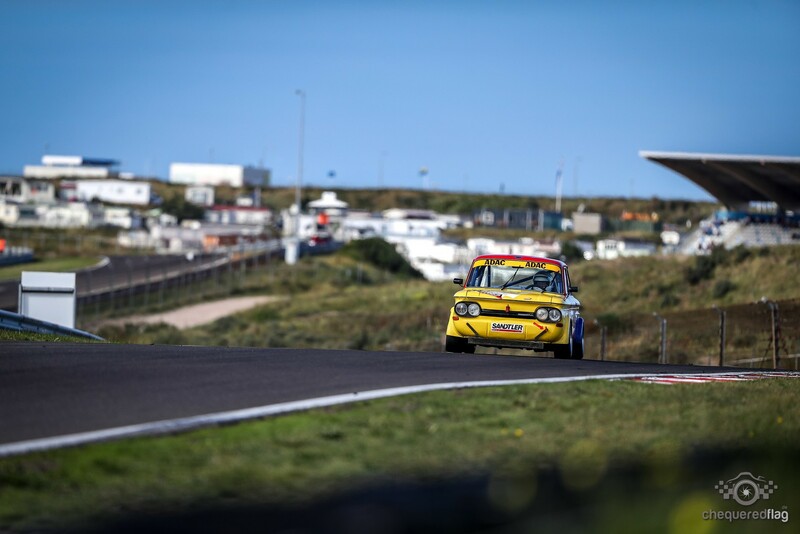 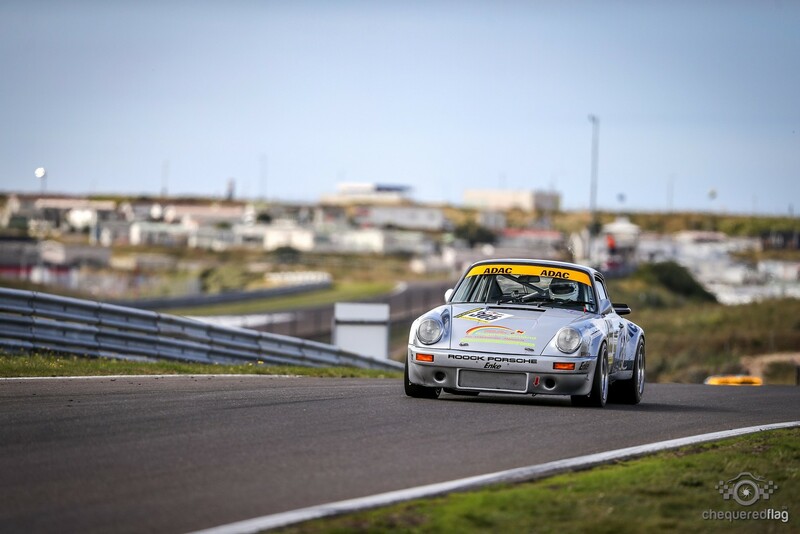 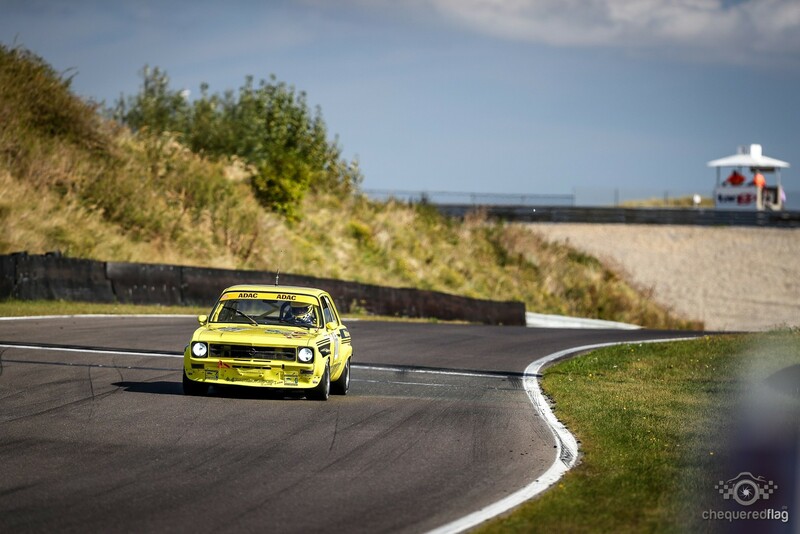 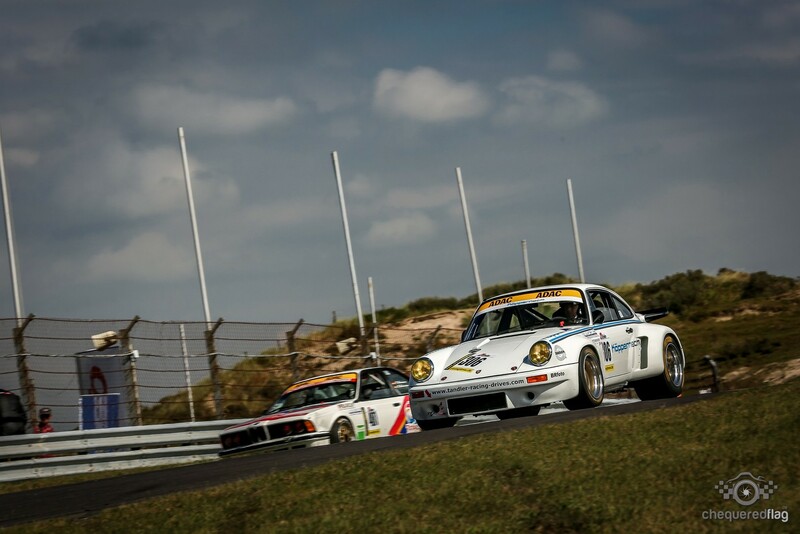 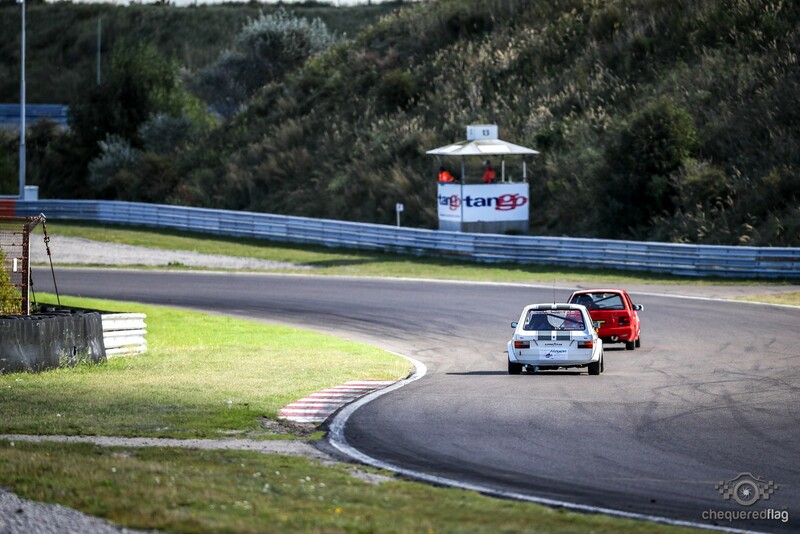 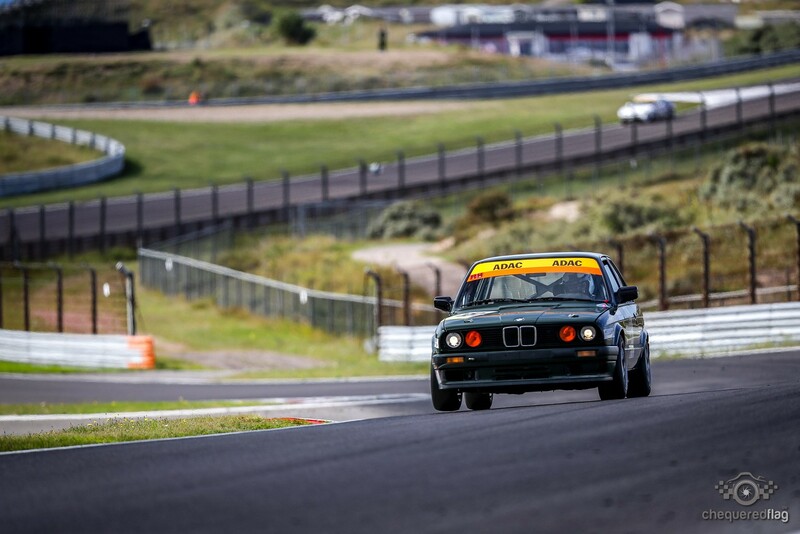 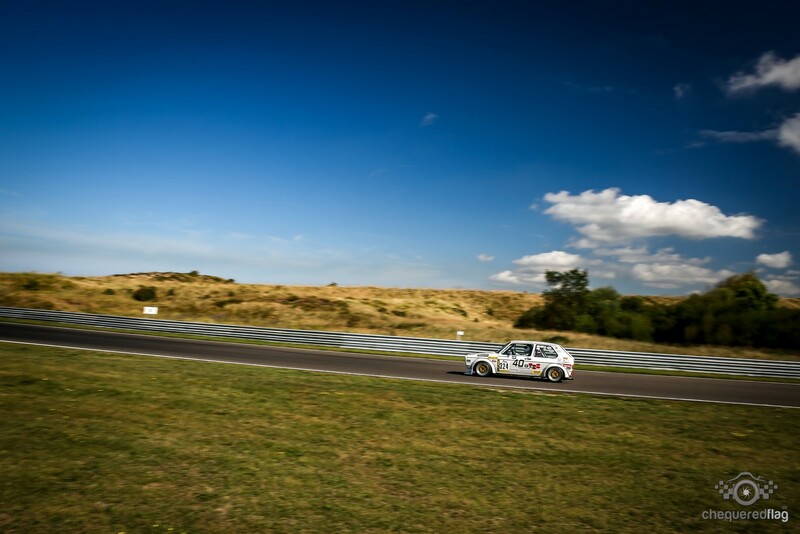 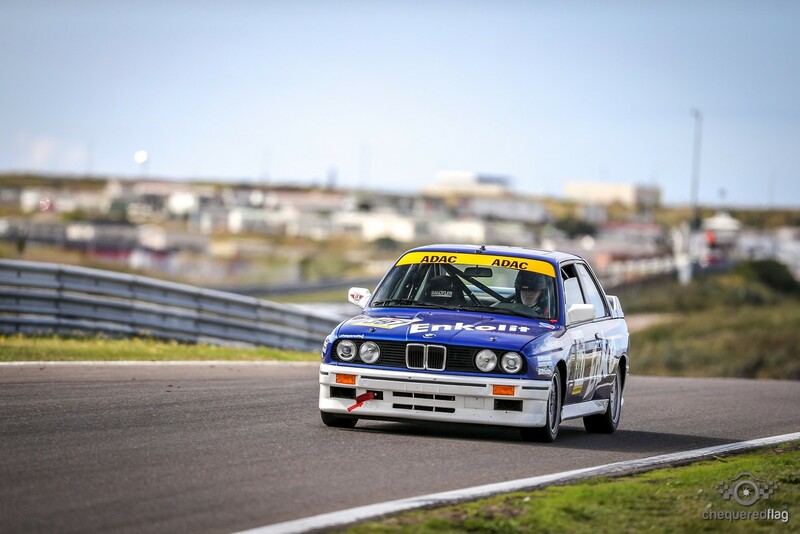 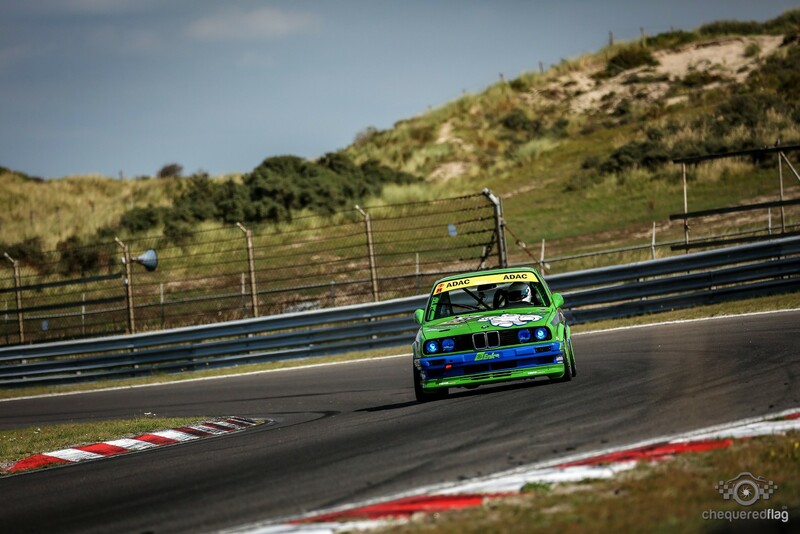 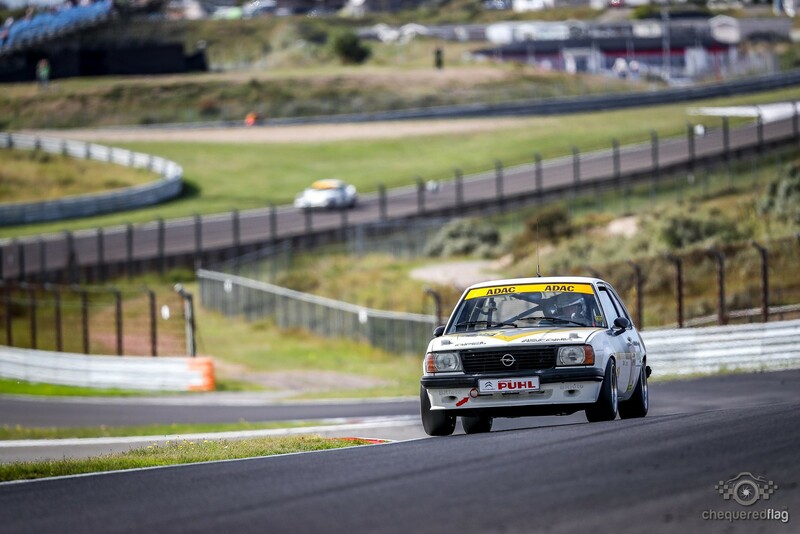 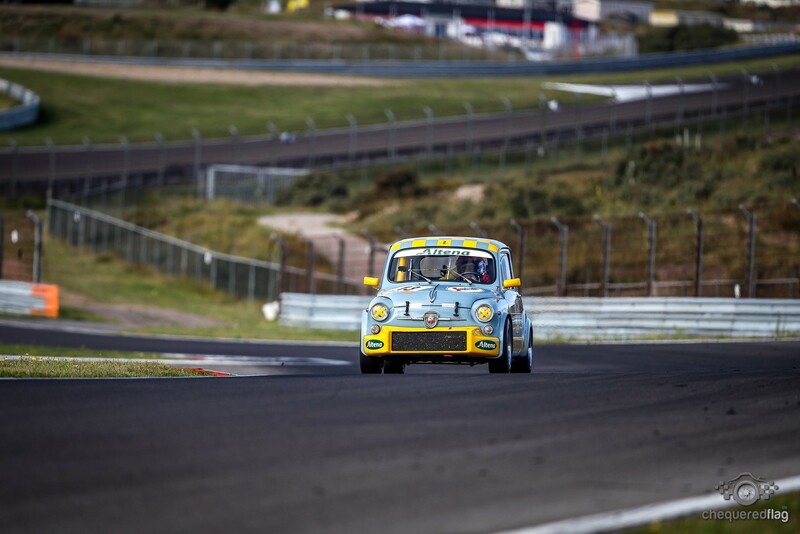 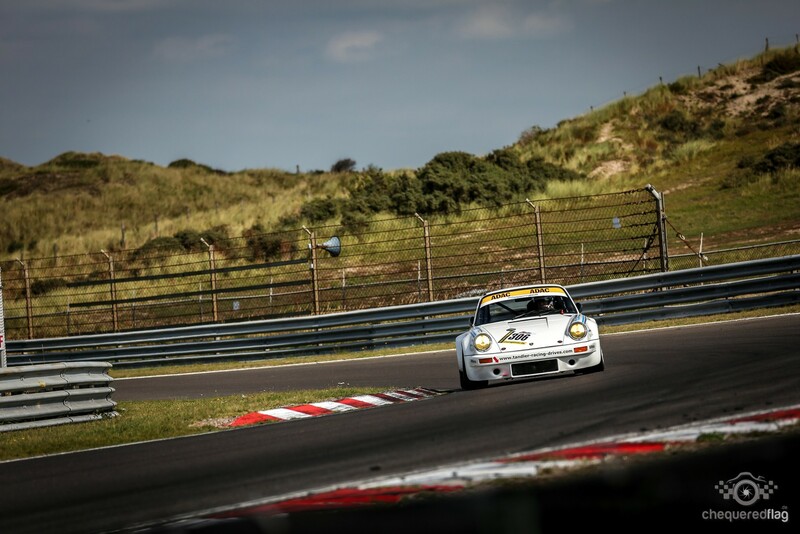 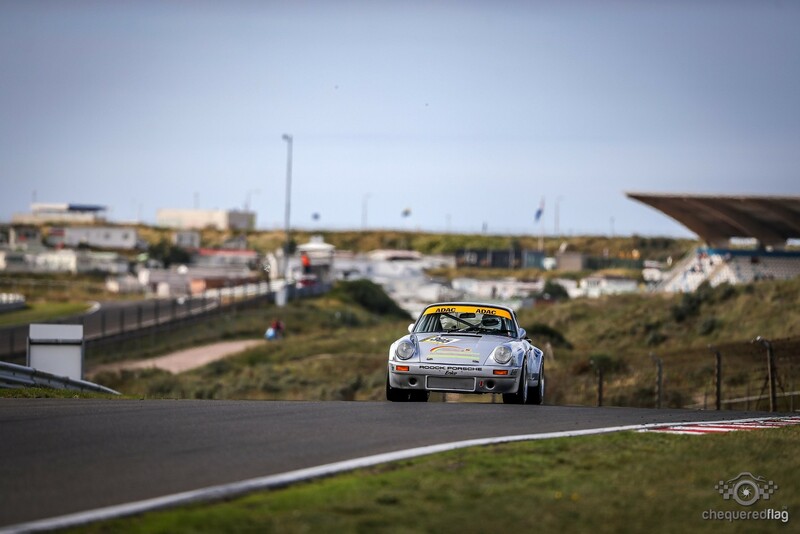 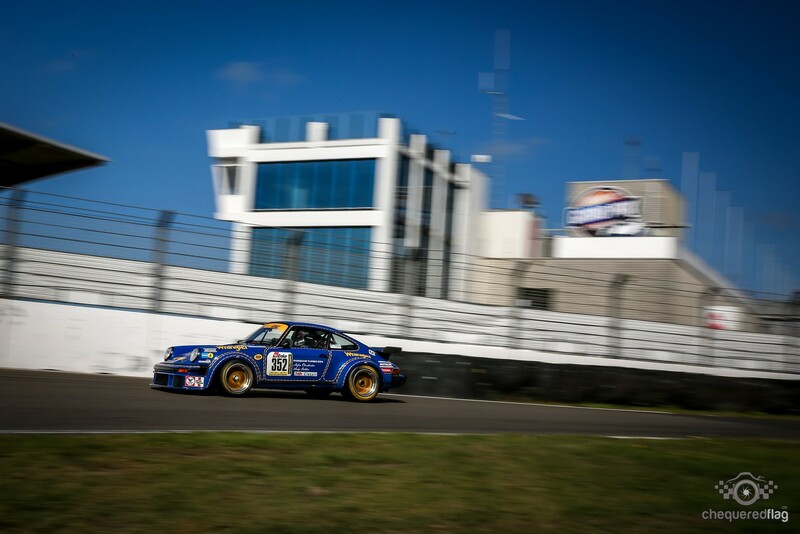 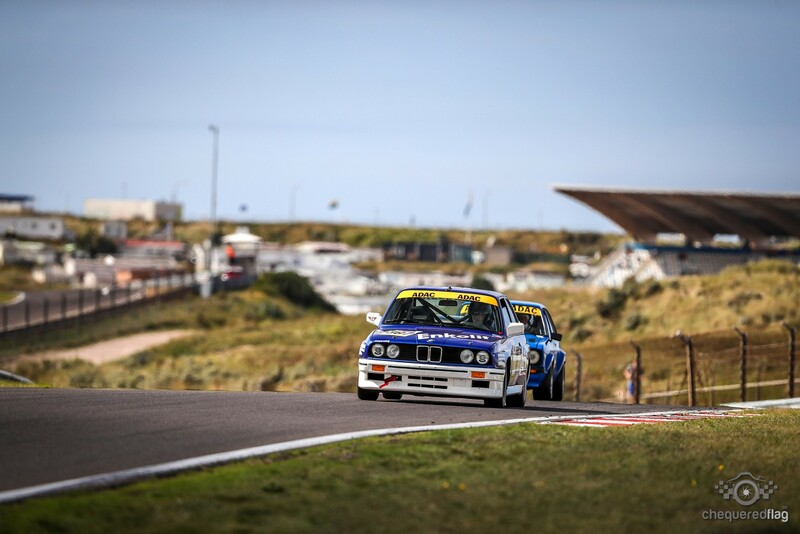 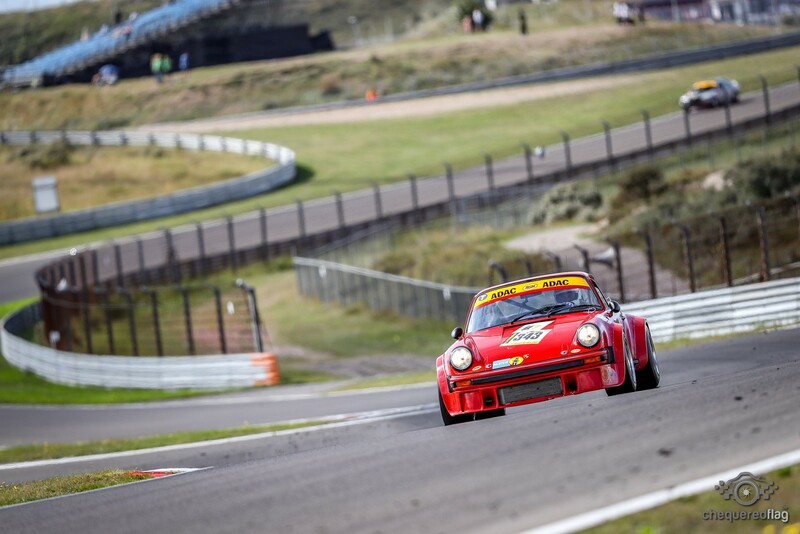 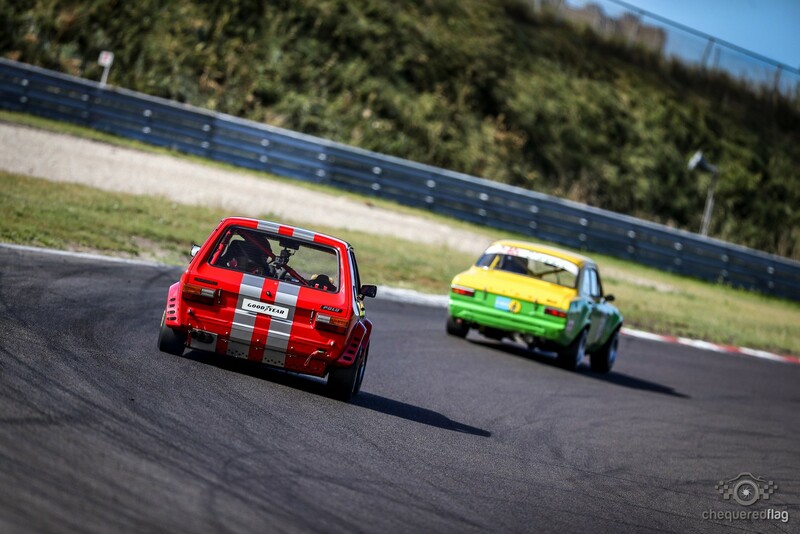 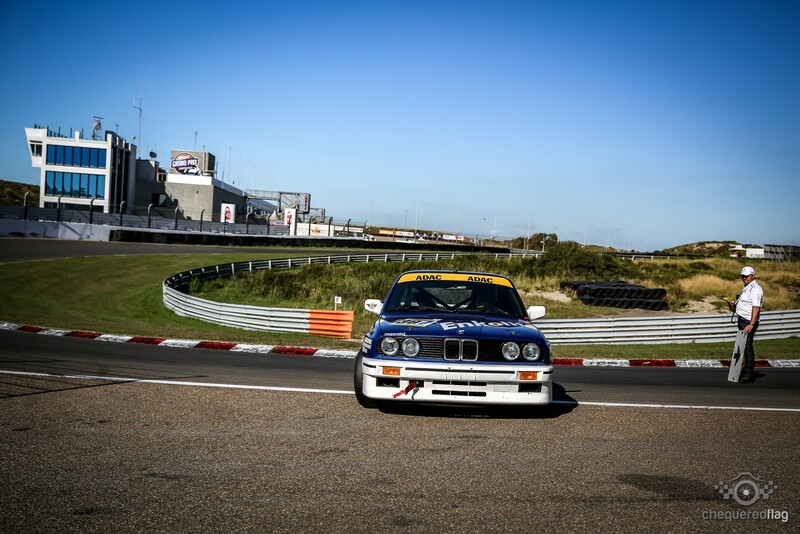 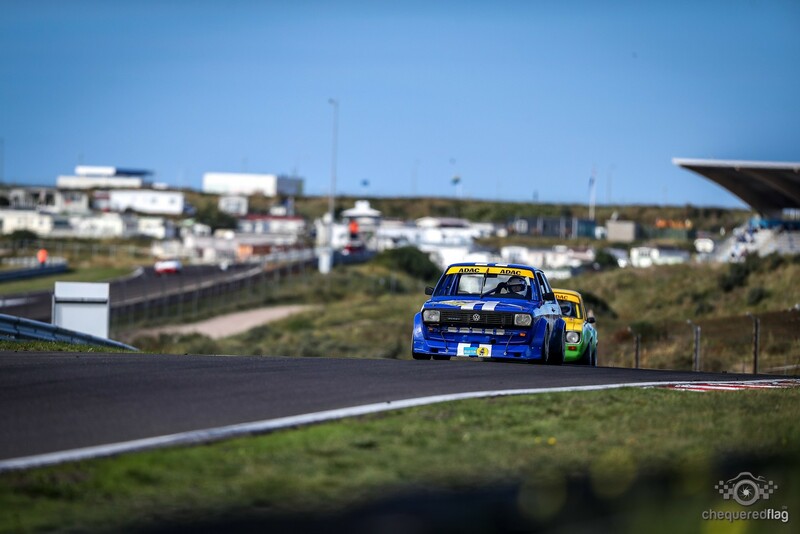 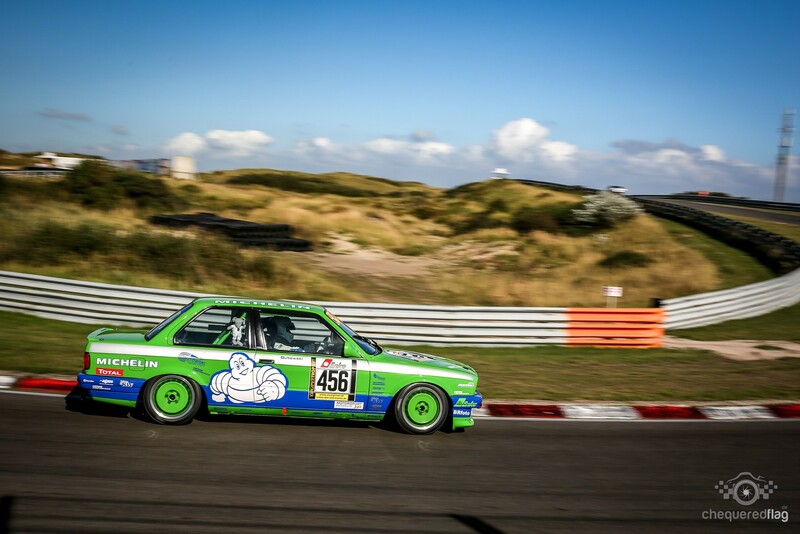 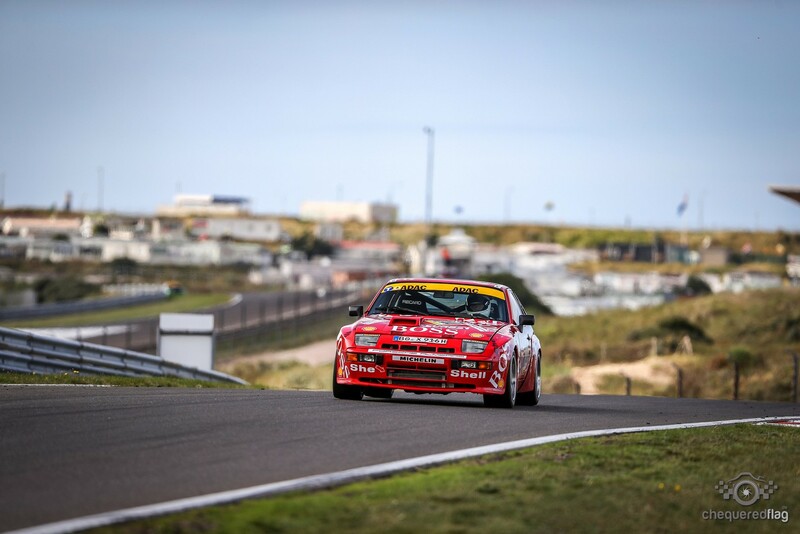 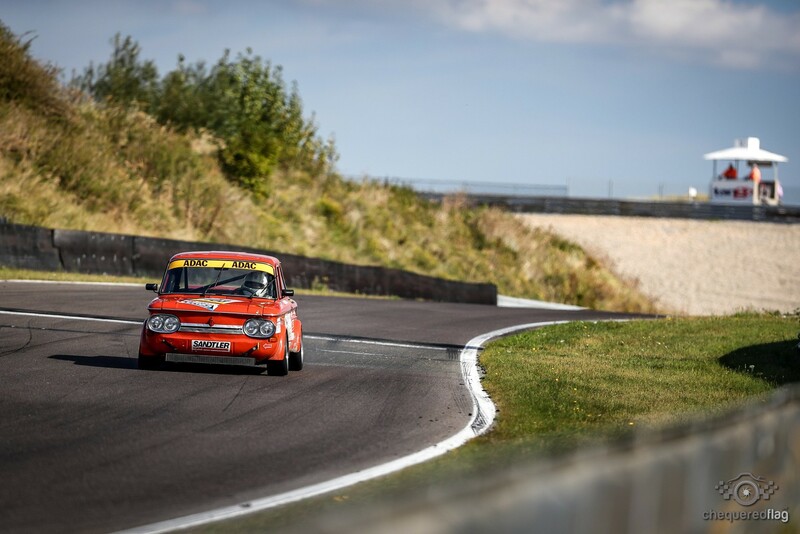 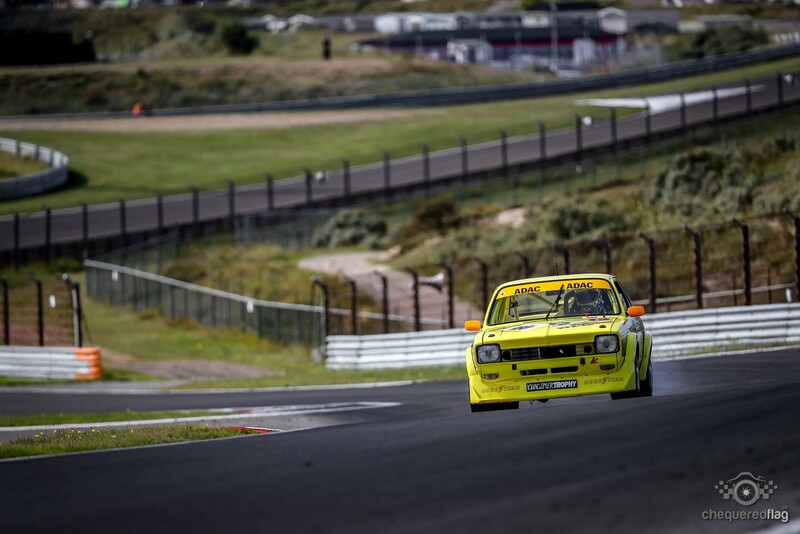 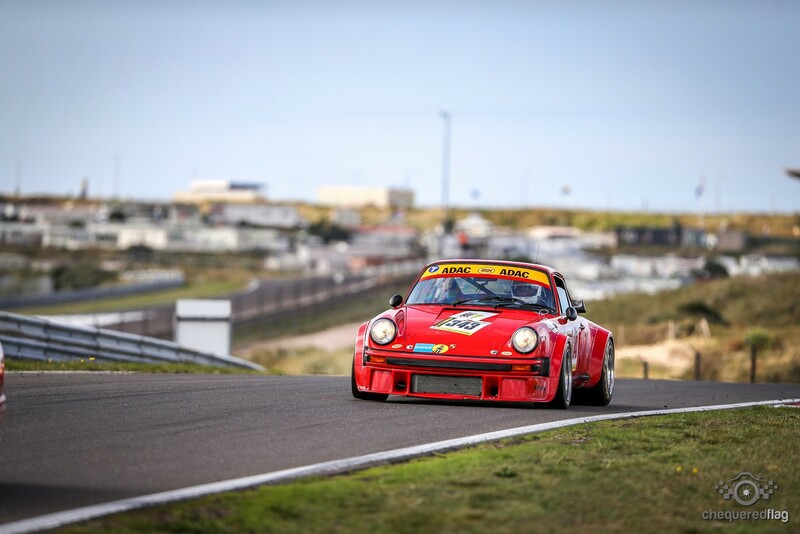 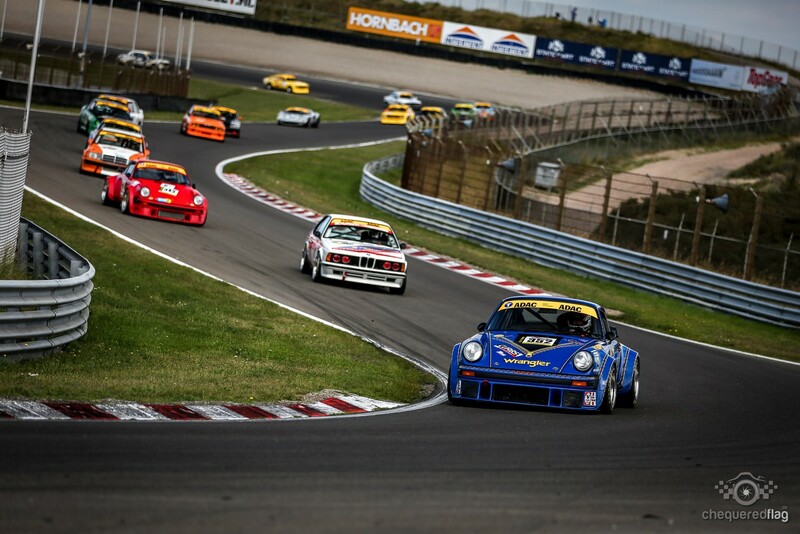 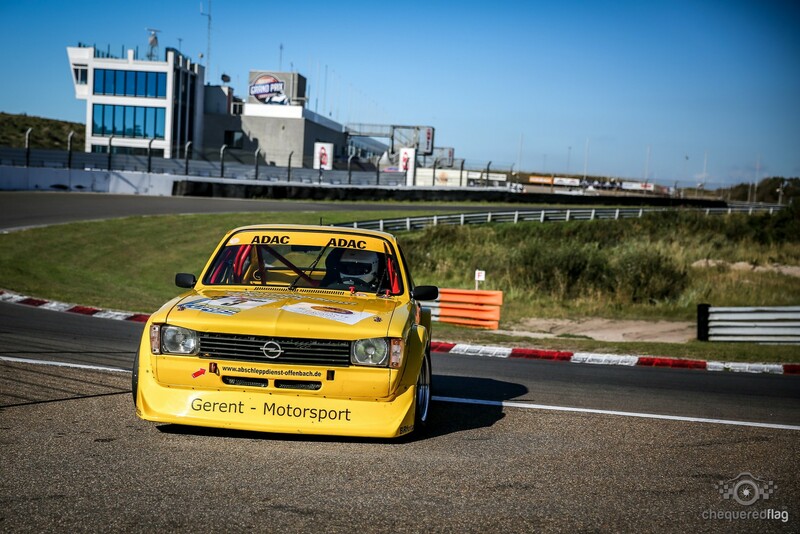 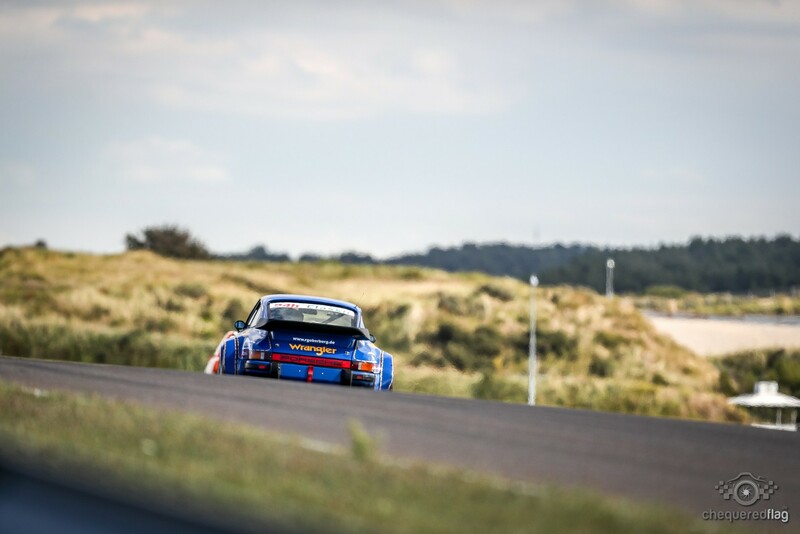 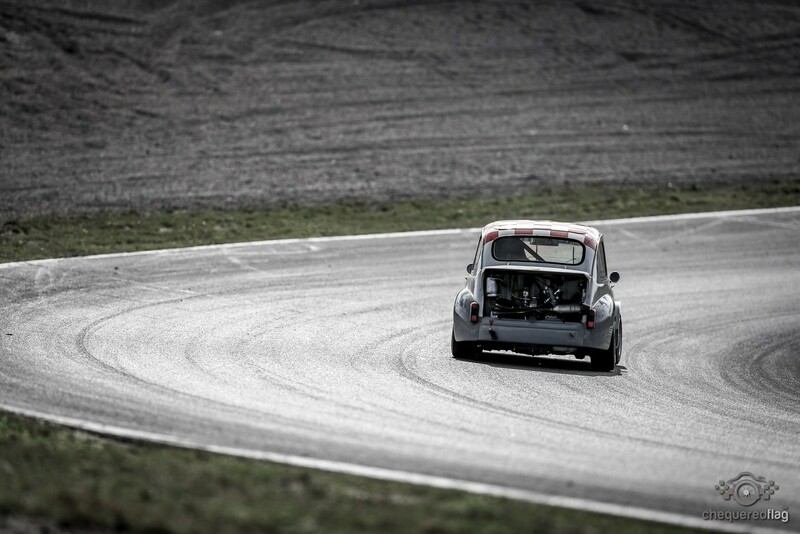 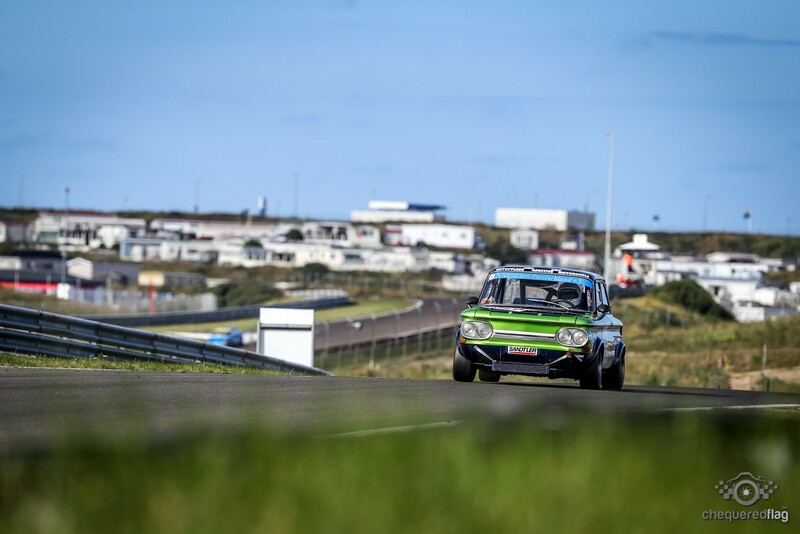 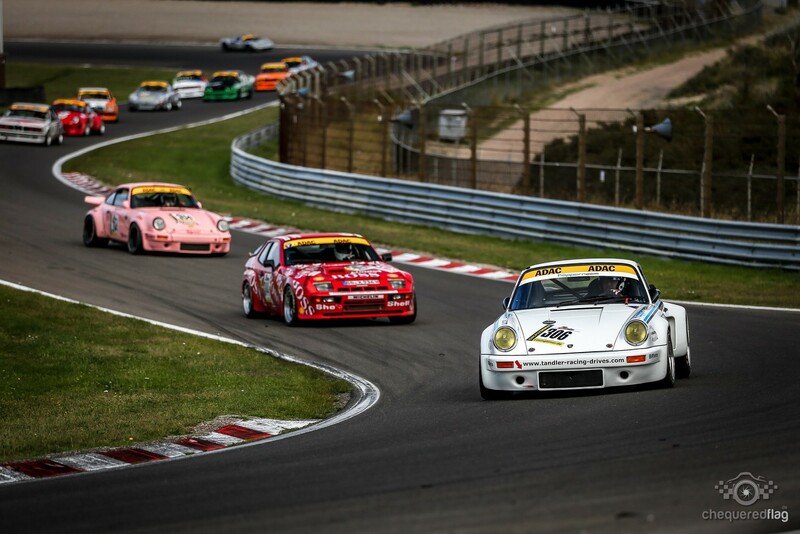 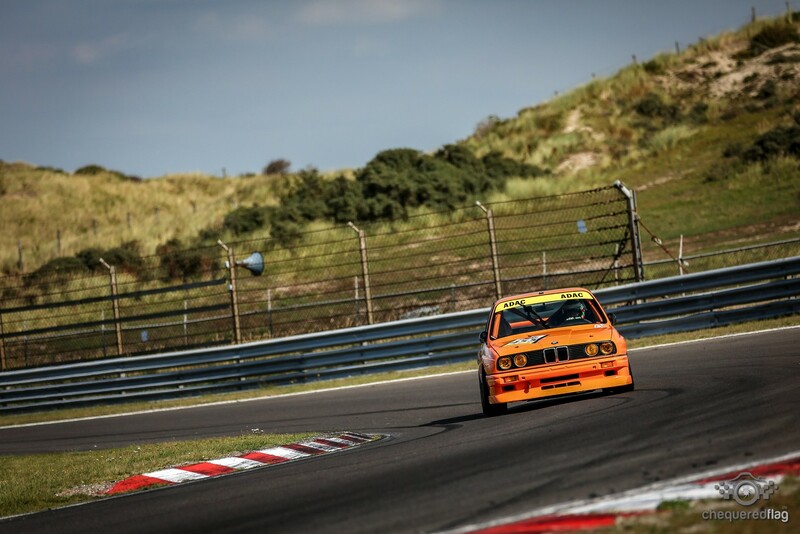 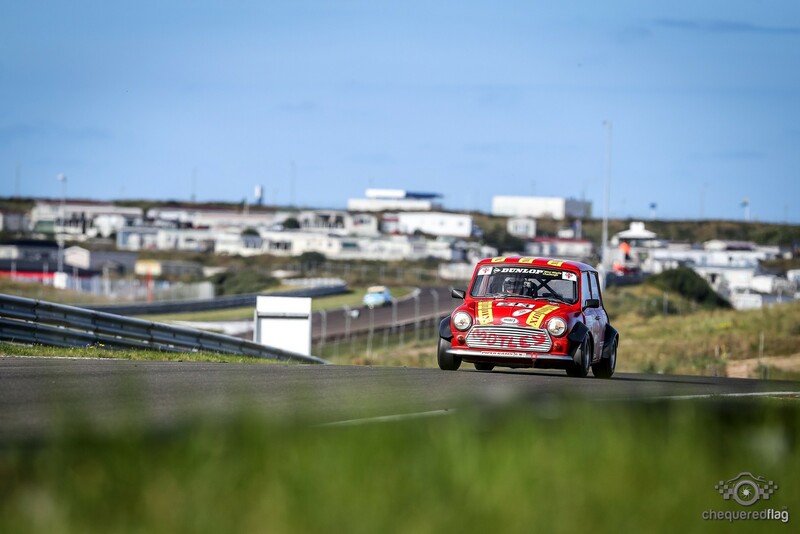 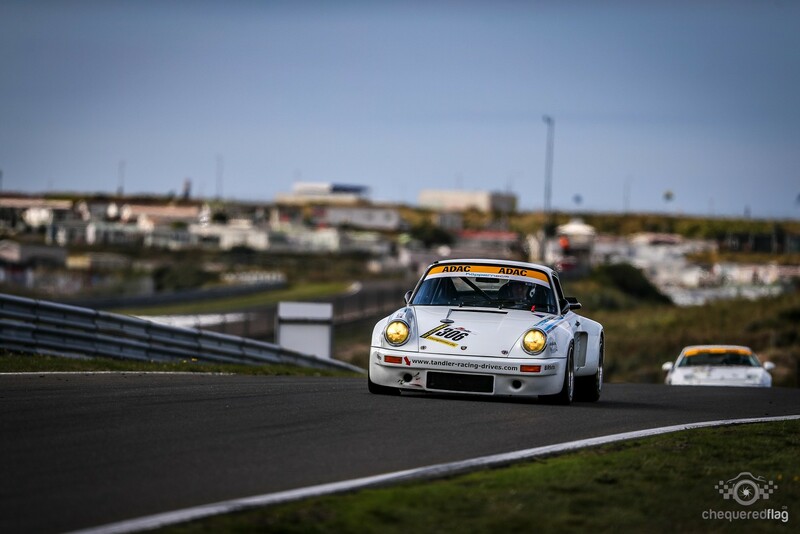 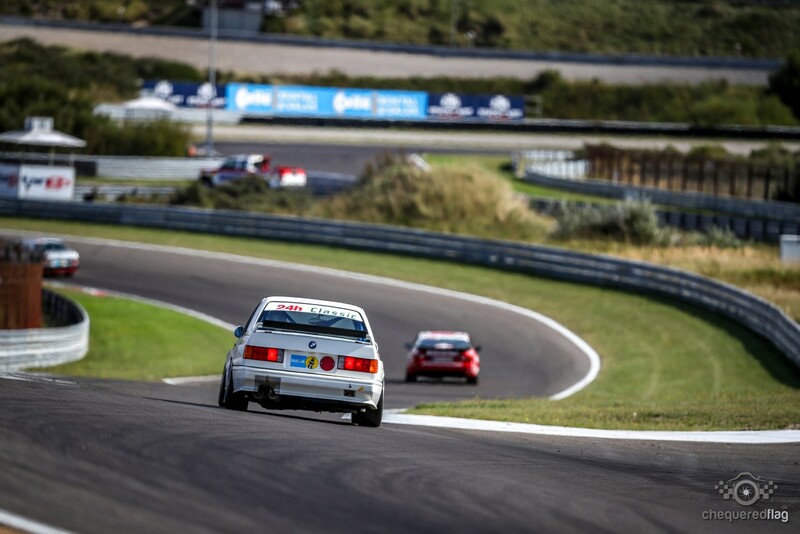 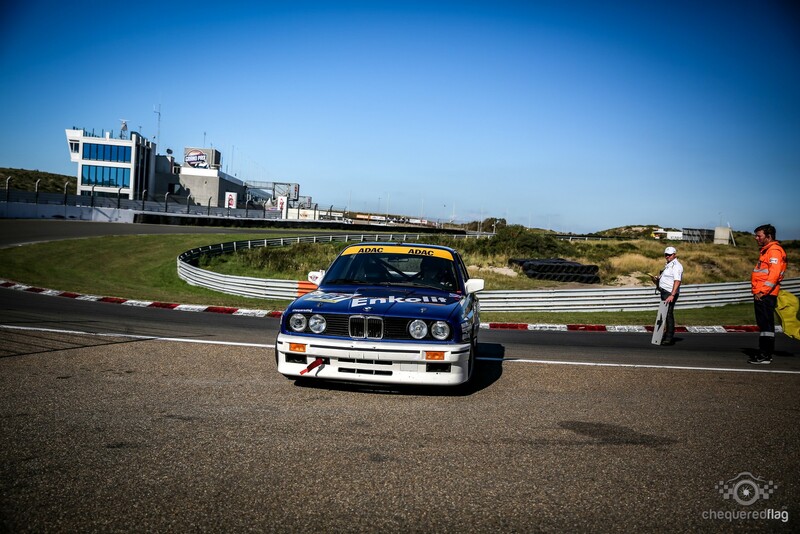 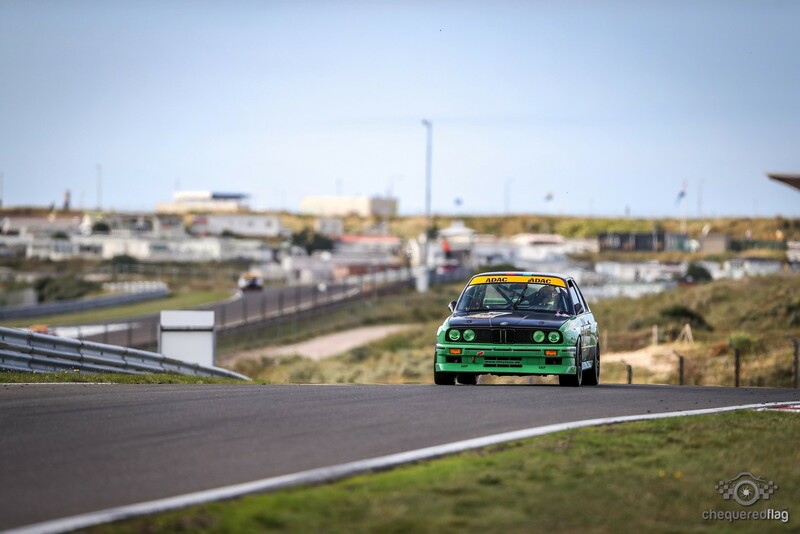 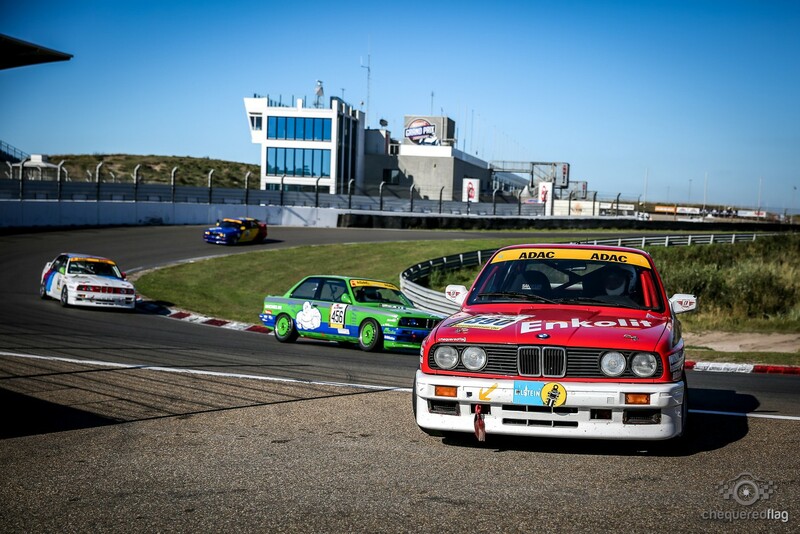 Zandvoort is a special place and so are the topographics of the Layout. 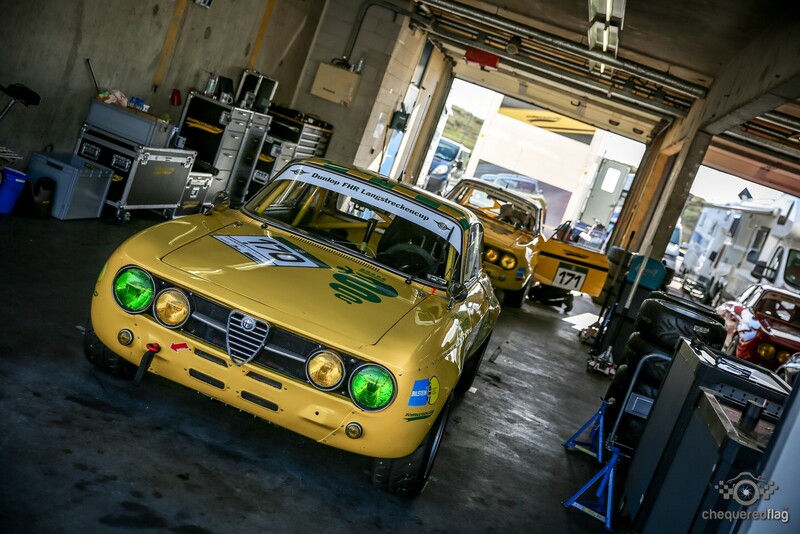 With the Alfa Romeo 4C you can have tons of Fun in the Dry, but the damp laps on Sunday morning prove to me that the feedback of the car is very late to "too late". 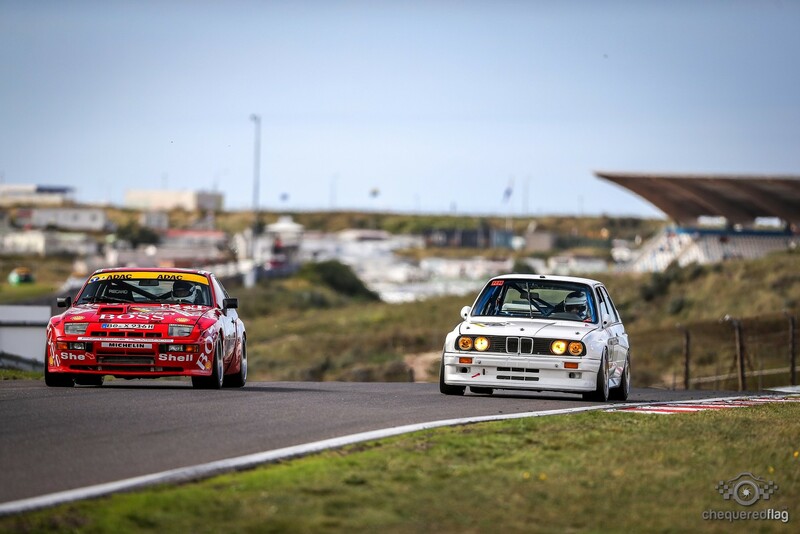 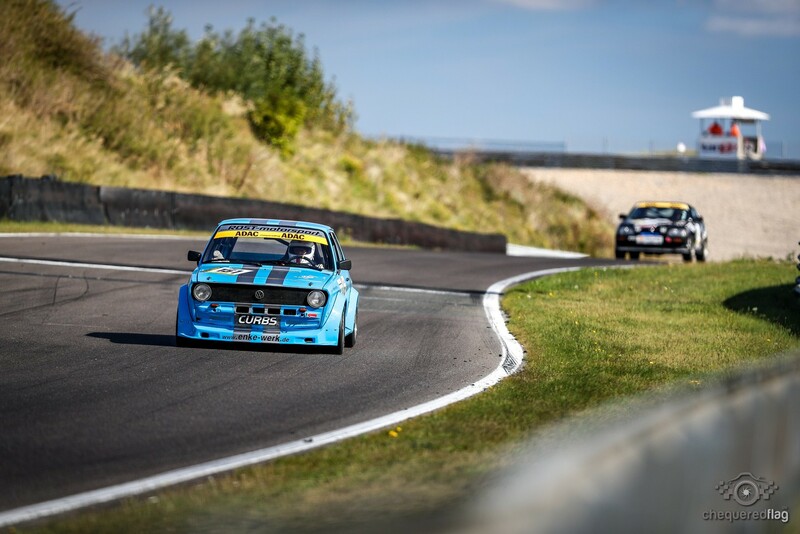 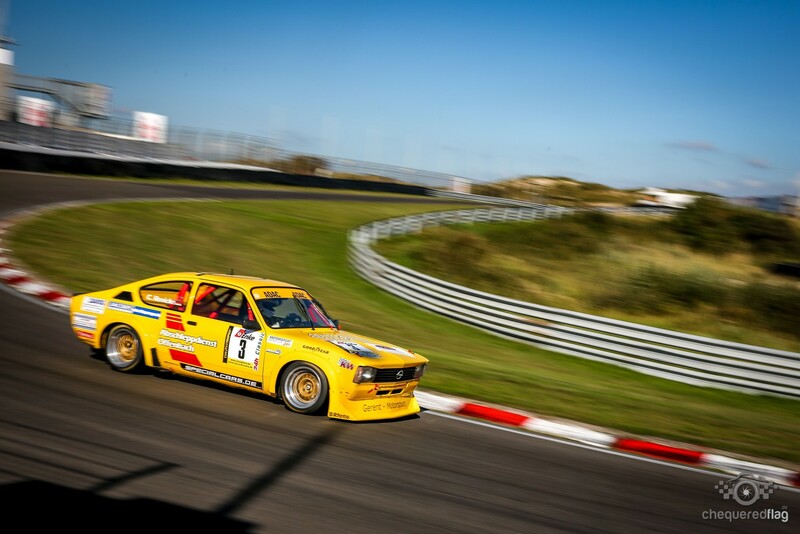 As Spectators in Zandvoort you have tons of good corners to watch and enjoy the Races and the Dunes make excellent grandstand recplacements, so all in all i hope this event will take place again next year and if you can combine it with some holidays you definately should come around to watch some quality historic Racing.